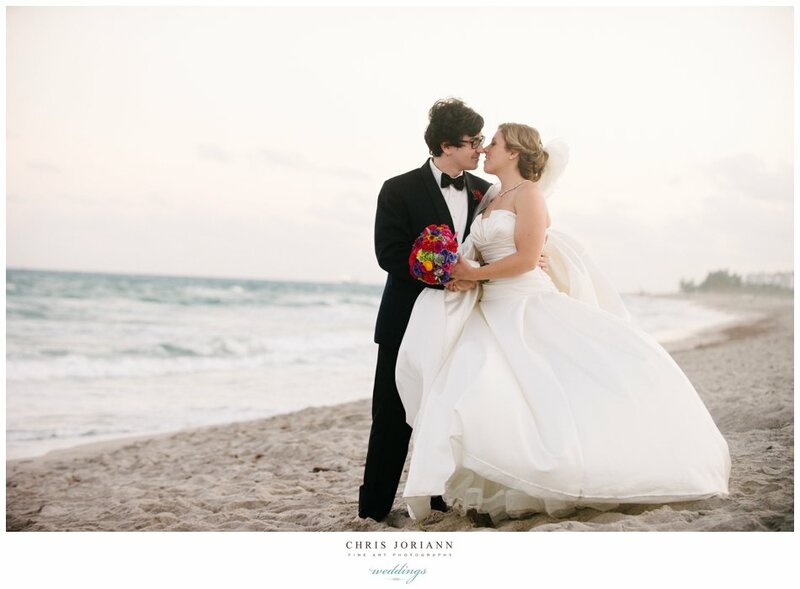 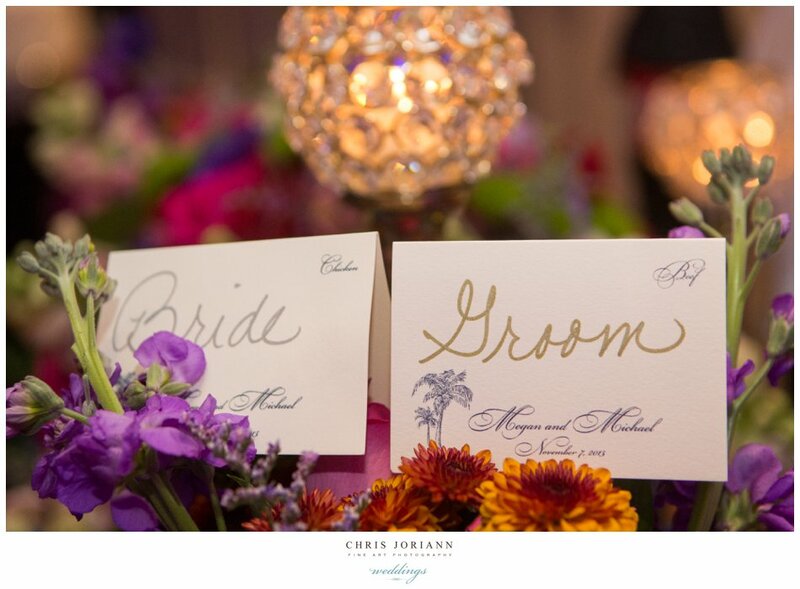 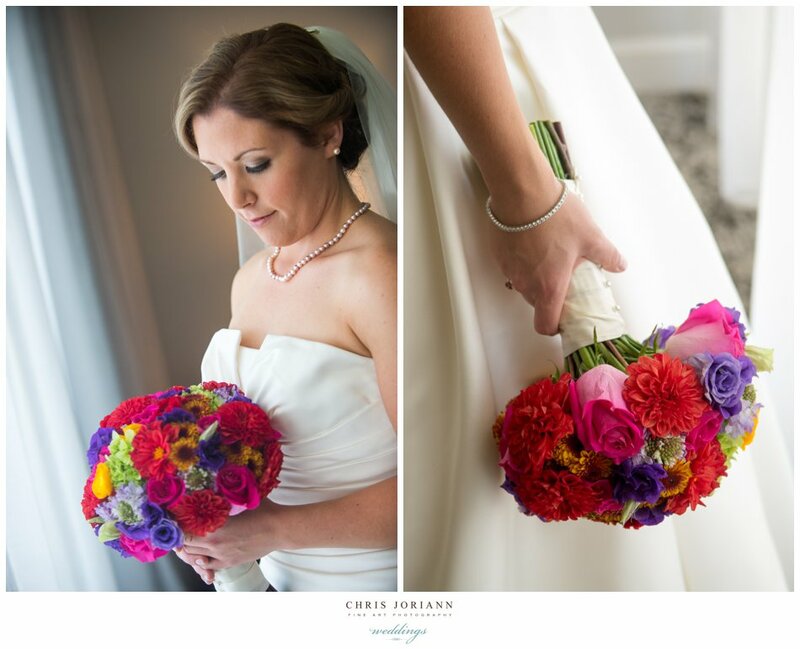 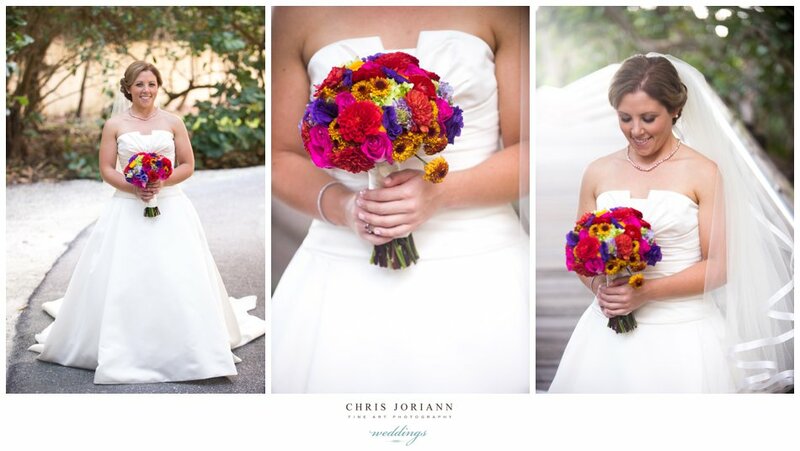 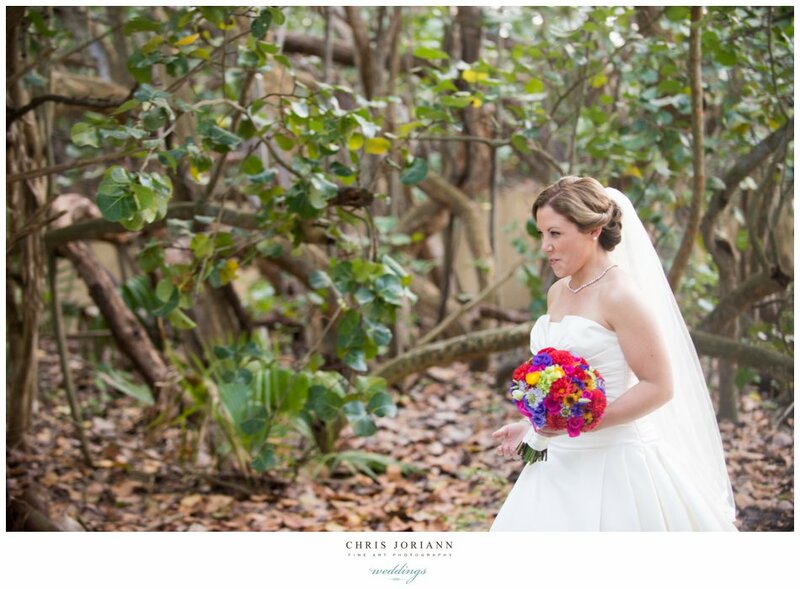 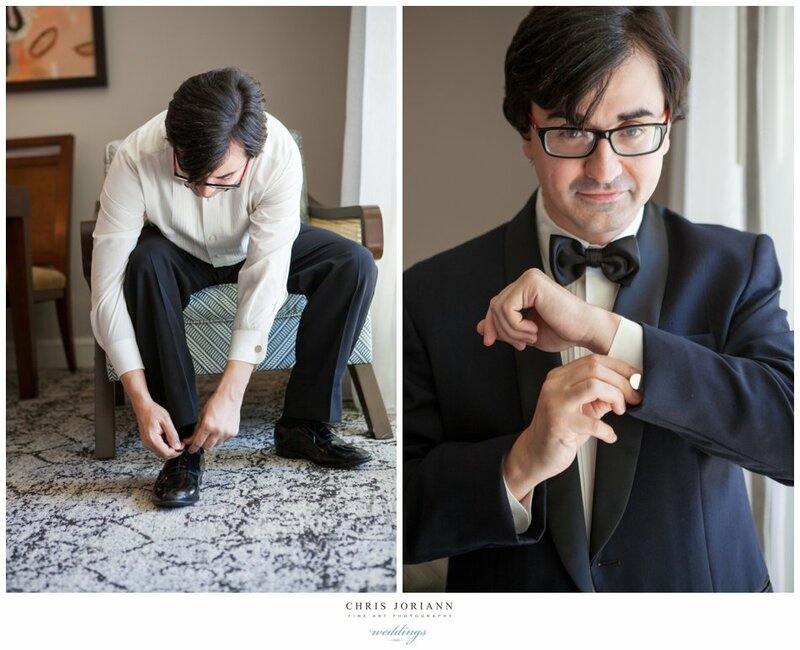 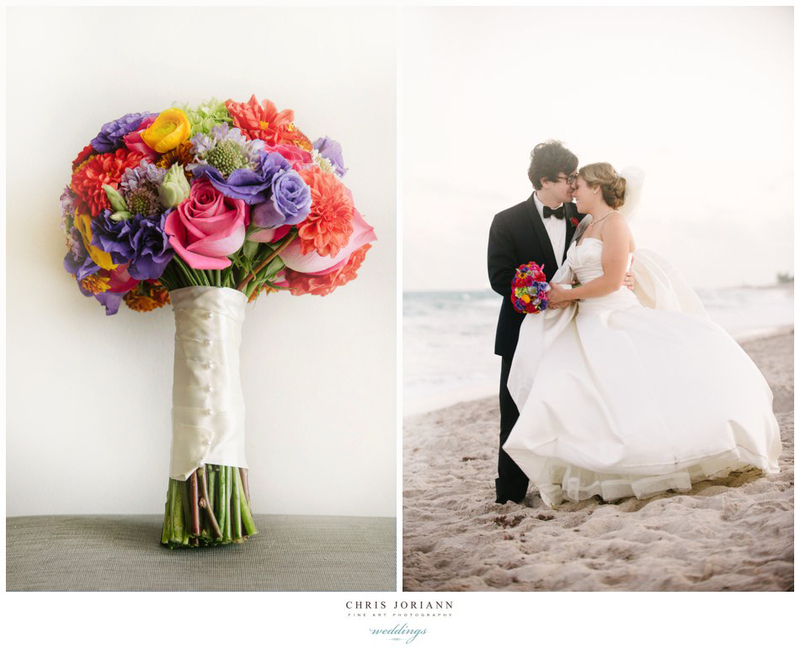 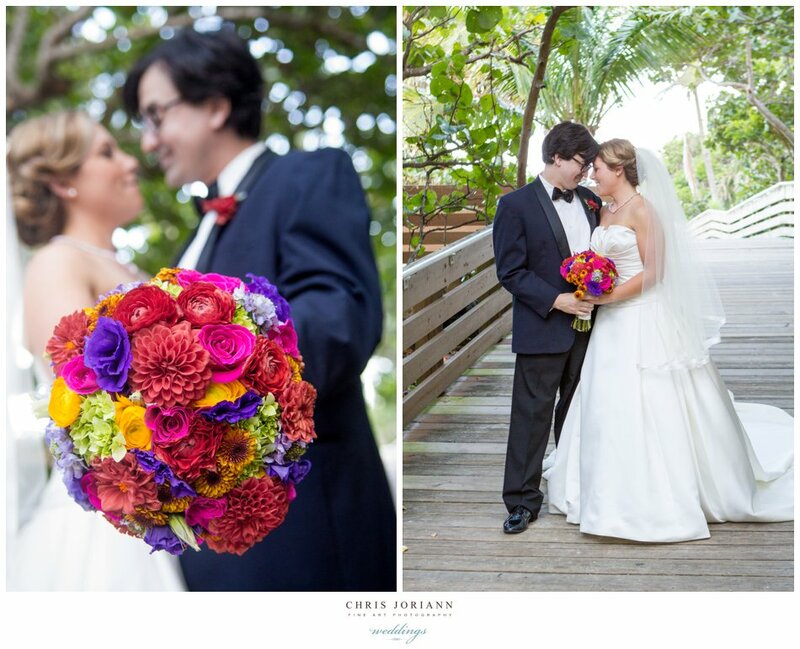 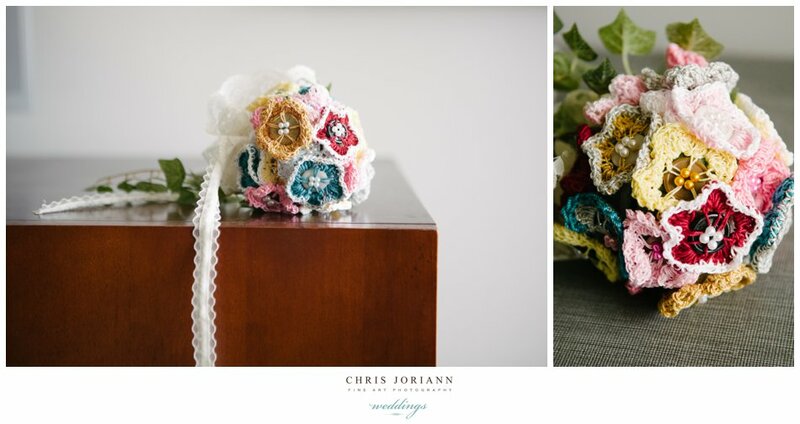 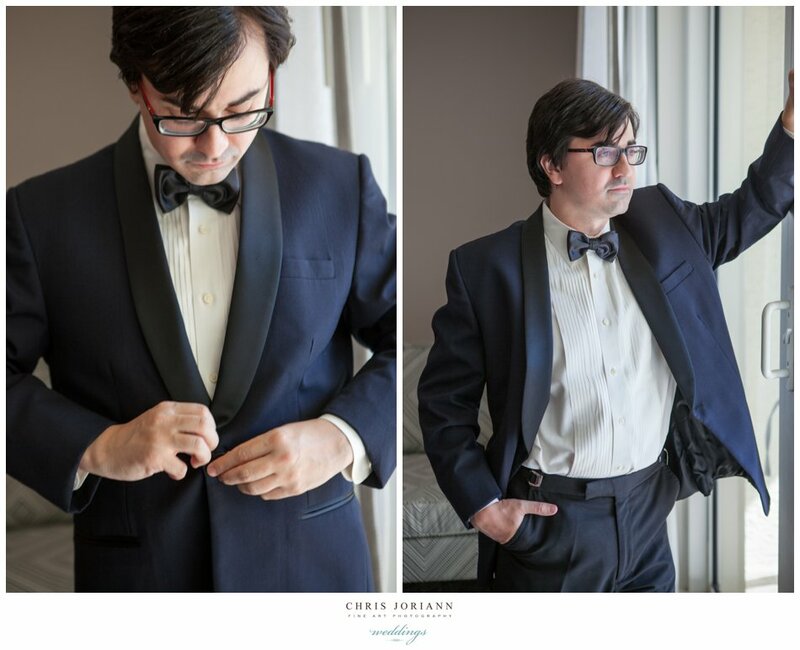 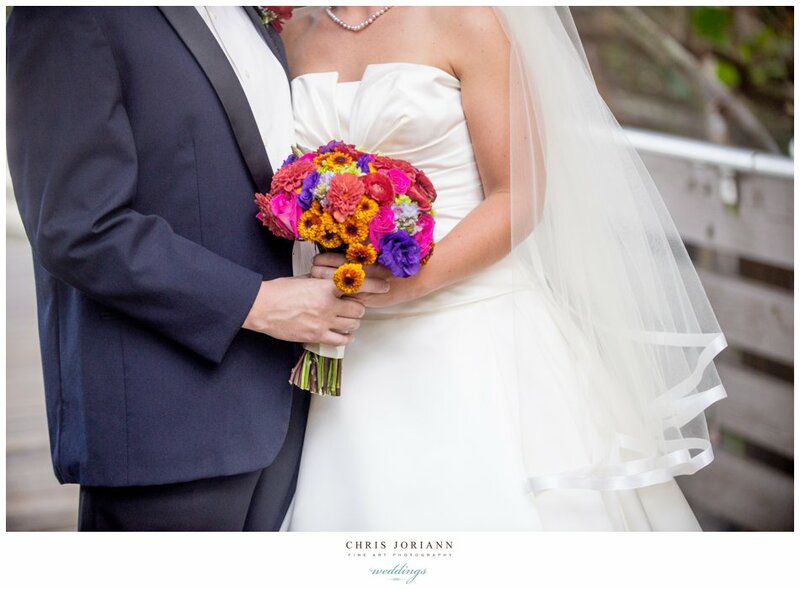 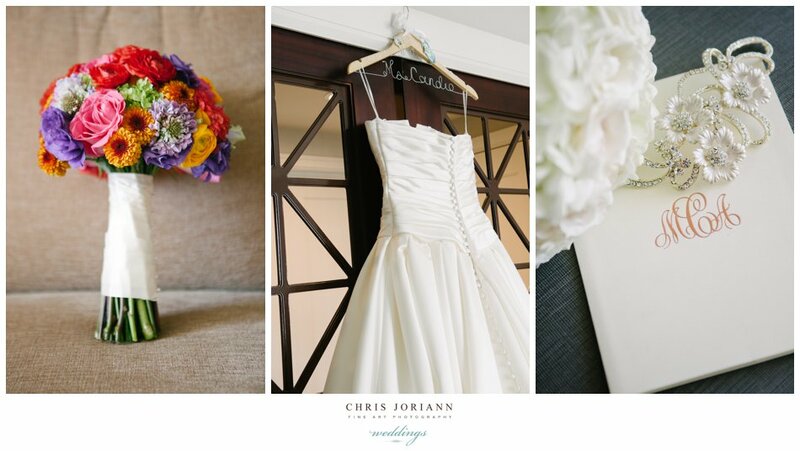 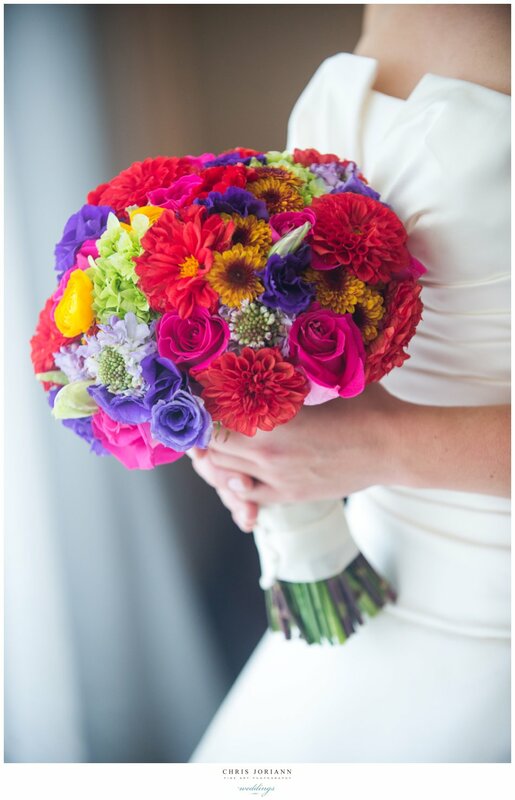 An eye-popping palette of primary colors adorned Megan + Michael’s oceanfront wedding. 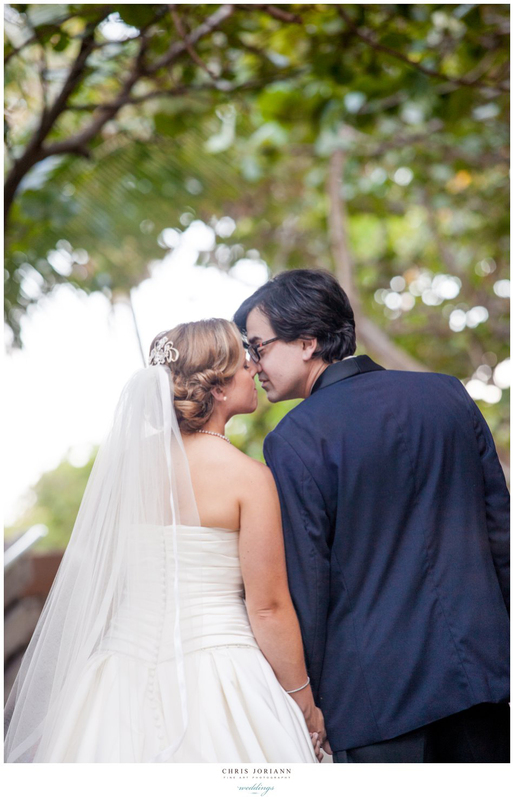 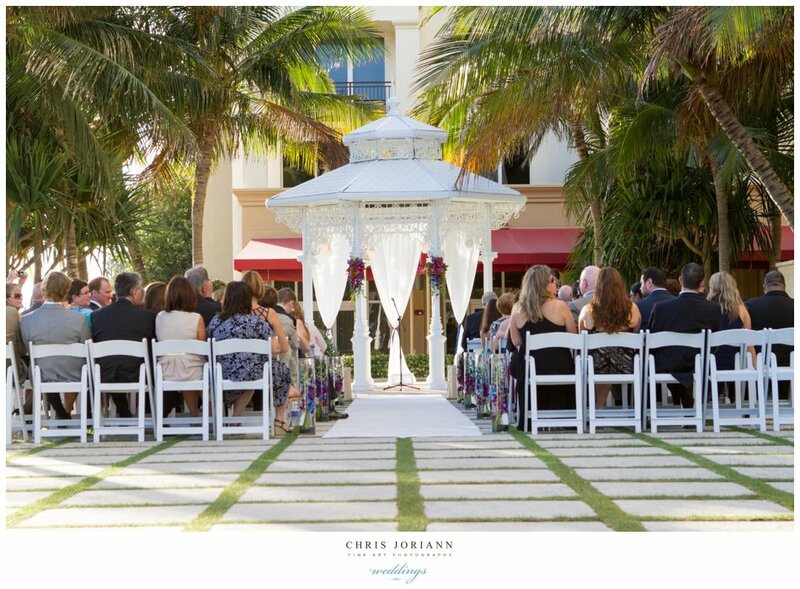 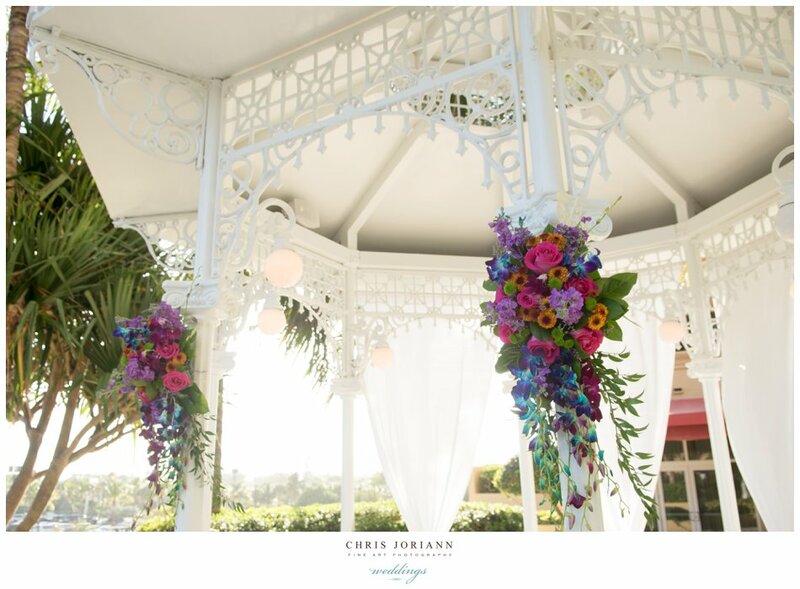 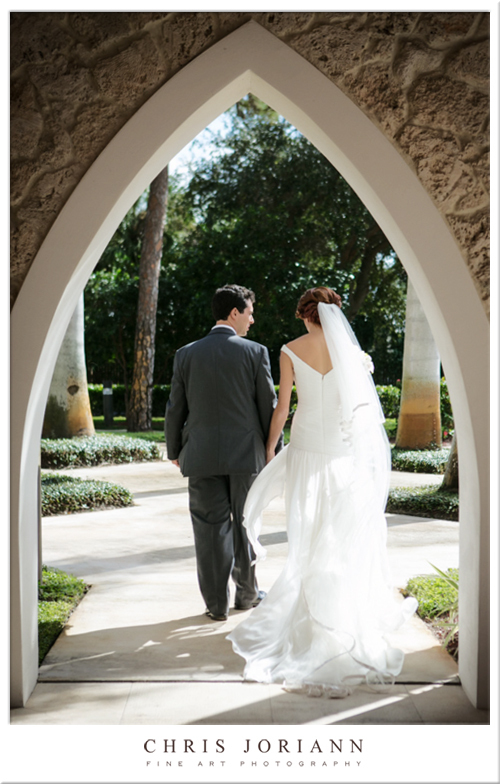 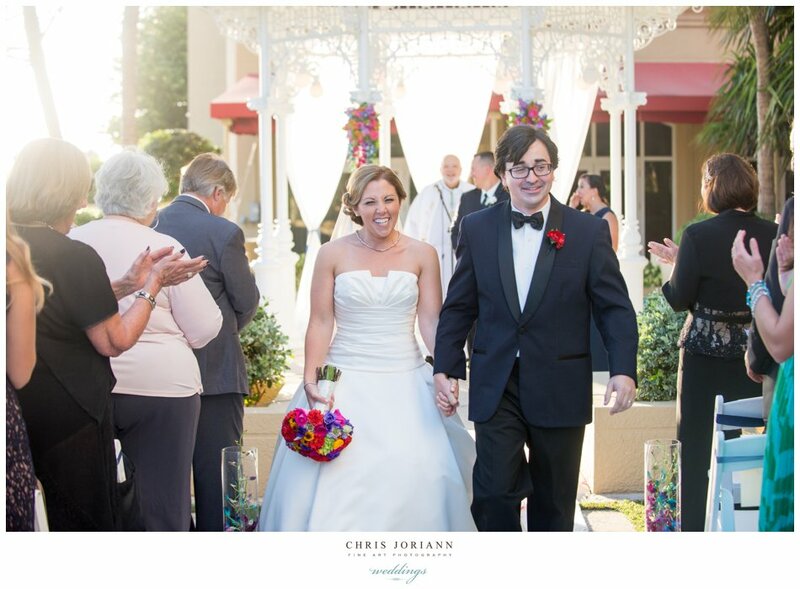 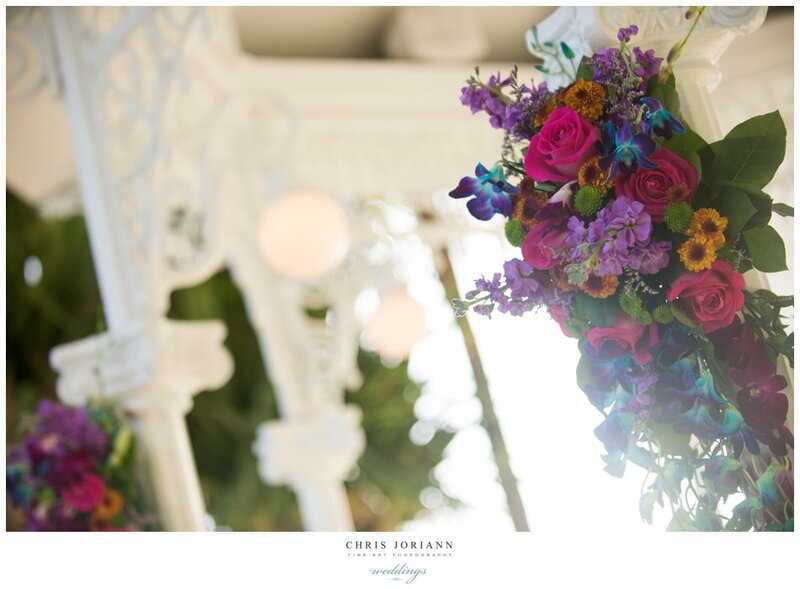 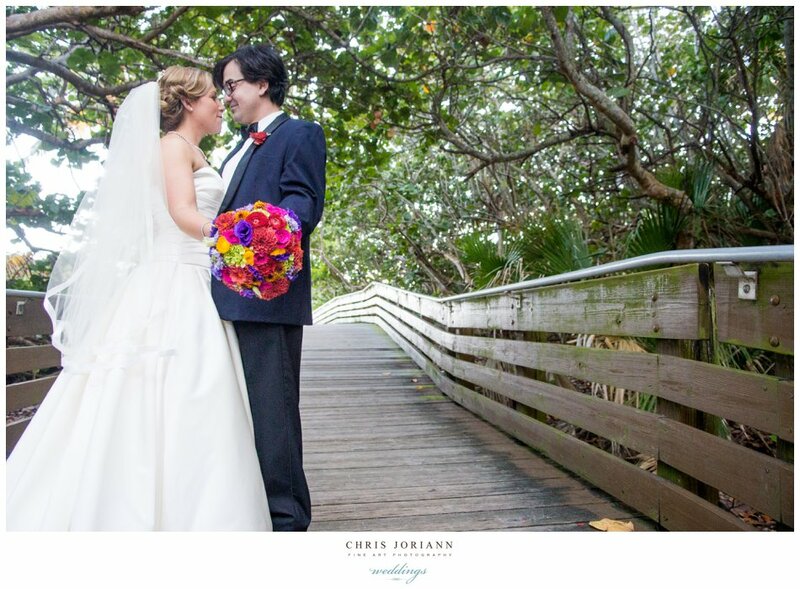 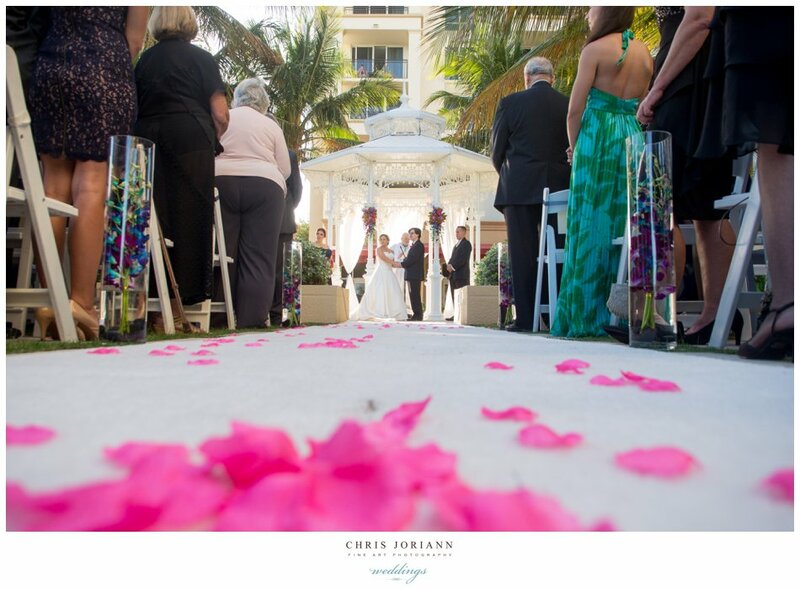 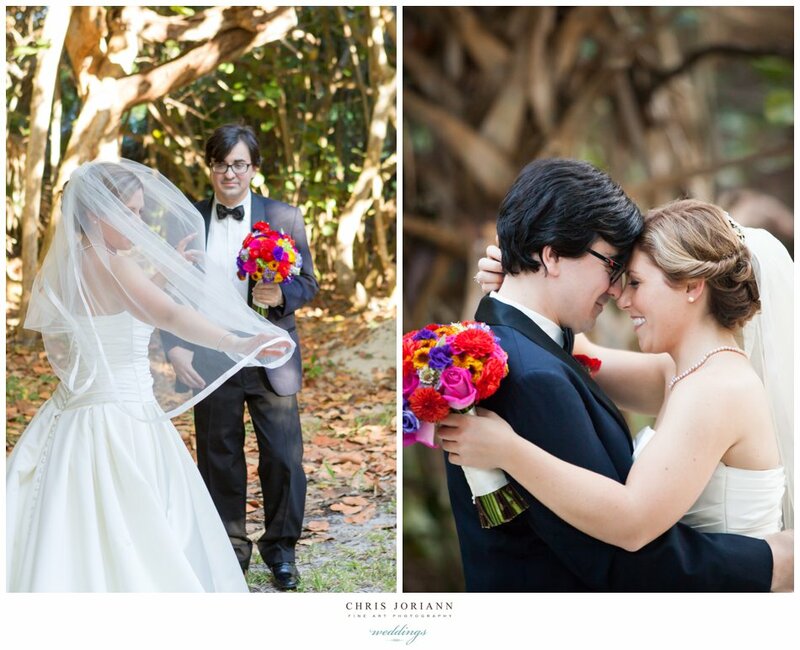 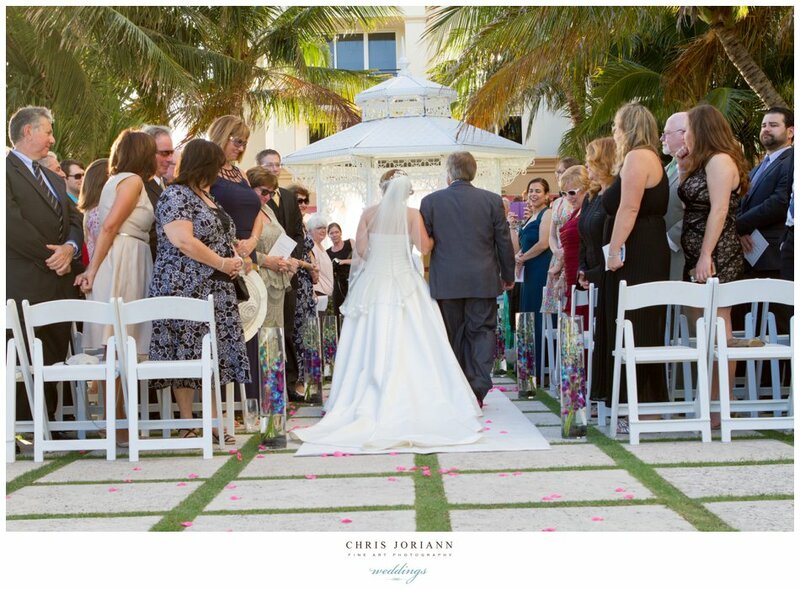 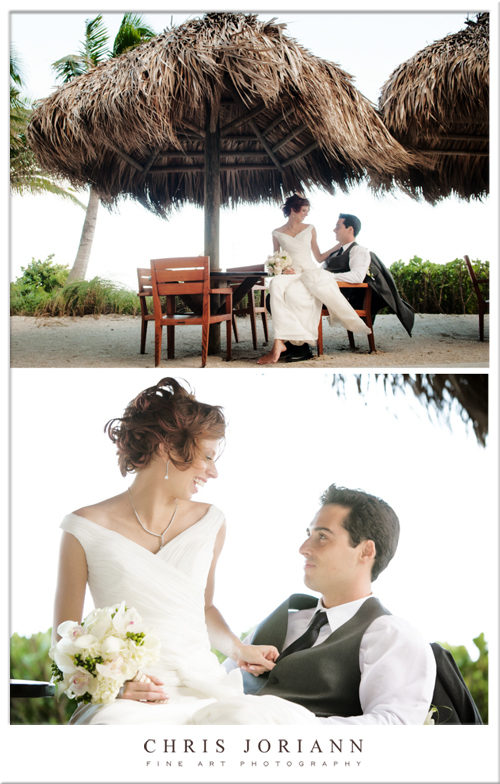 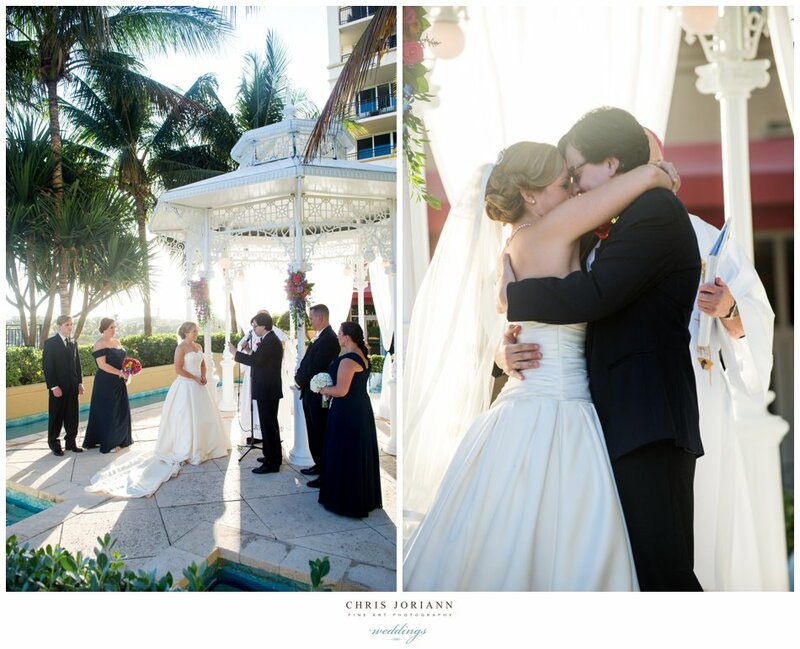 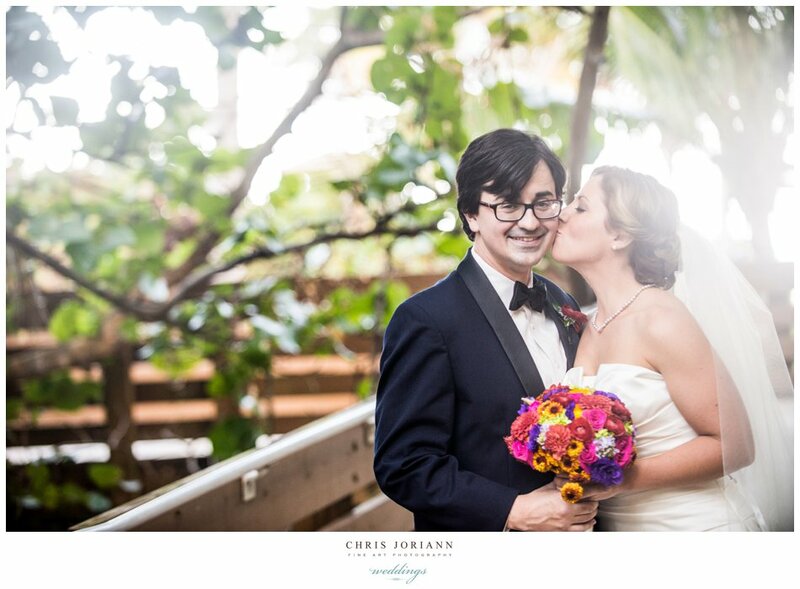 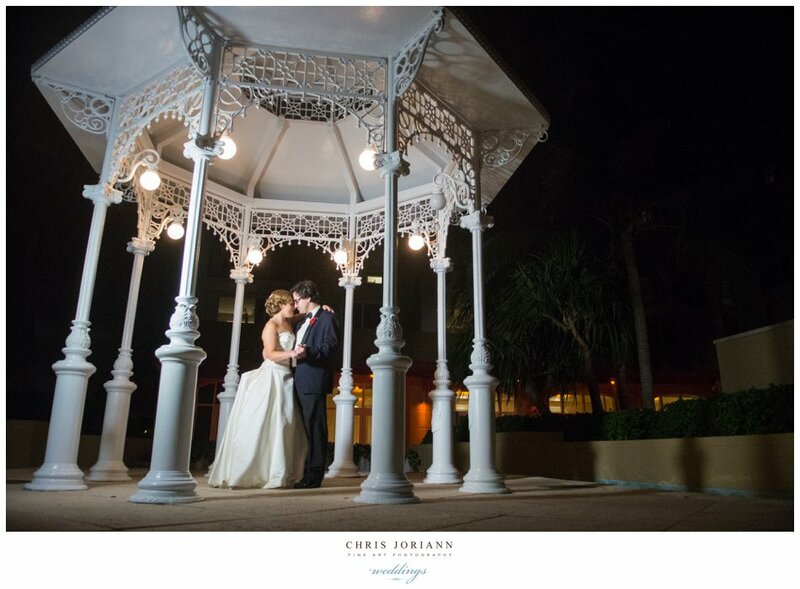 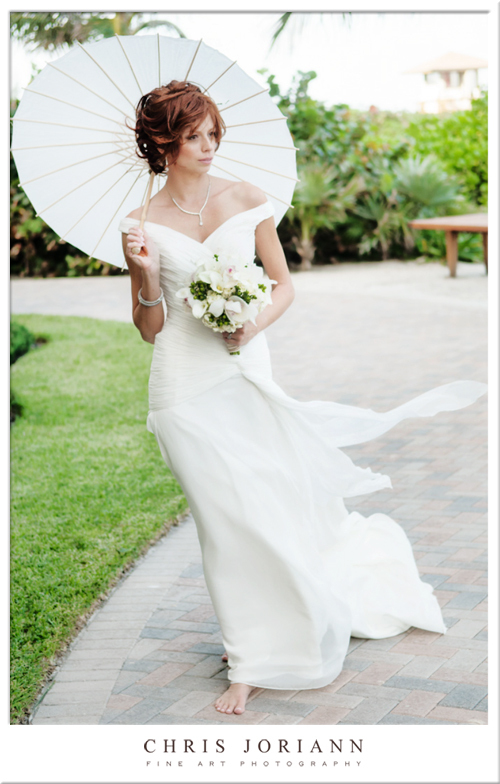 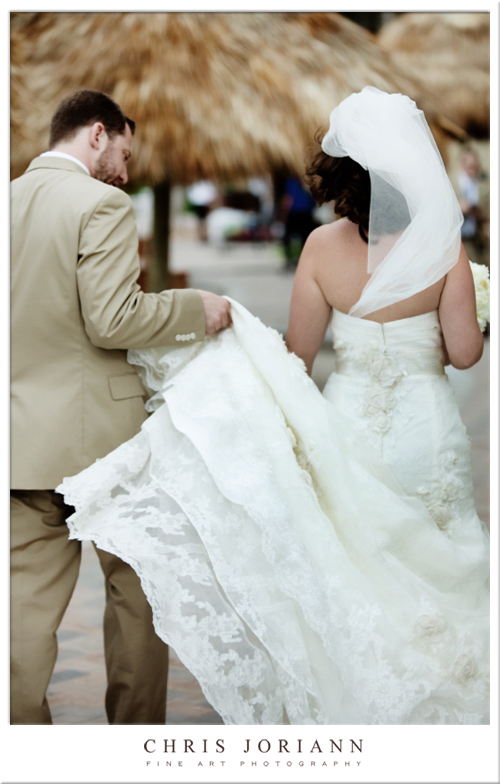 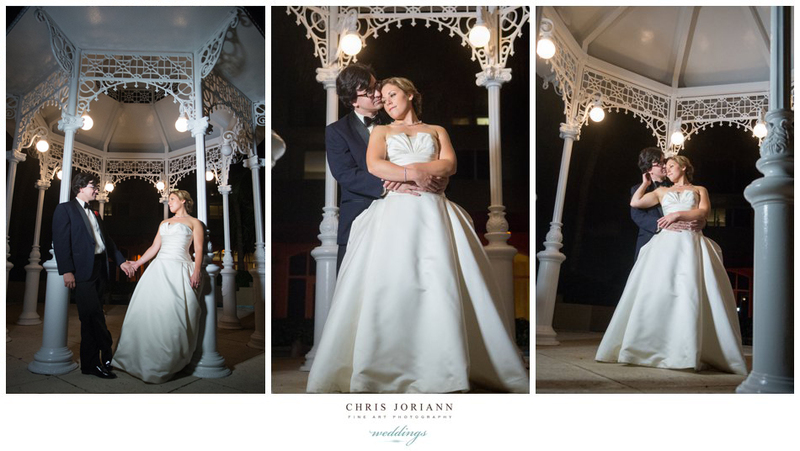 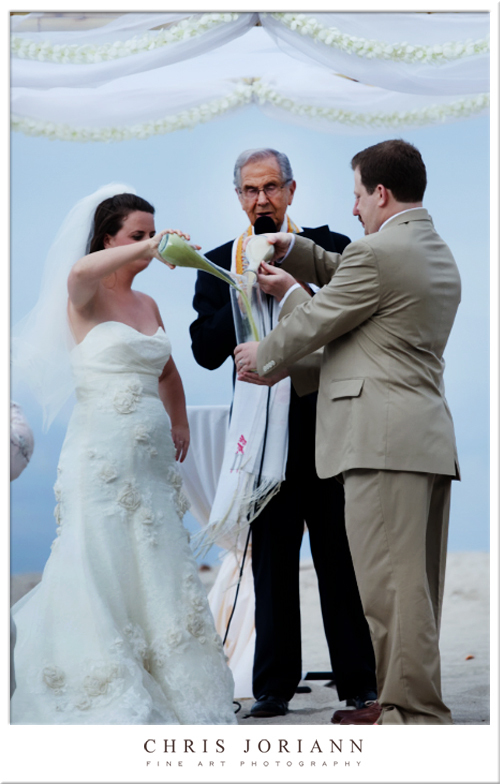 The couple exchange vows beneath a white iron gazebo at Palm Beach Marriott Singer Island Beach Resort + Spa. 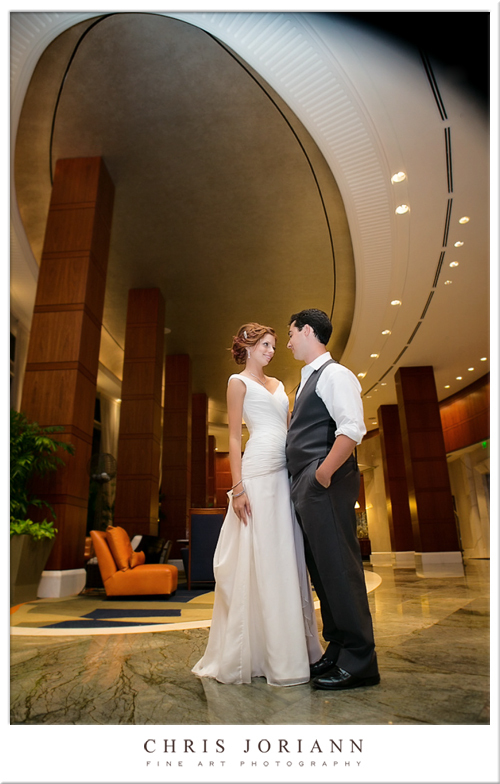 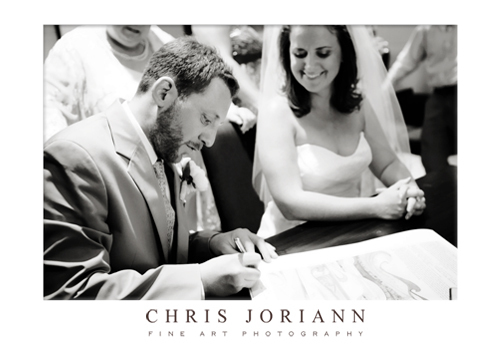 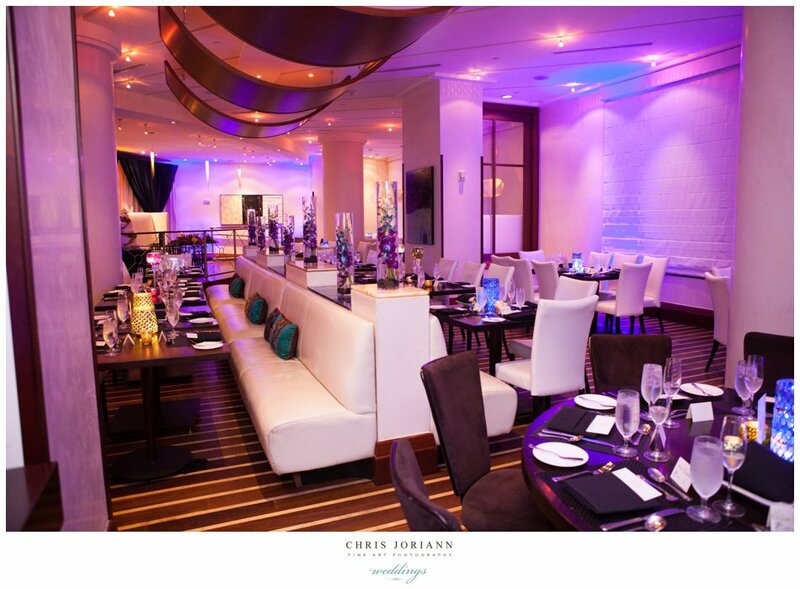 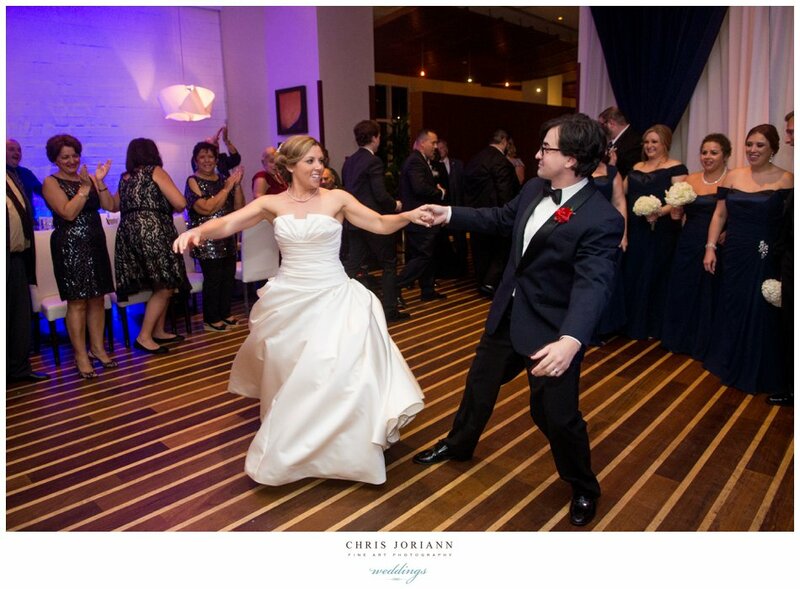 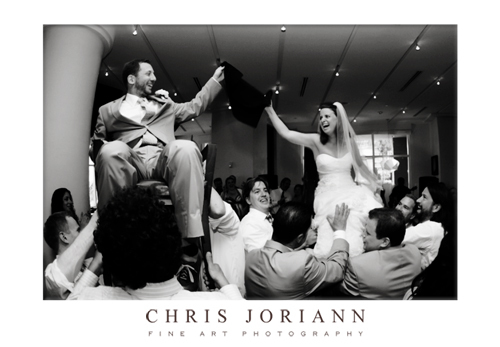 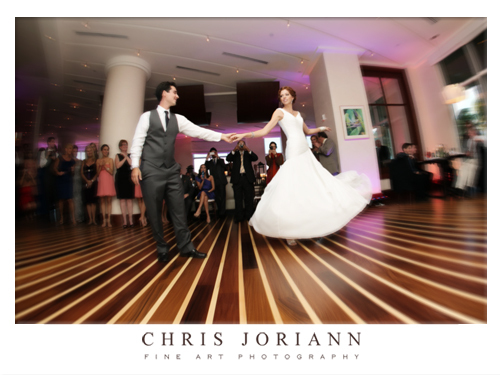 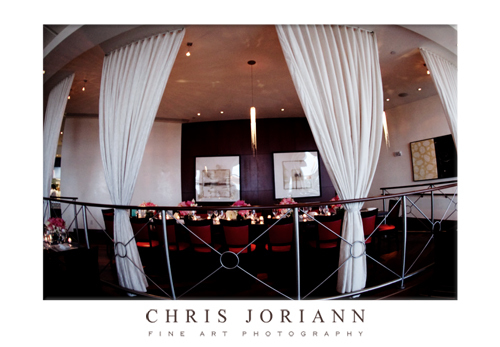 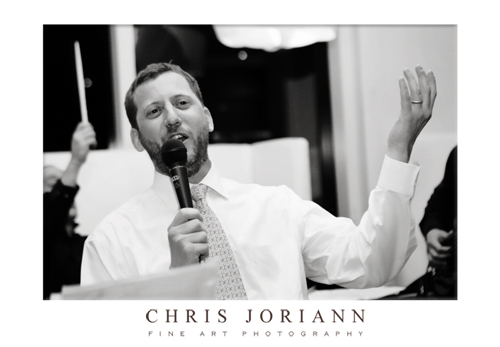 A reception followed at the ultra-modern 3800 Ocean. 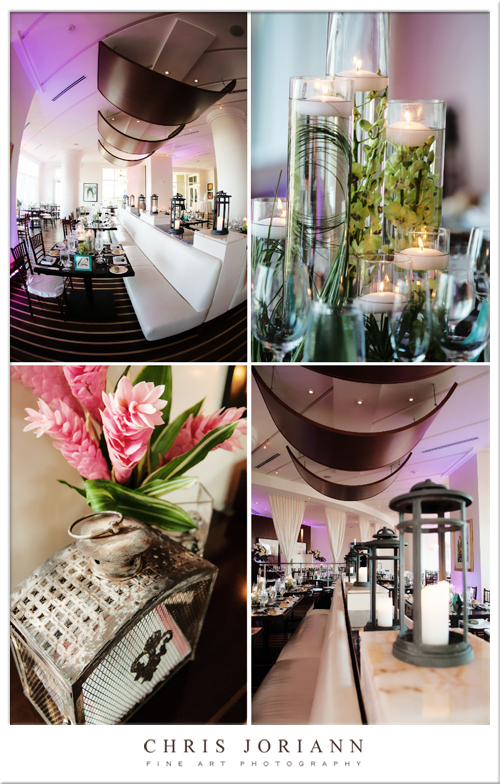 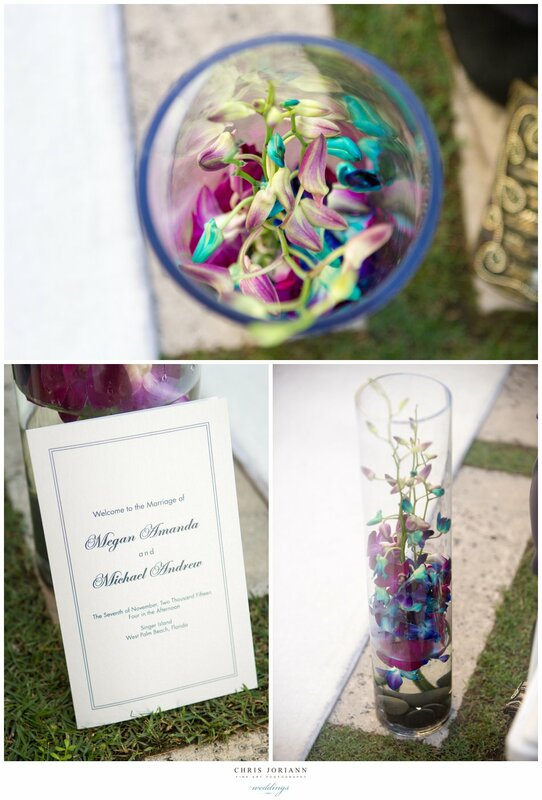 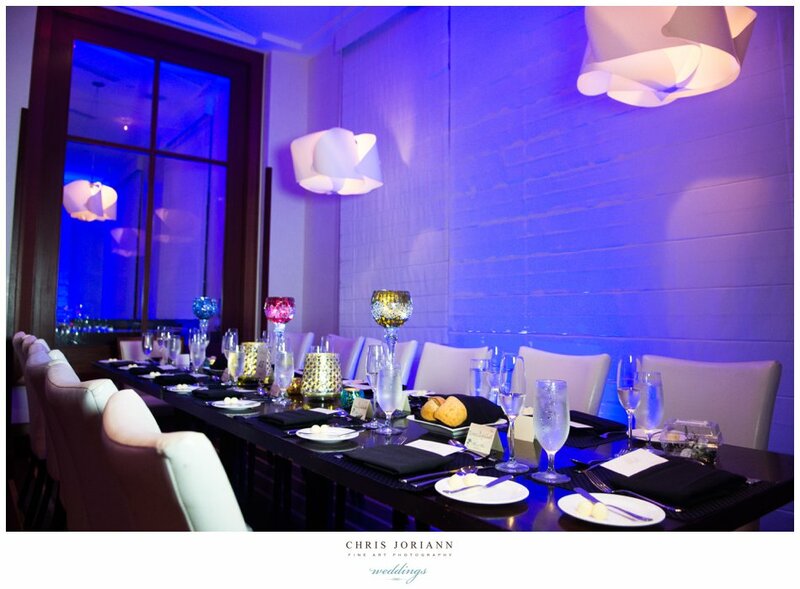 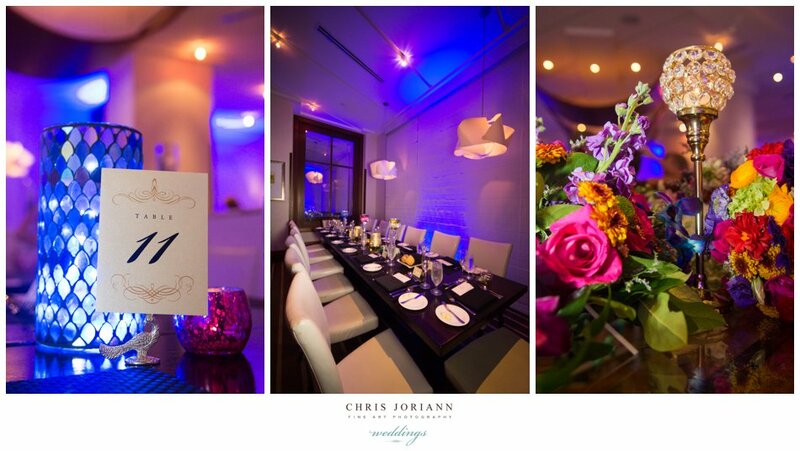 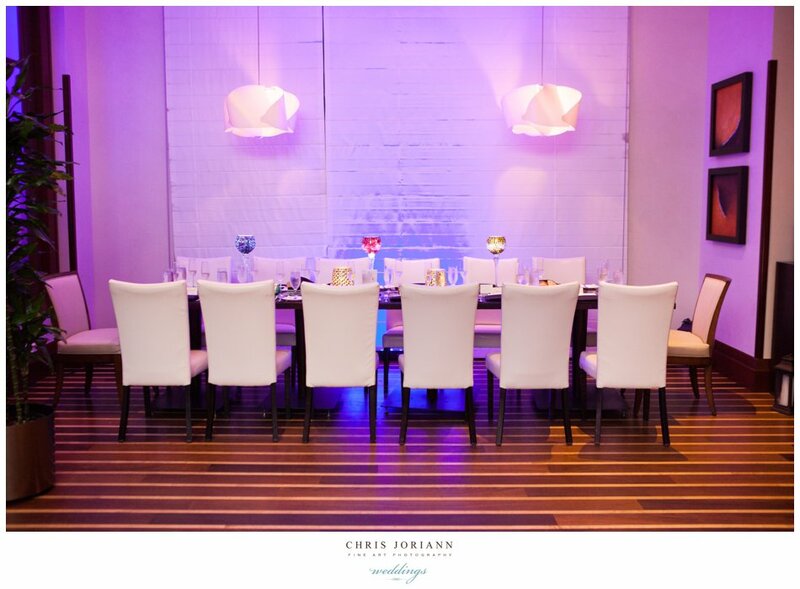 Organized by Rachel Pintarelli for Rockstar Events with décor by Gerilyn Gianna Event + Floral Design, the room was awash in color, nad uplit in hues of blue and magenta. 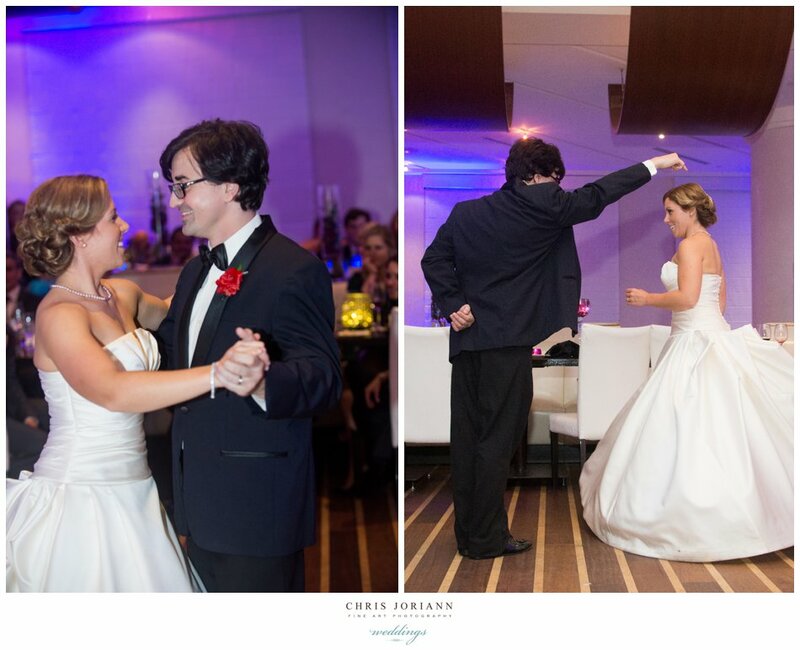 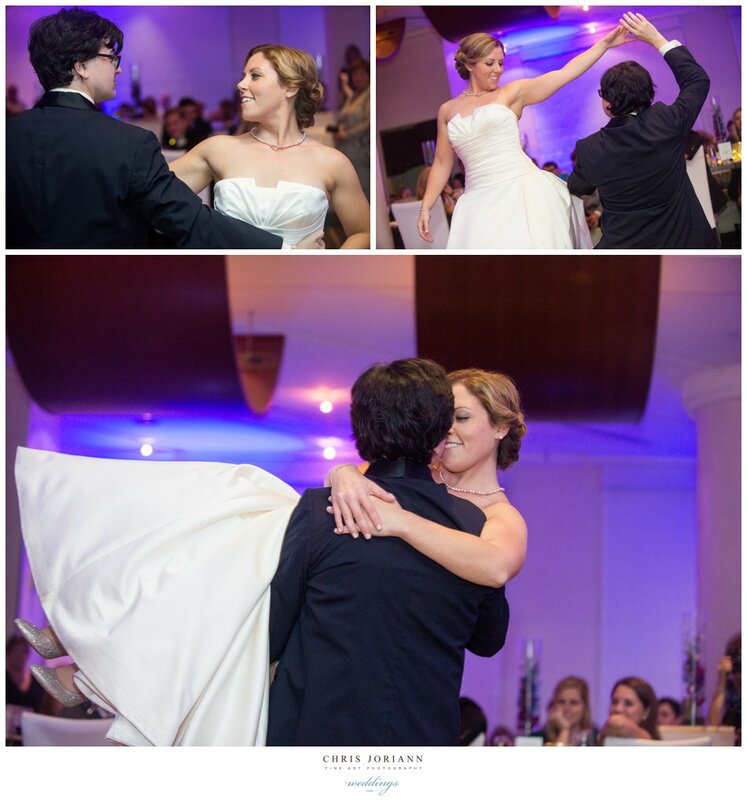 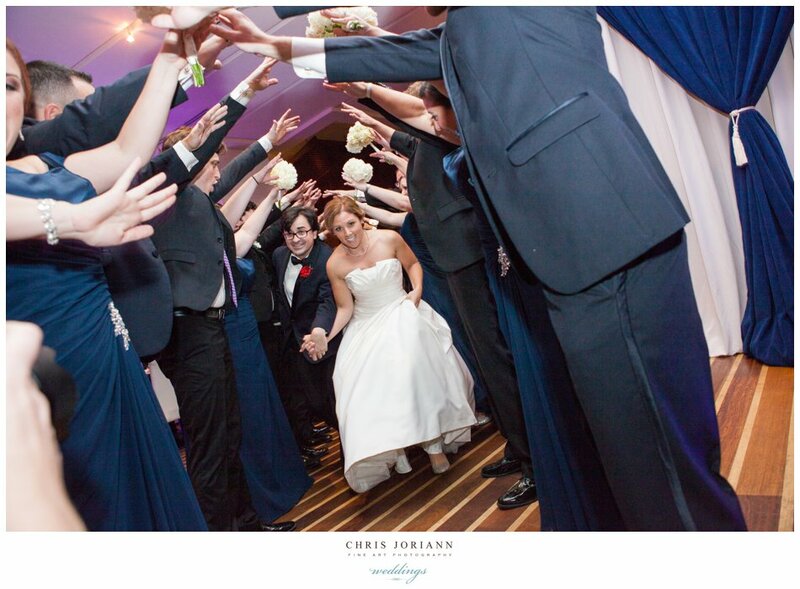 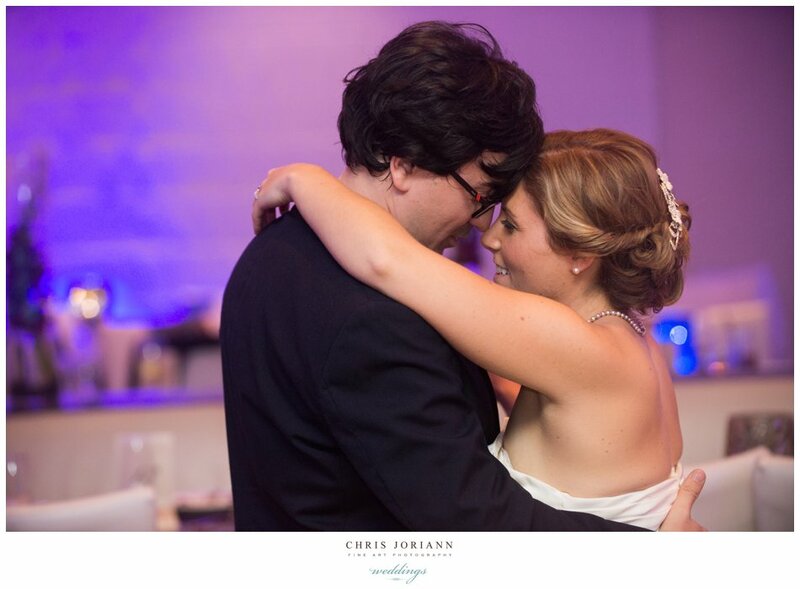 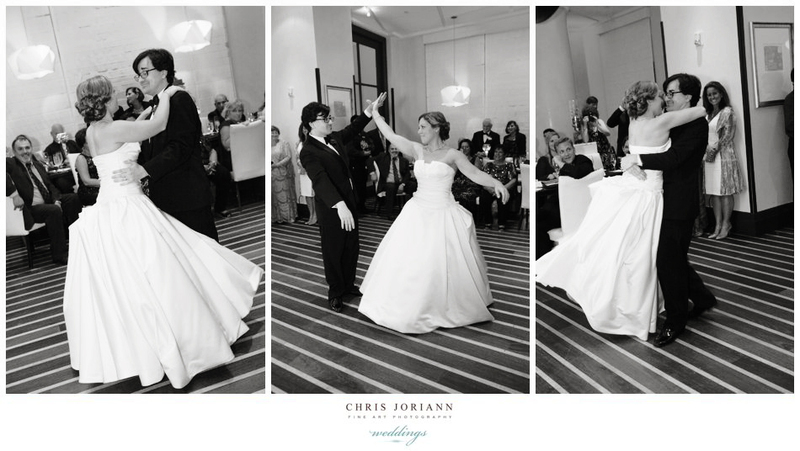 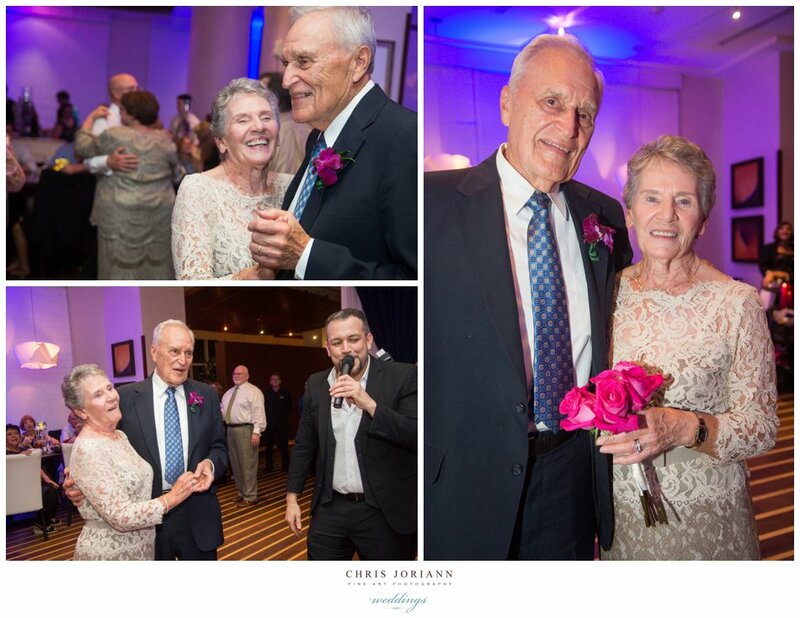 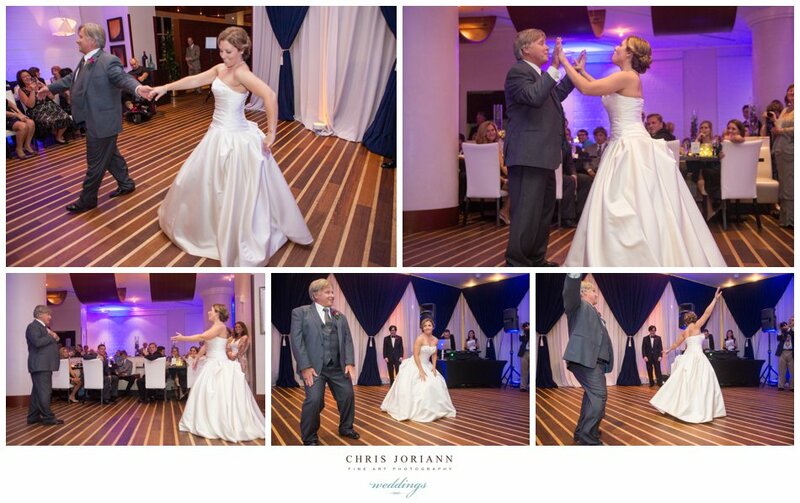 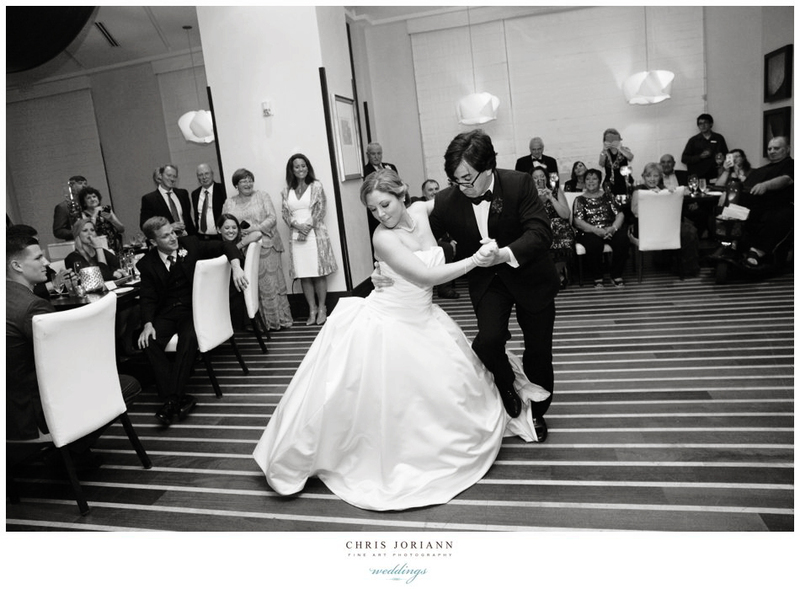 The first dance stole the show, as the couple’s fabulous routine had everyone on their feet. 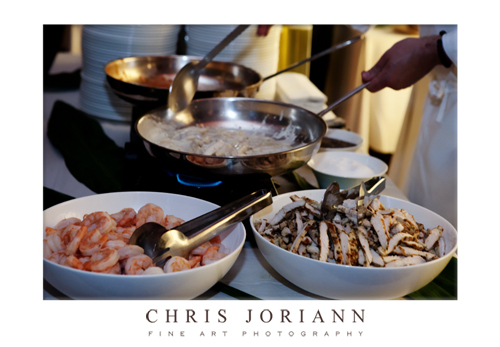 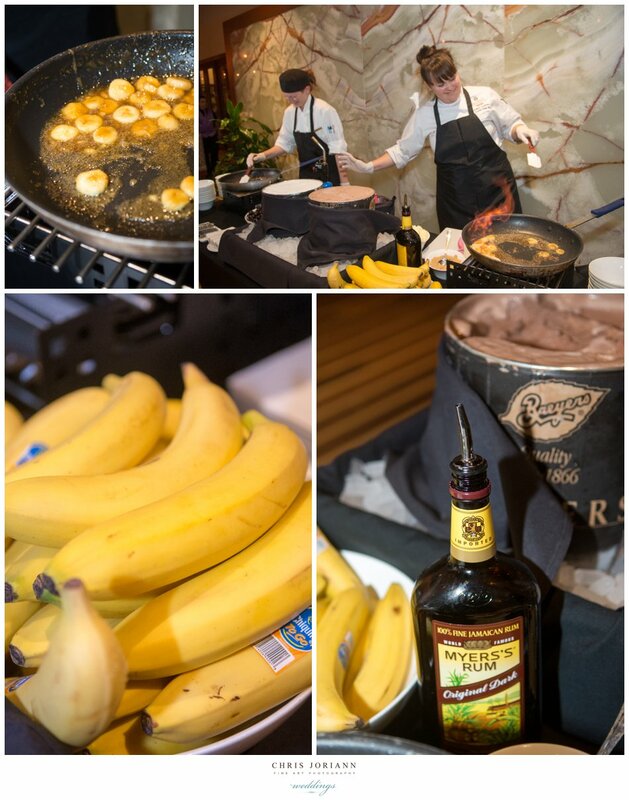 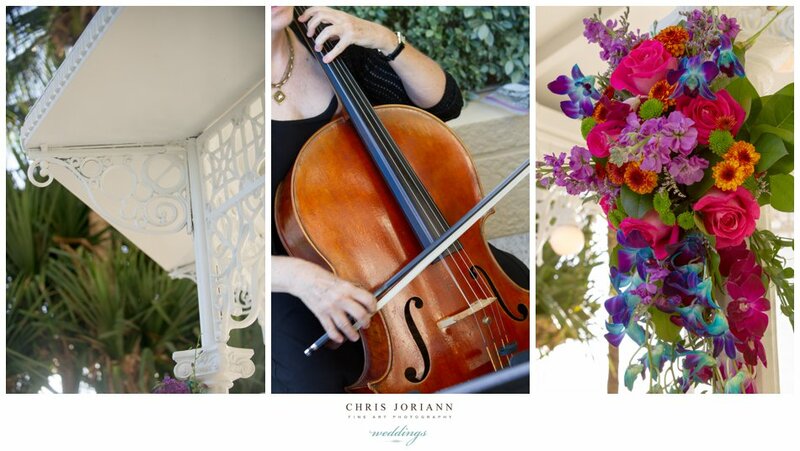 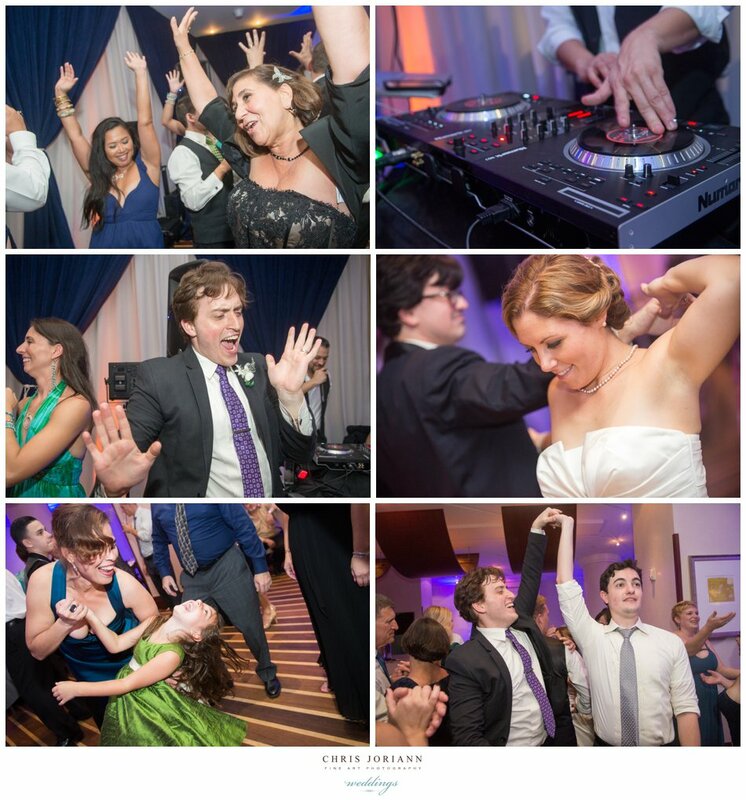 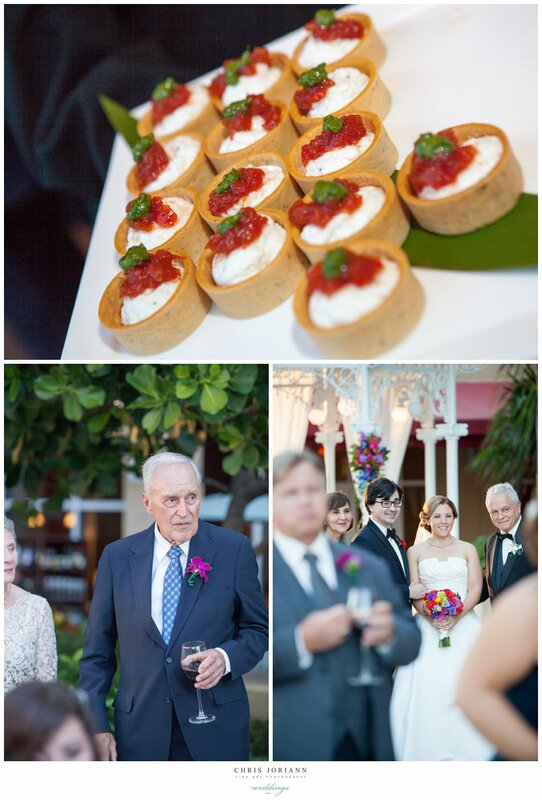 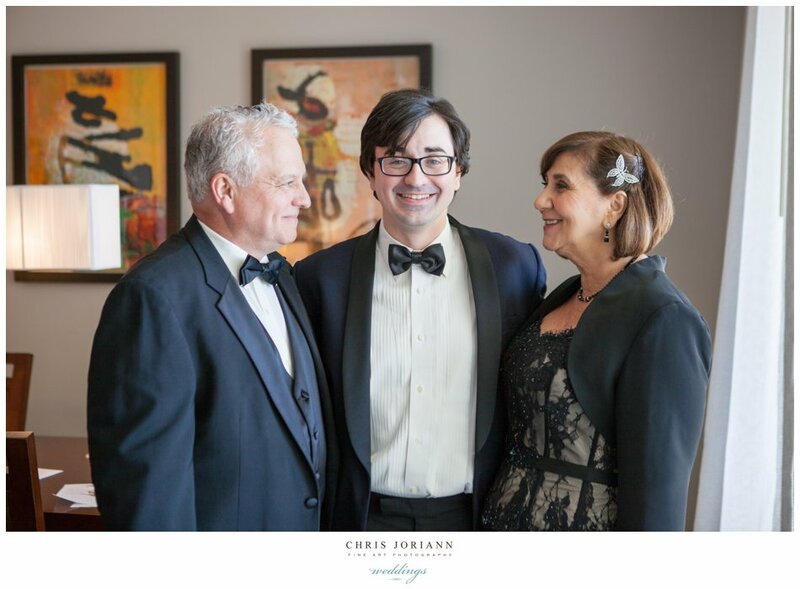 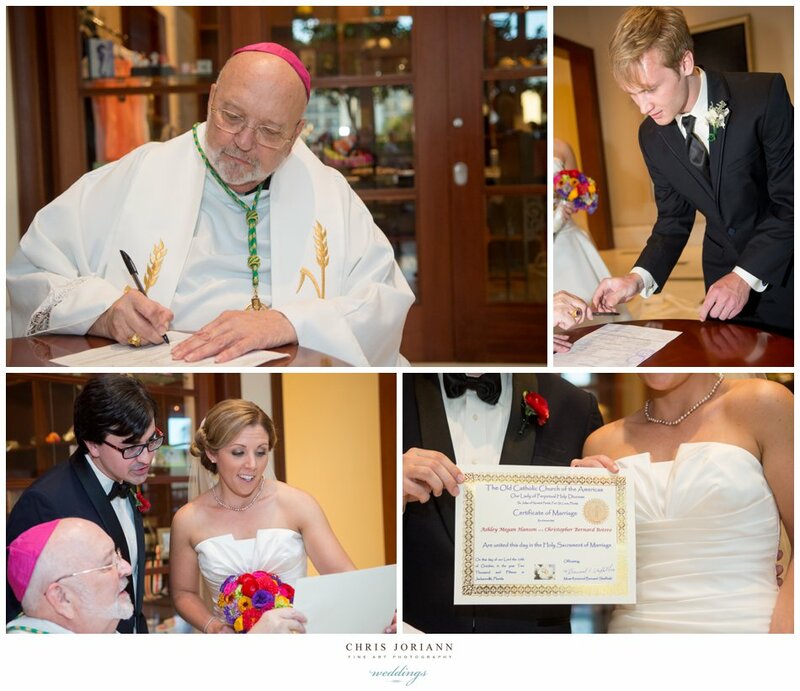 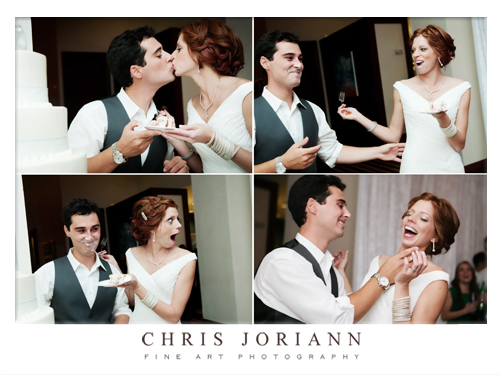 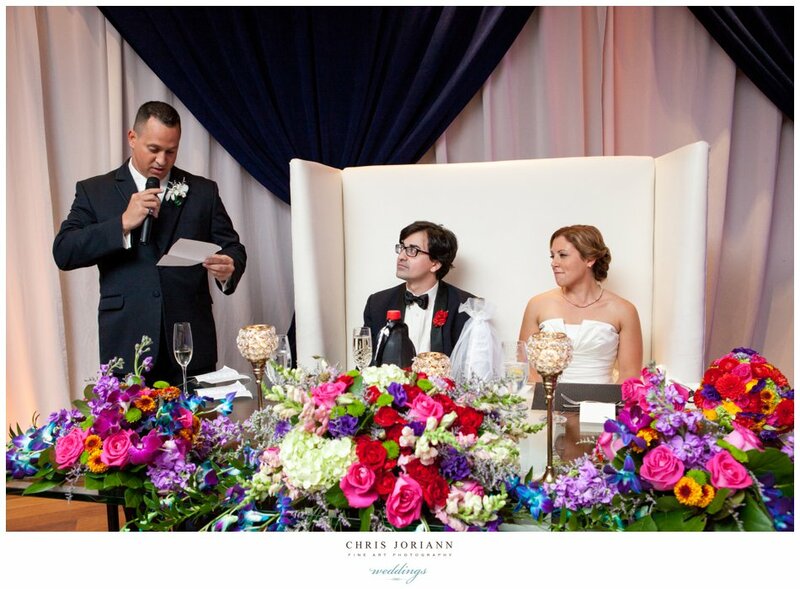 Guests dined and danced, then indulged… in flaming banana foster and wedding cake. 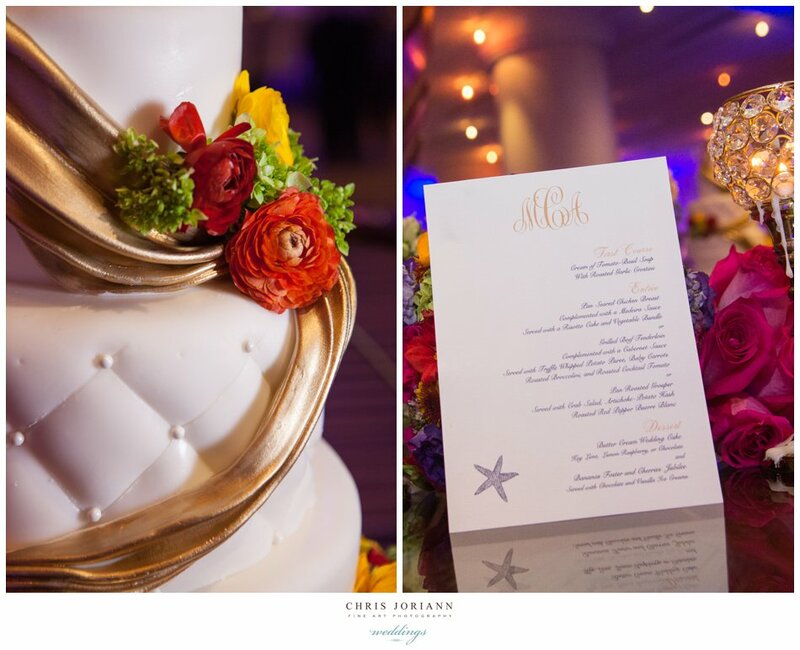 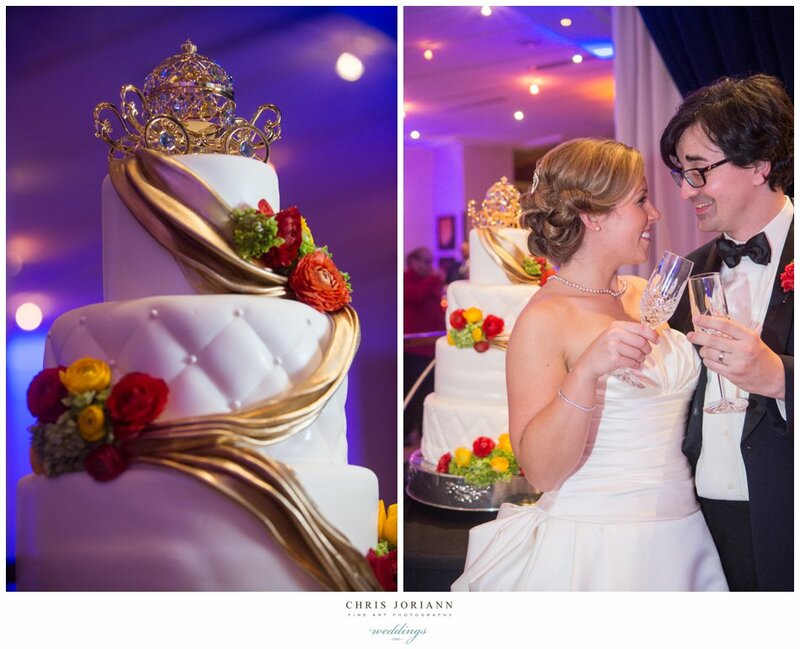 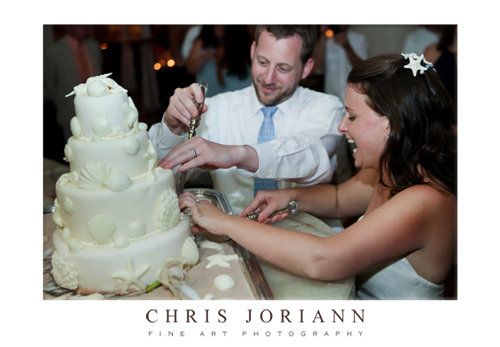 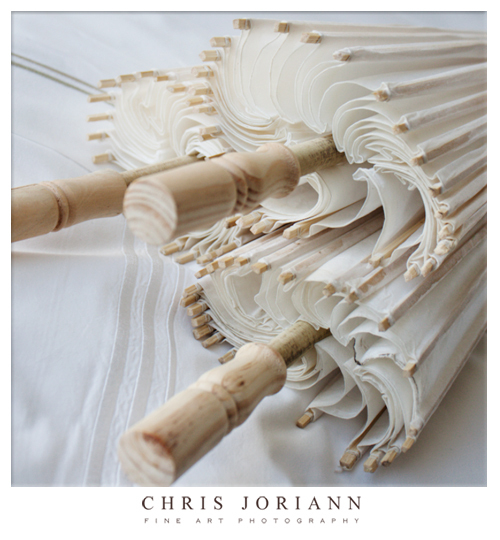 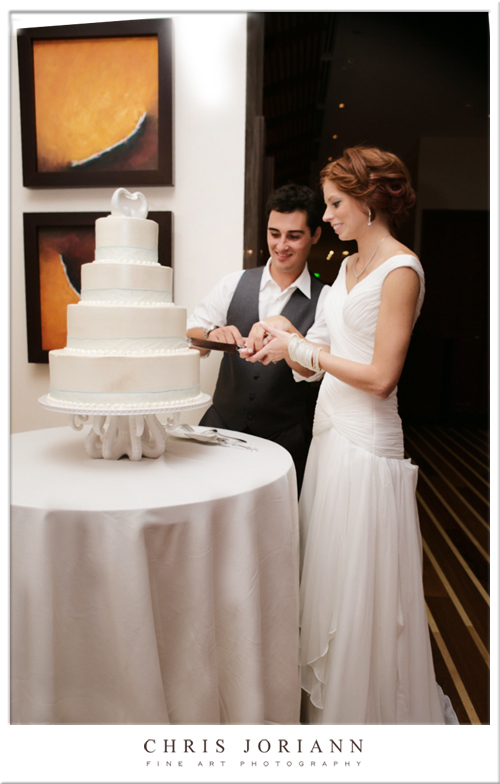 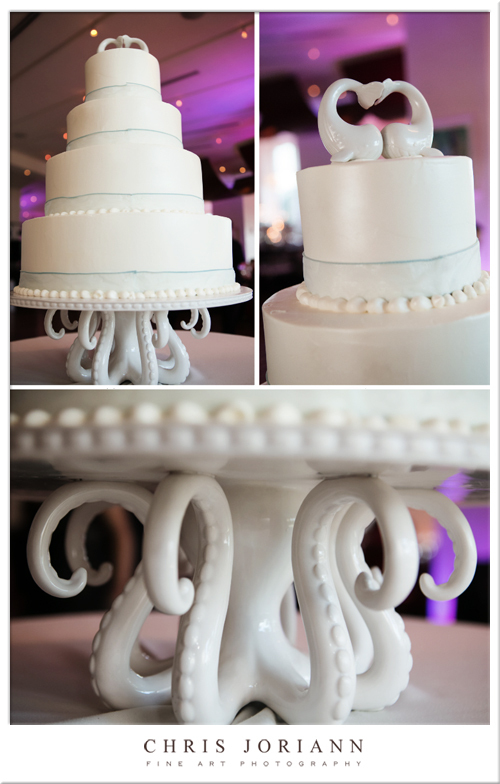 The 4-tier tufted fondant masterpiece was draped in gold, and paid homage to Megan + Michael’s love of fairytales. 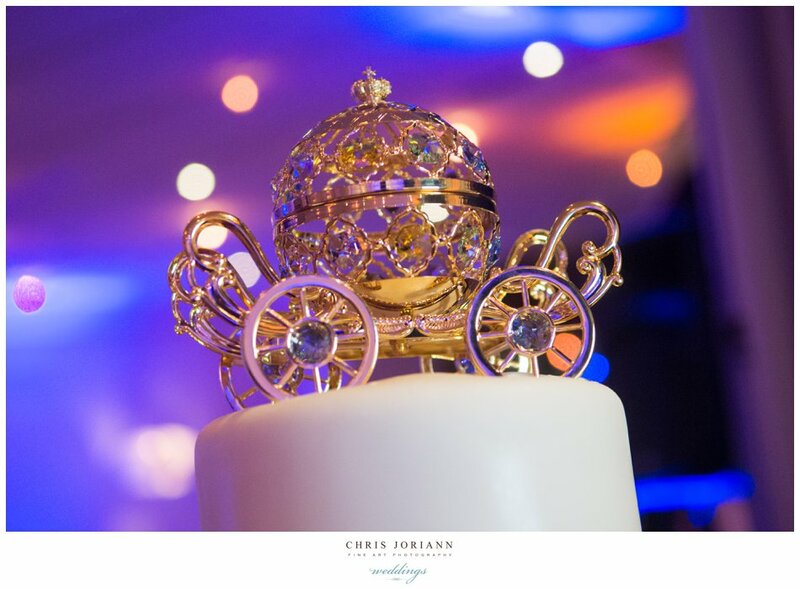 The confectionary creation was even topped w. a gold princess coach and music from Disney’s Frozen played as the cake cutting began. 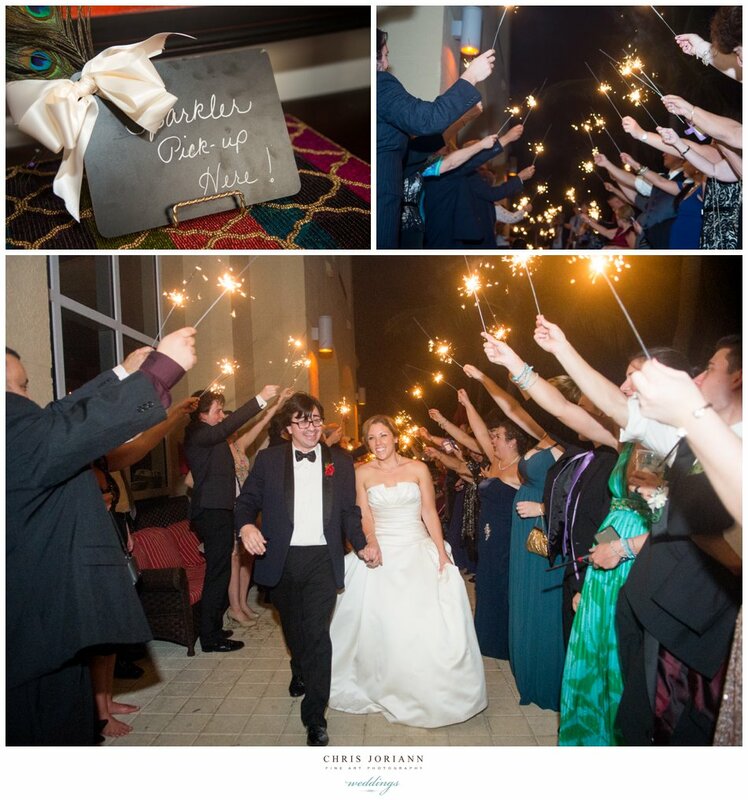 Hours later, the newlyweds exited with a sparkling send off. 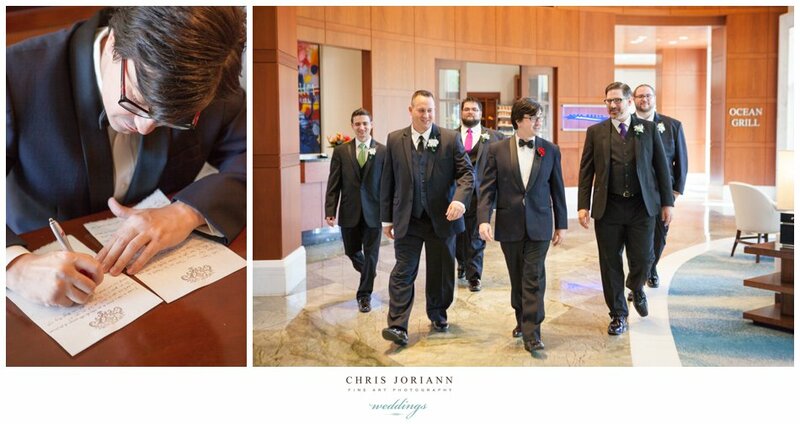 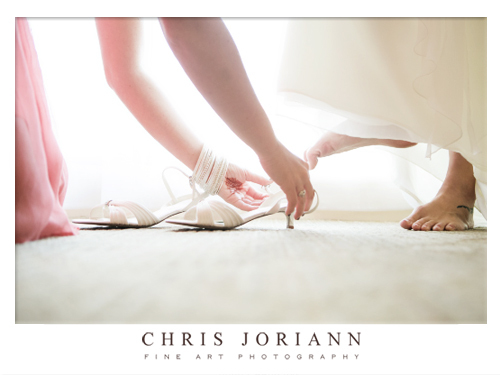 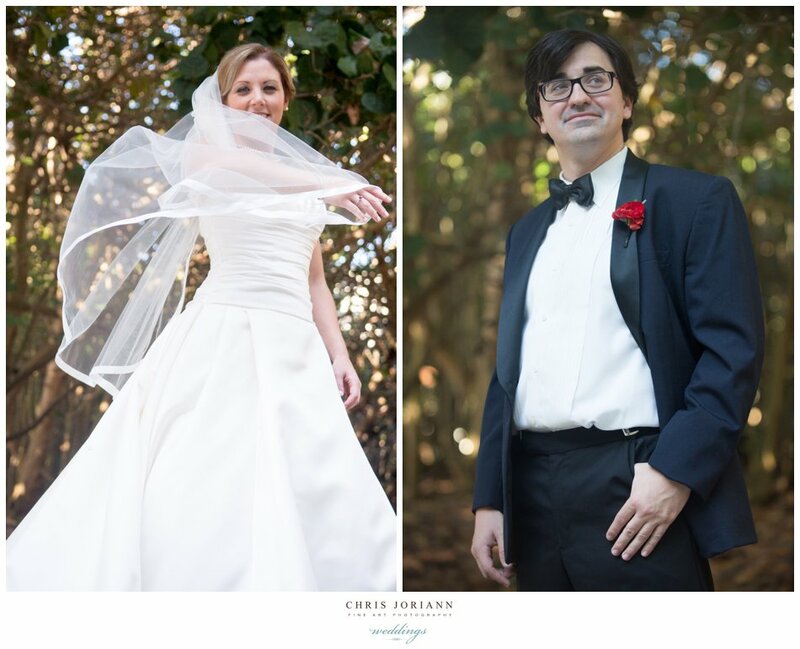 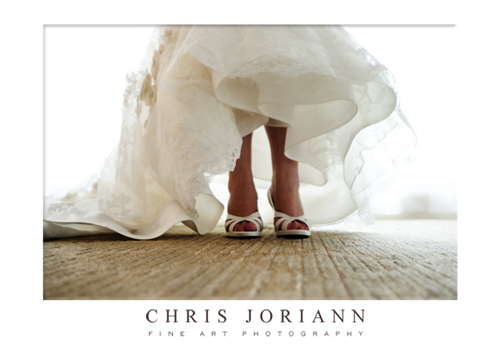 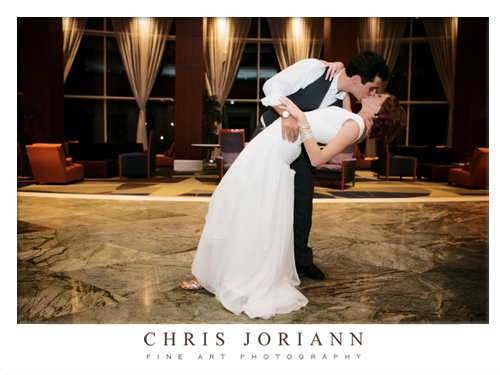 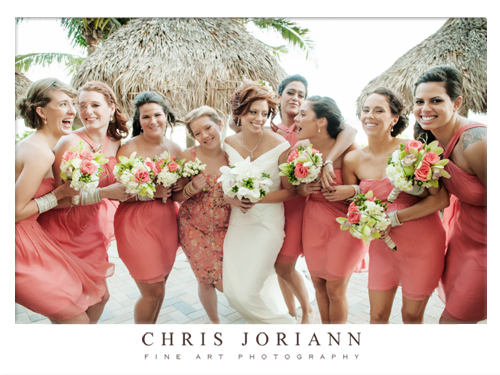 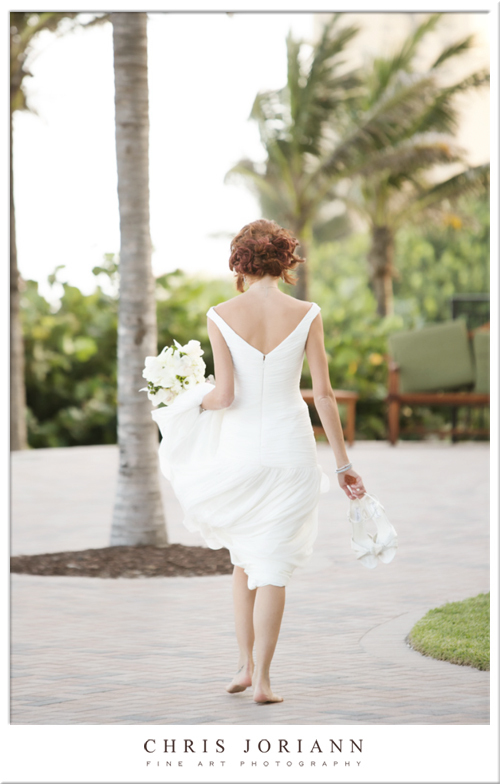 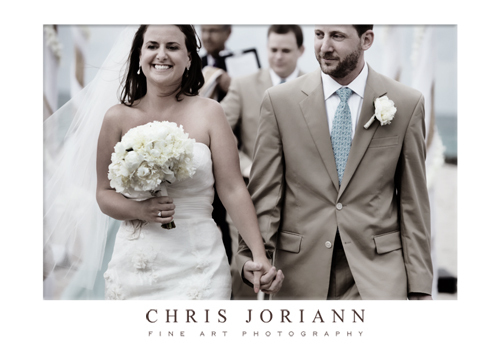 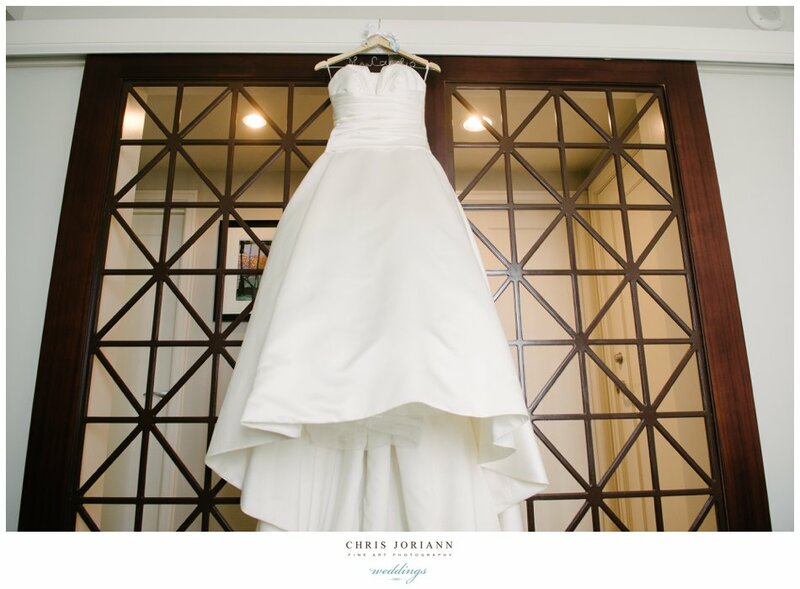 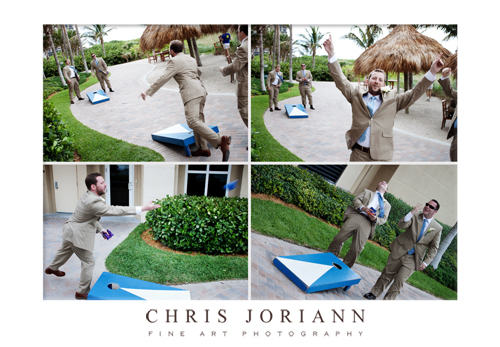 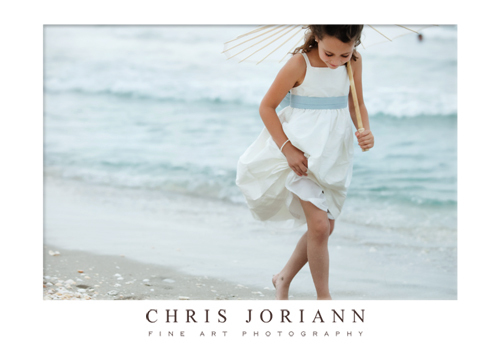 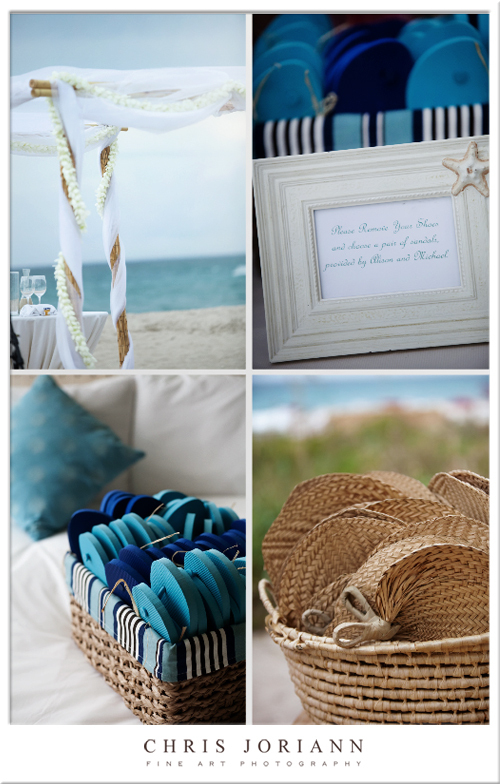 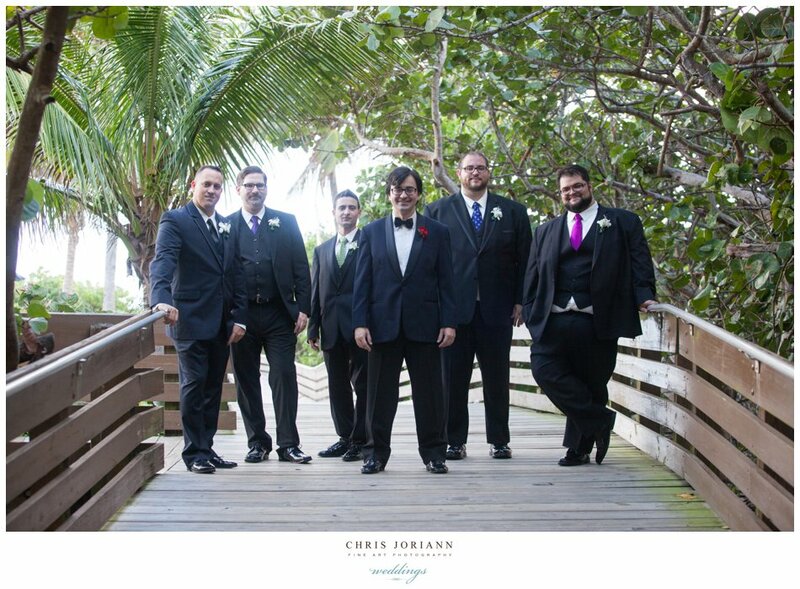 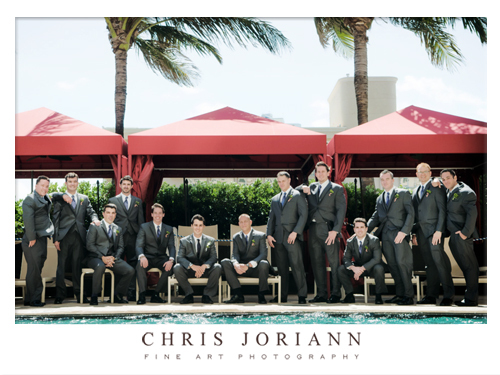 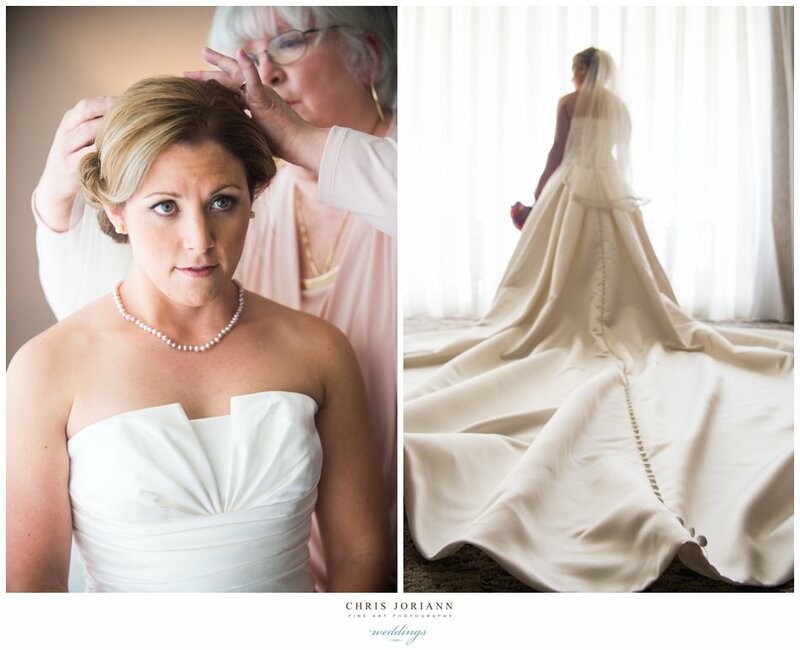 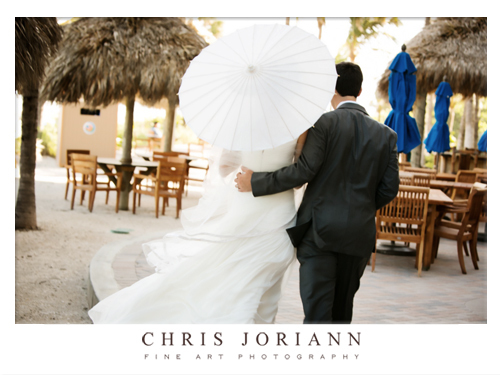 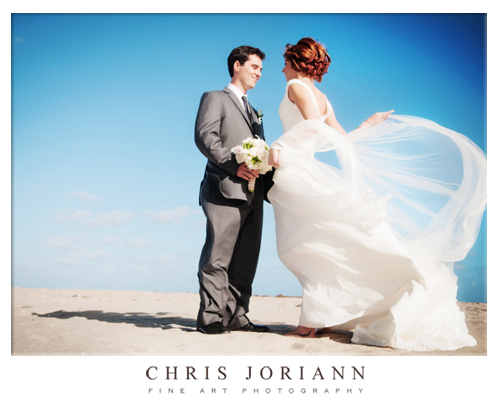 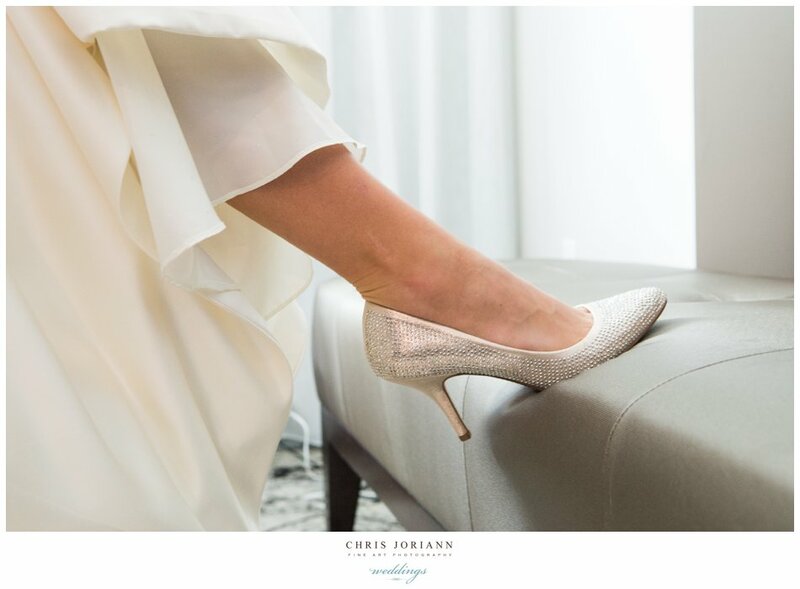 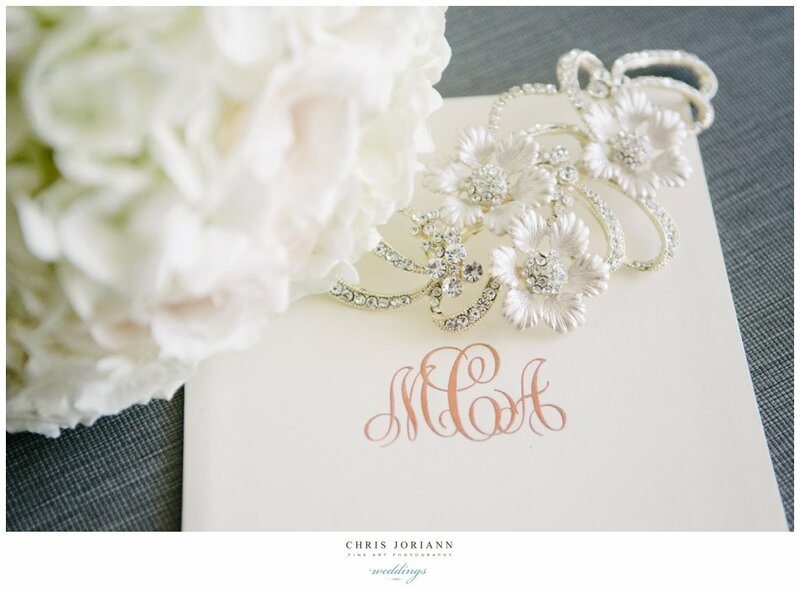 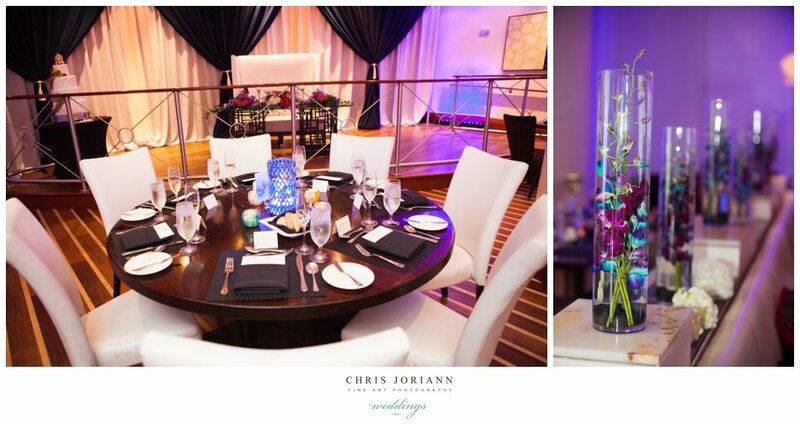 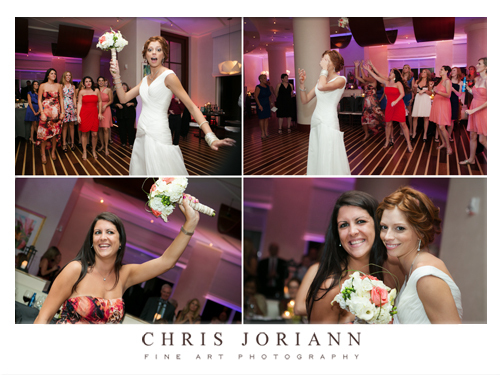 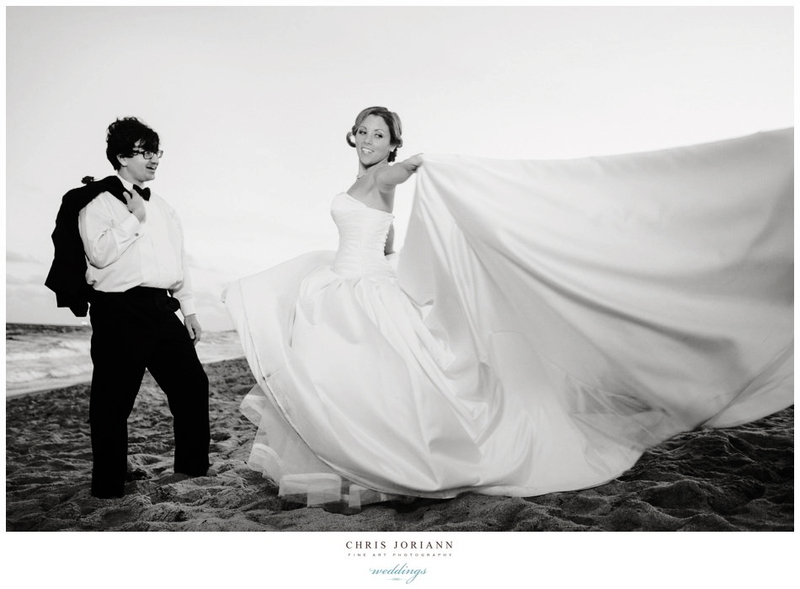 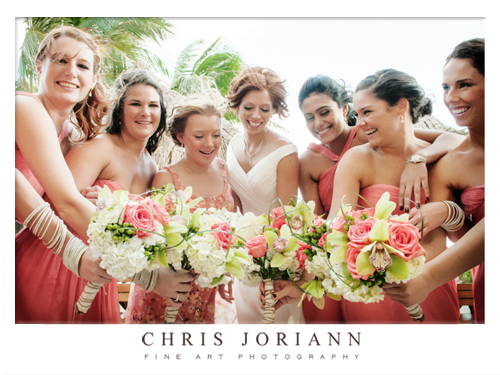 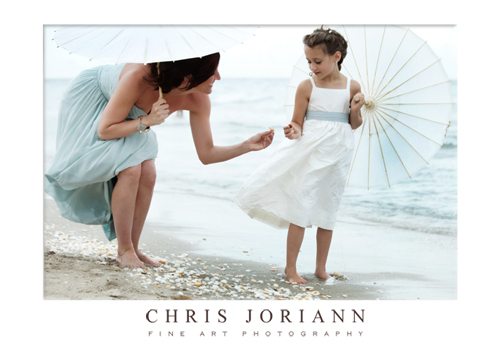 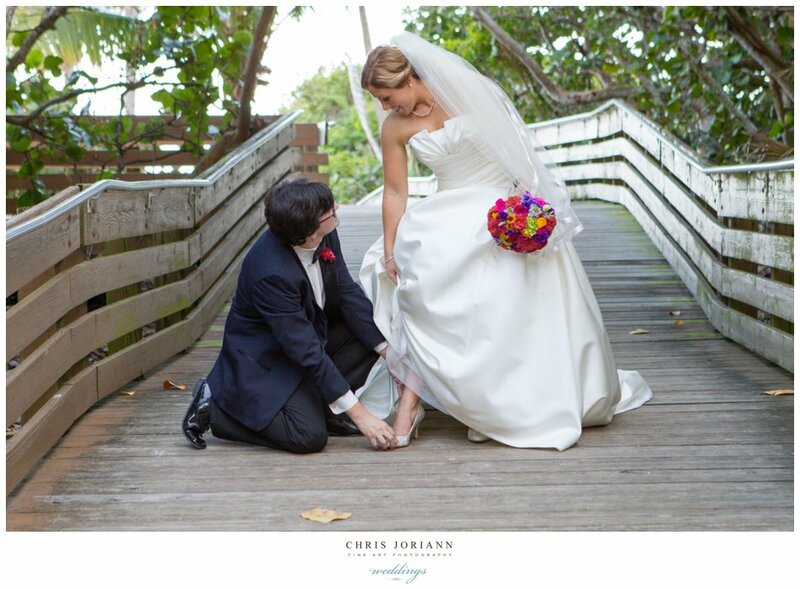 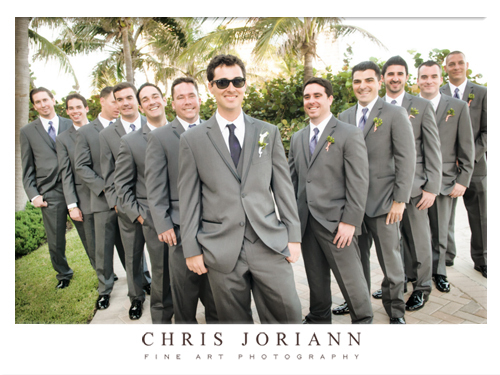 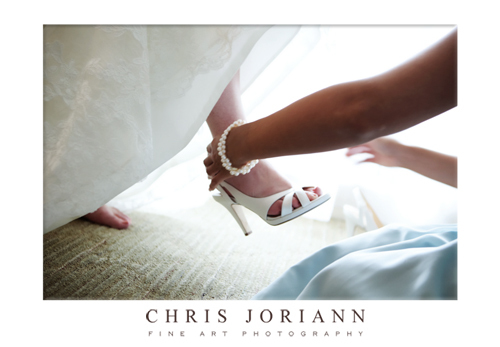 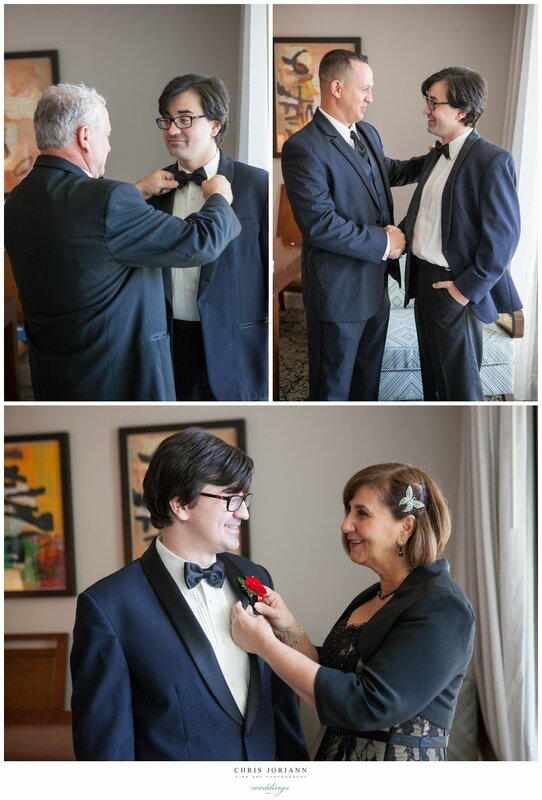 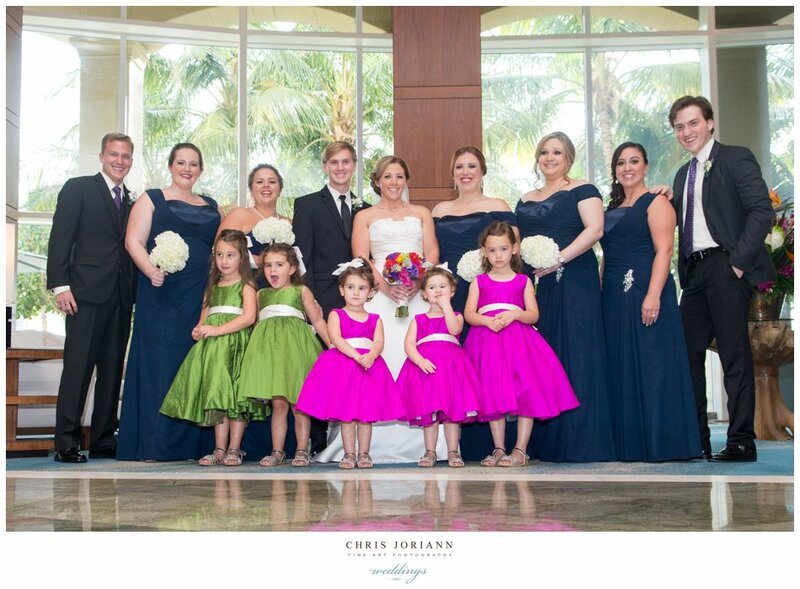 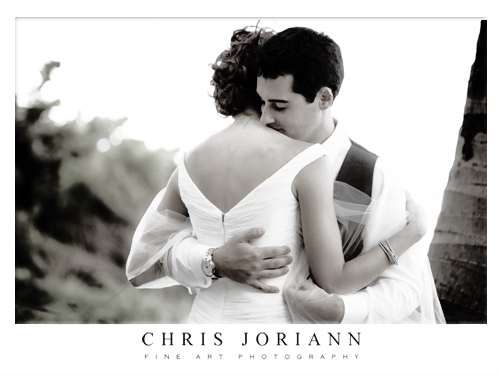 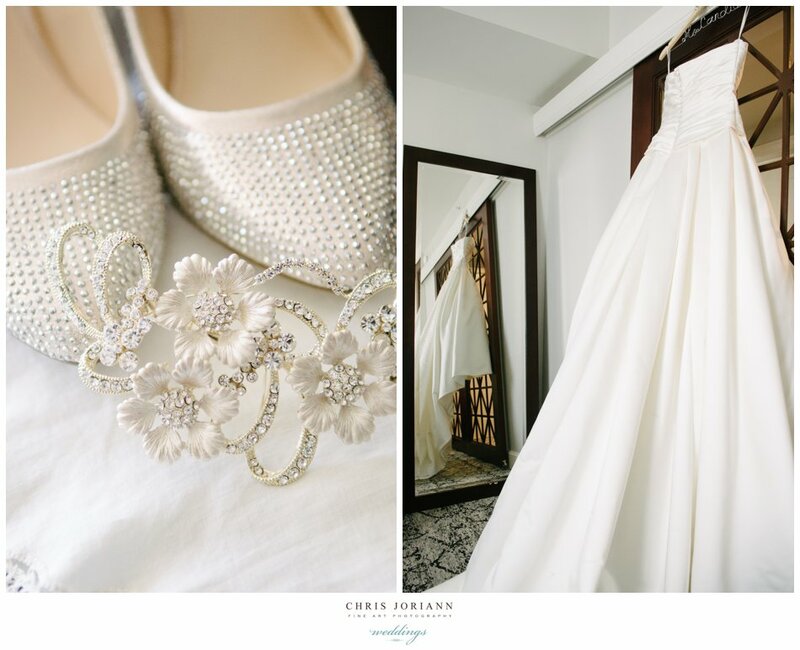 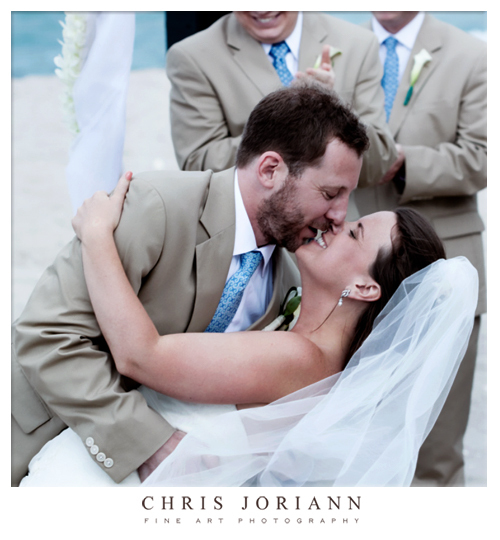 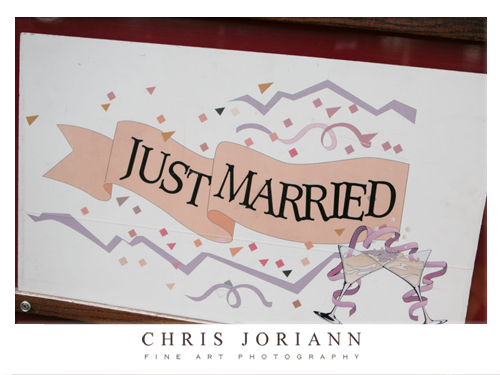 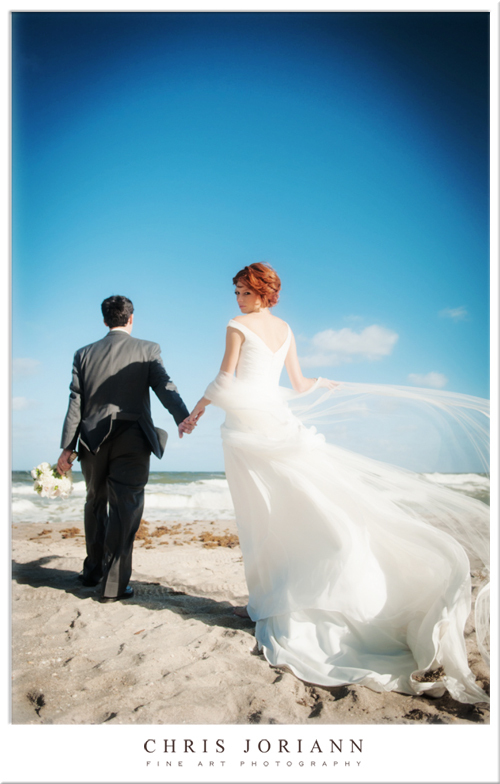 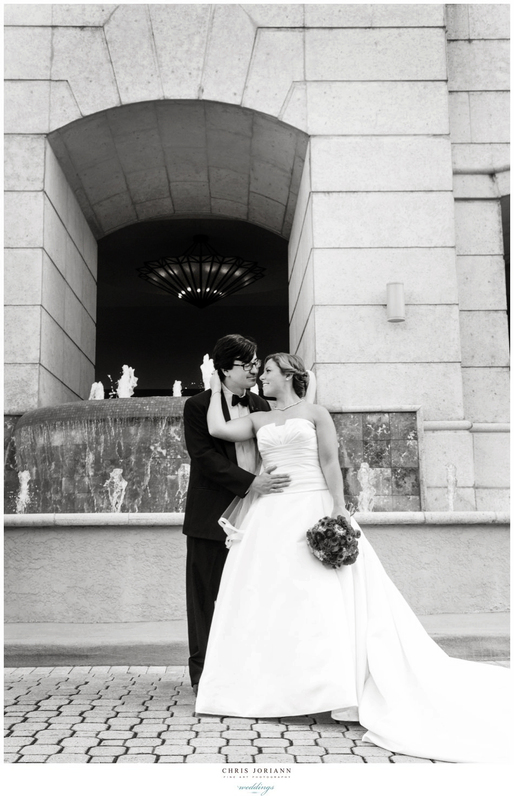 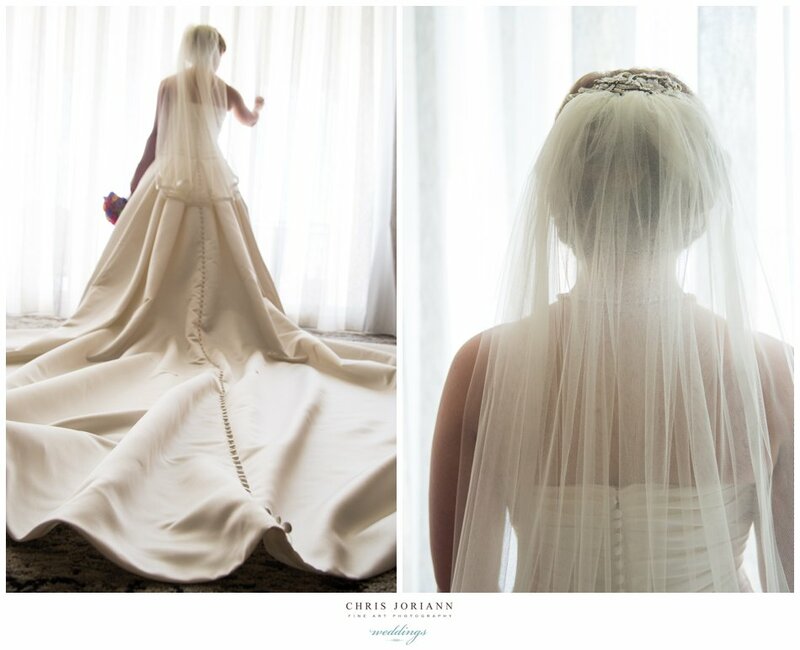 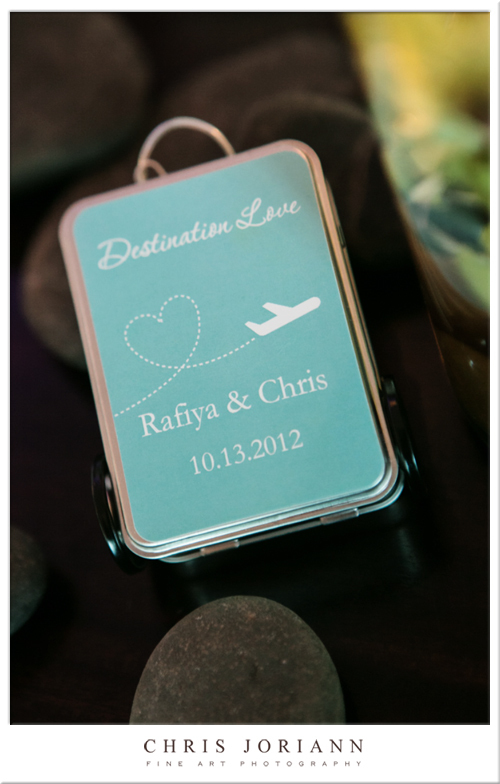 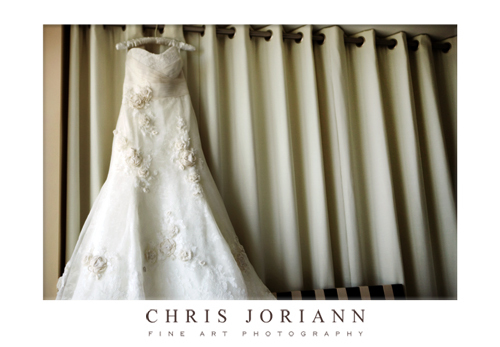 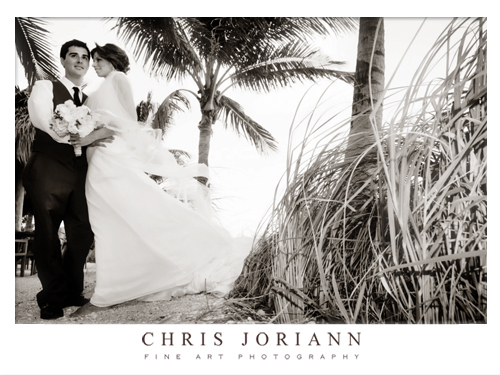 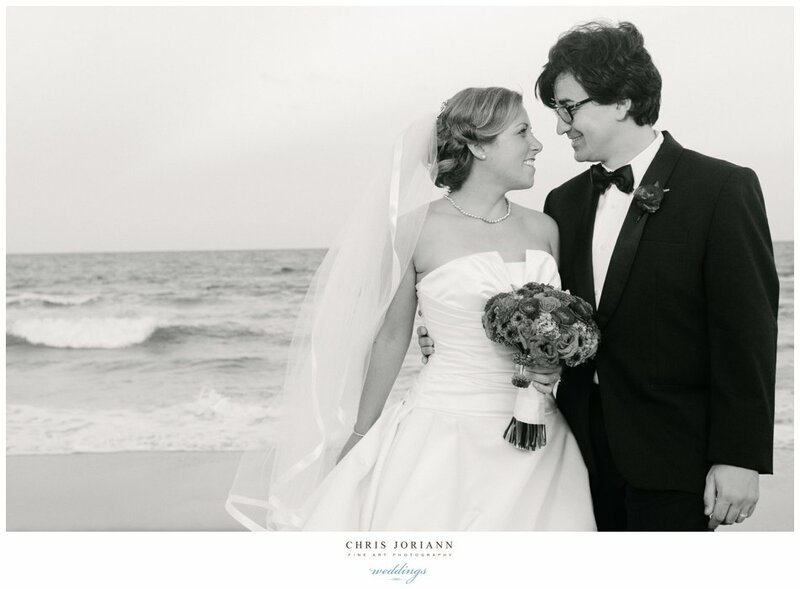 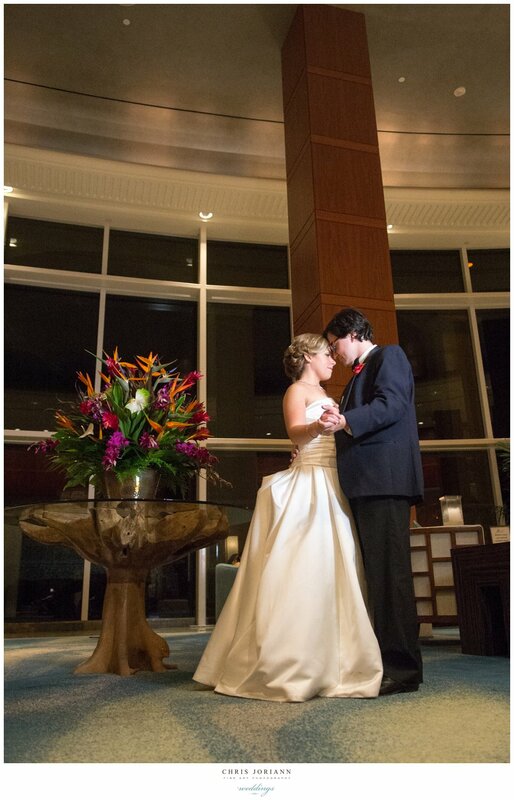 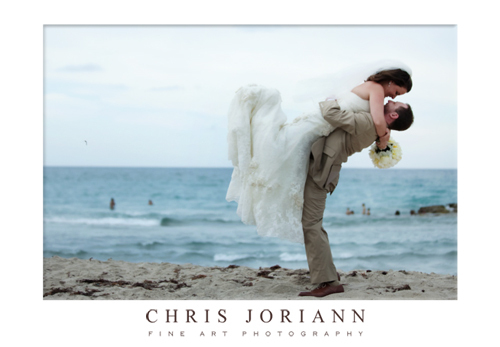 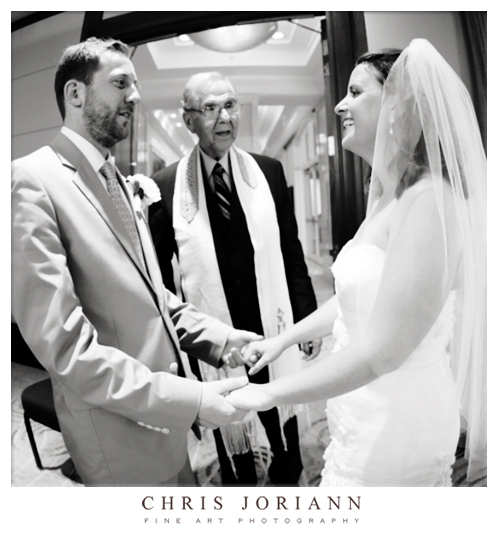 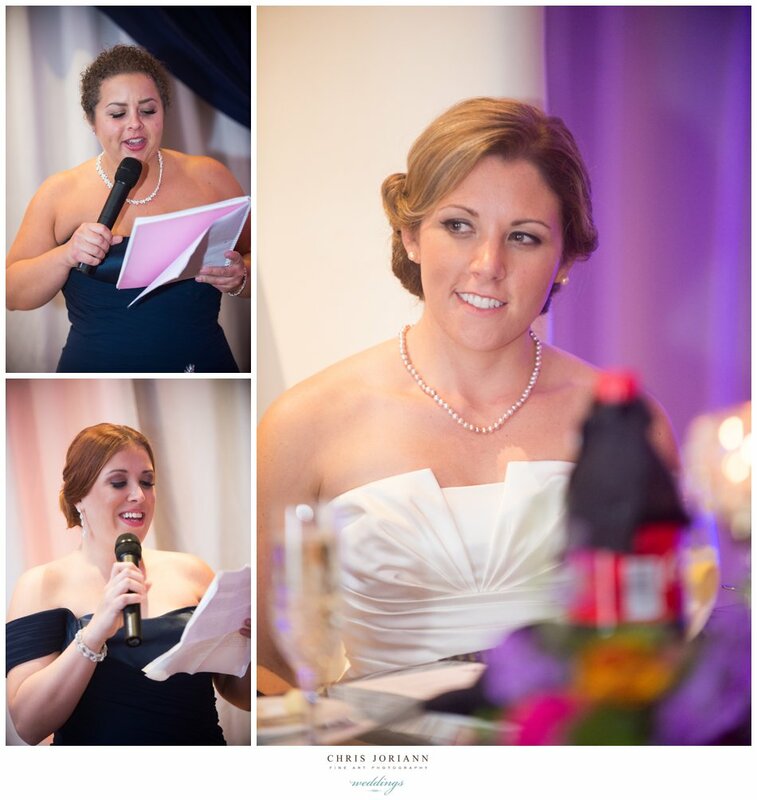 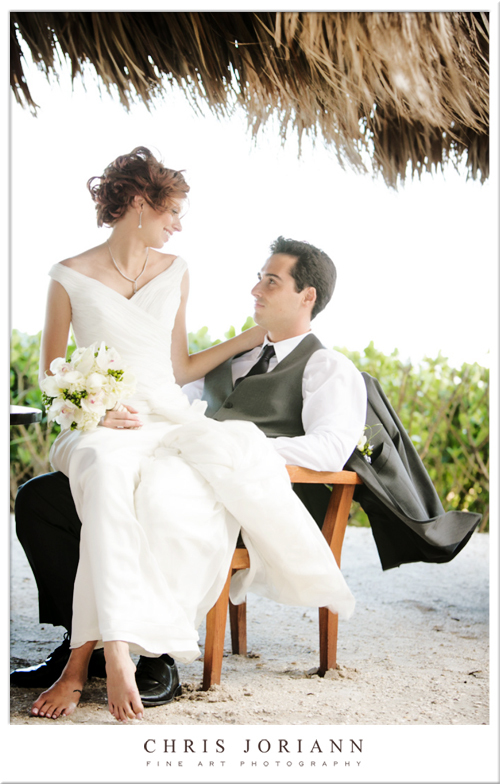 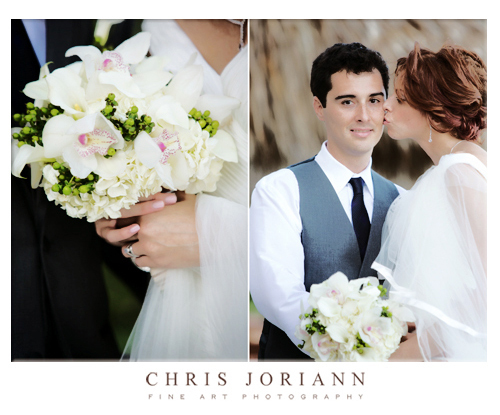 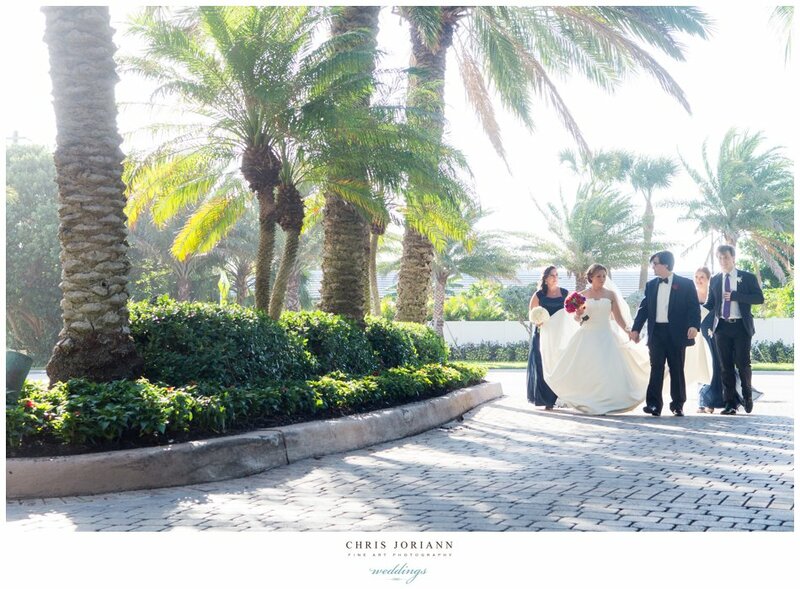 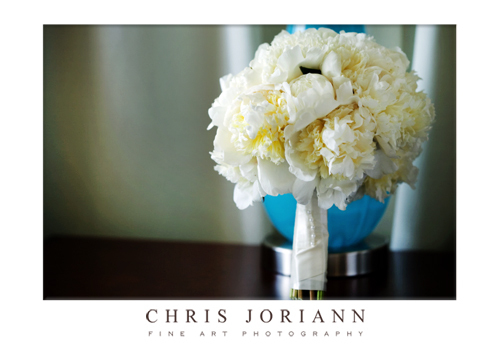 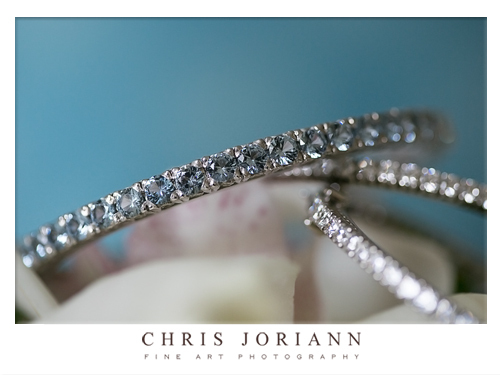 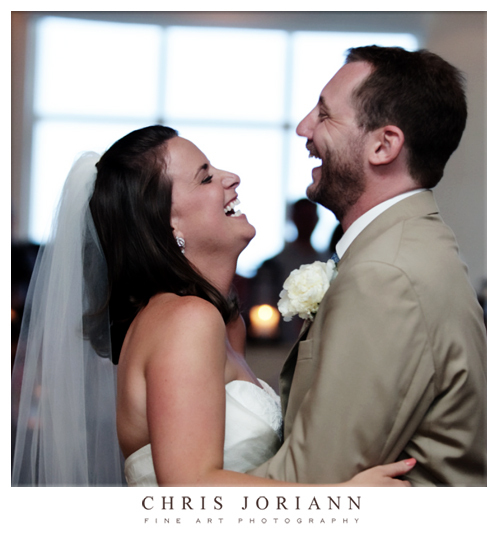 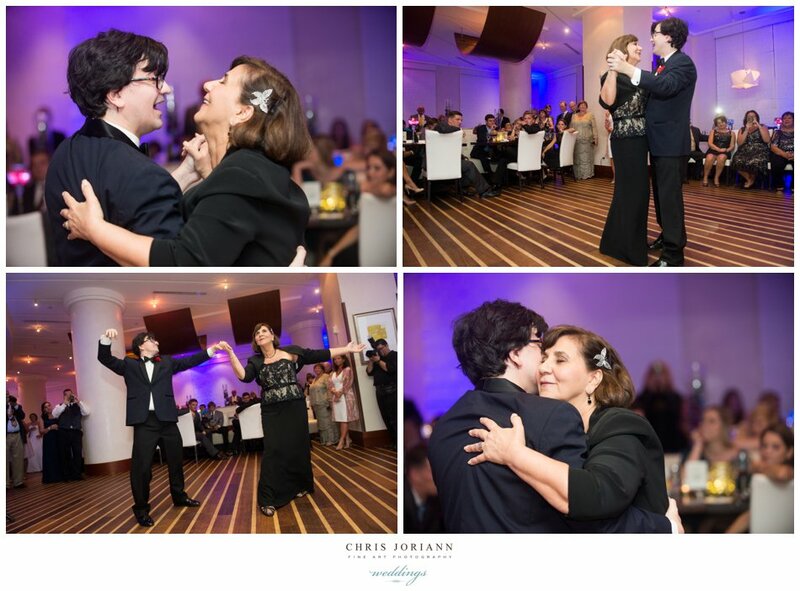 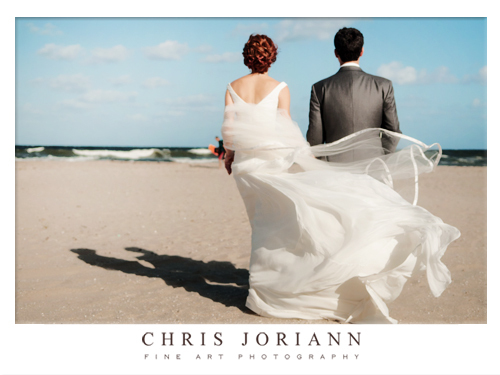 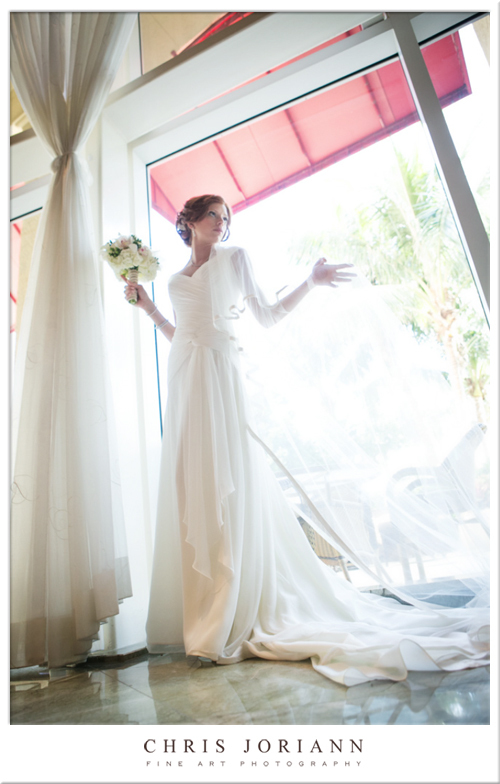 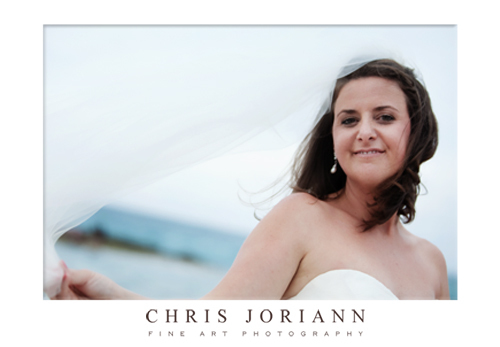 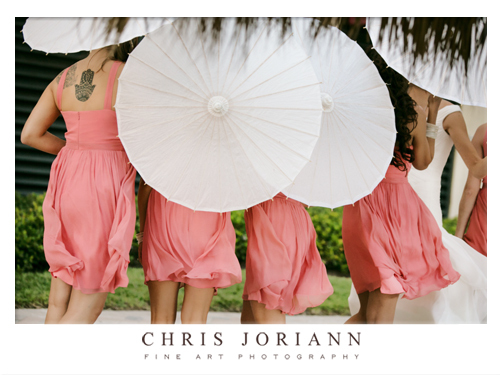 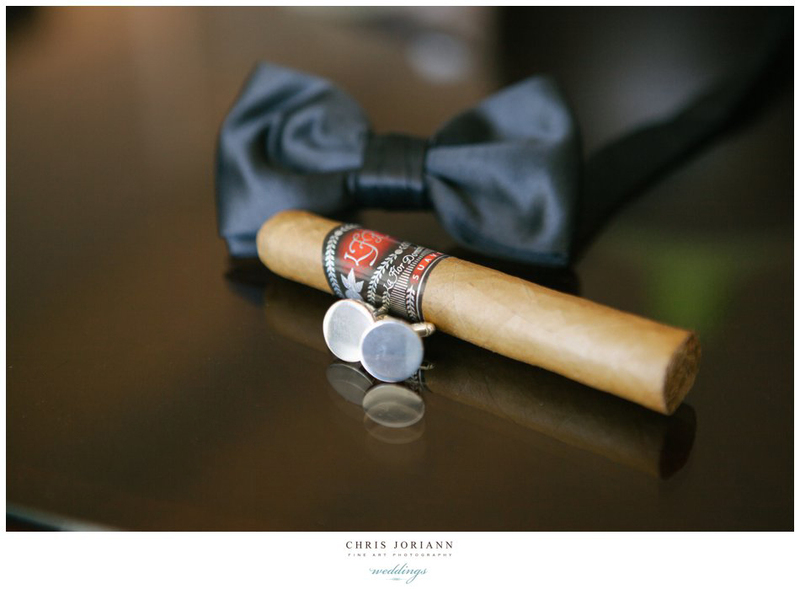 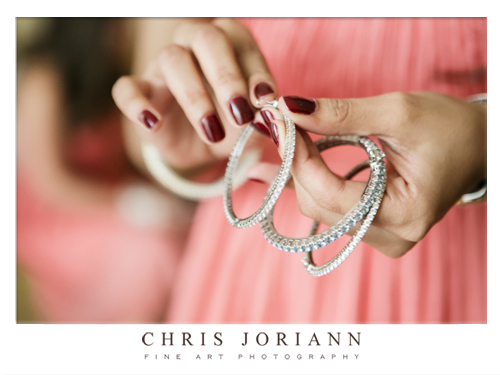 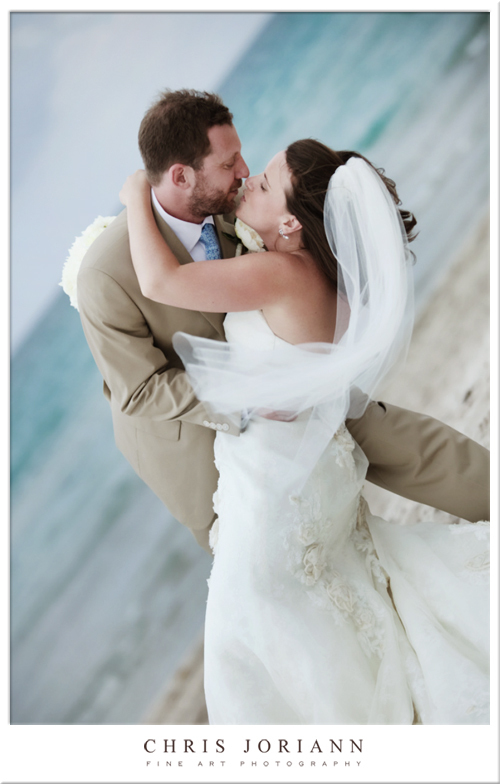 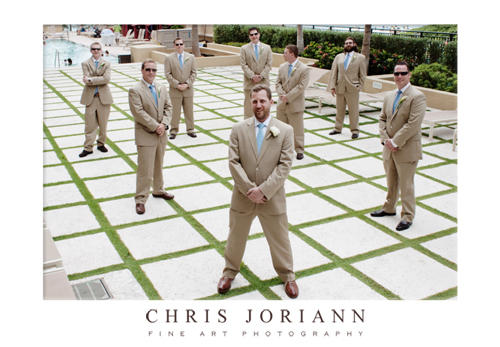 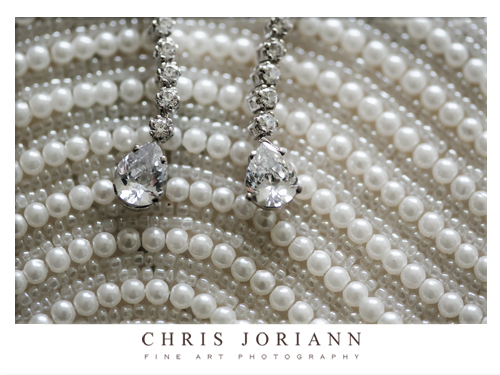 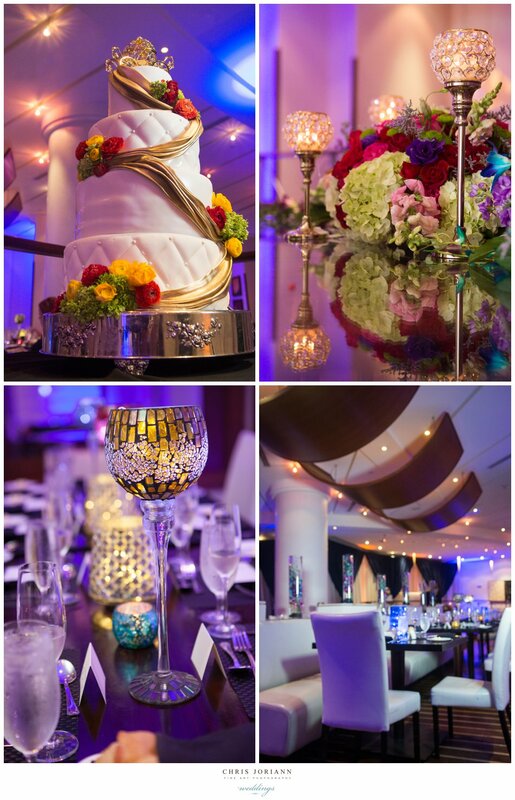 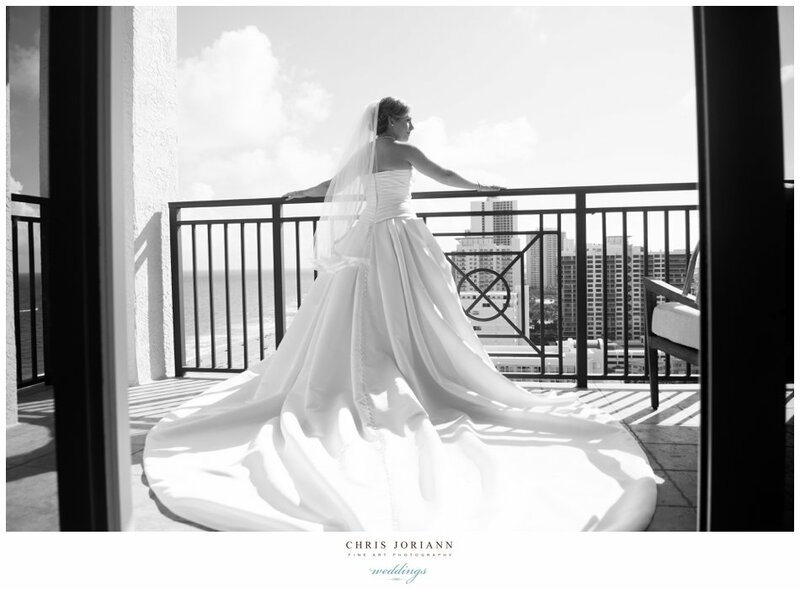 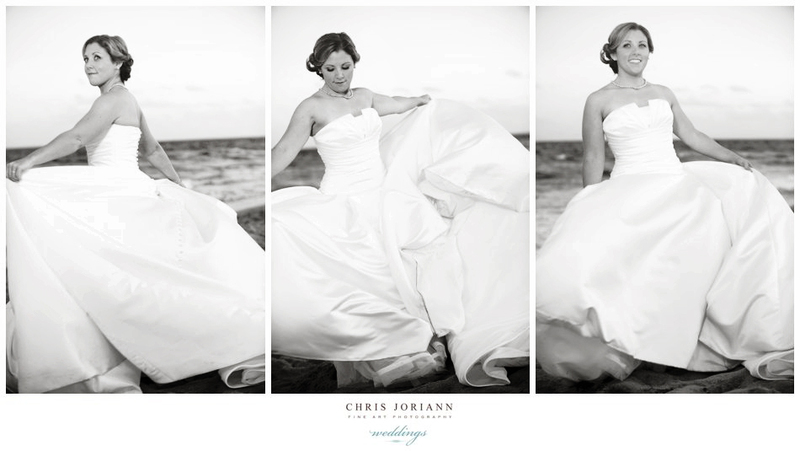 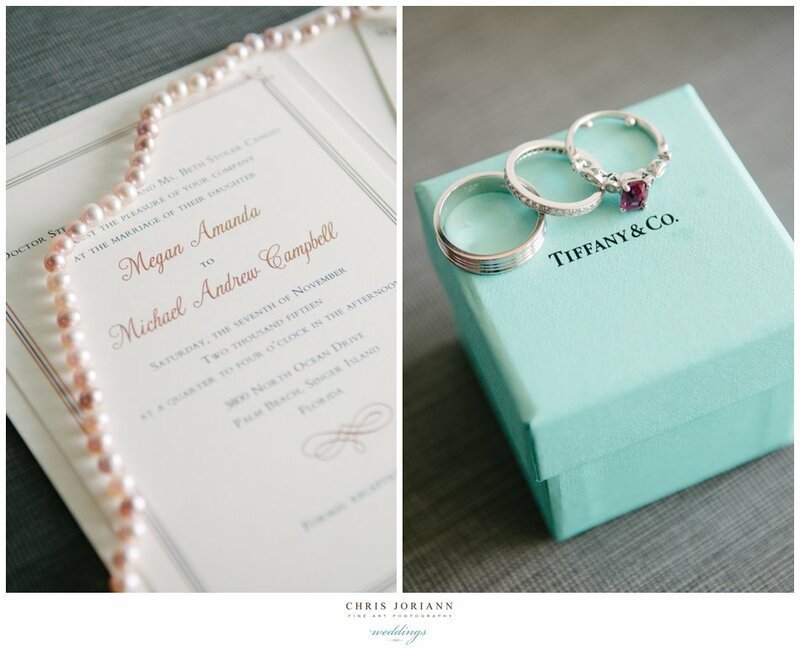 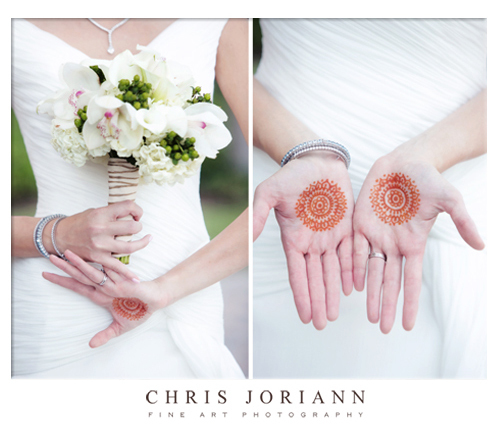 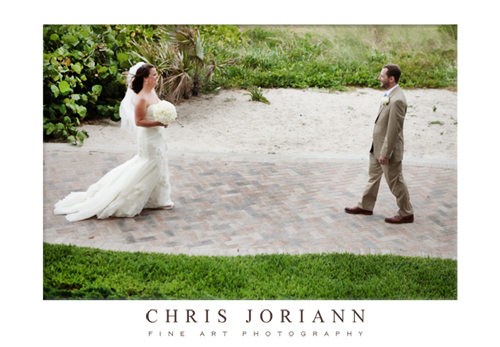 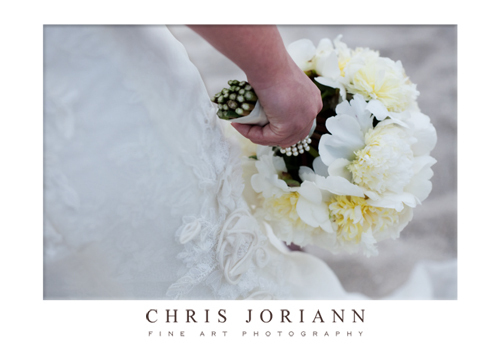 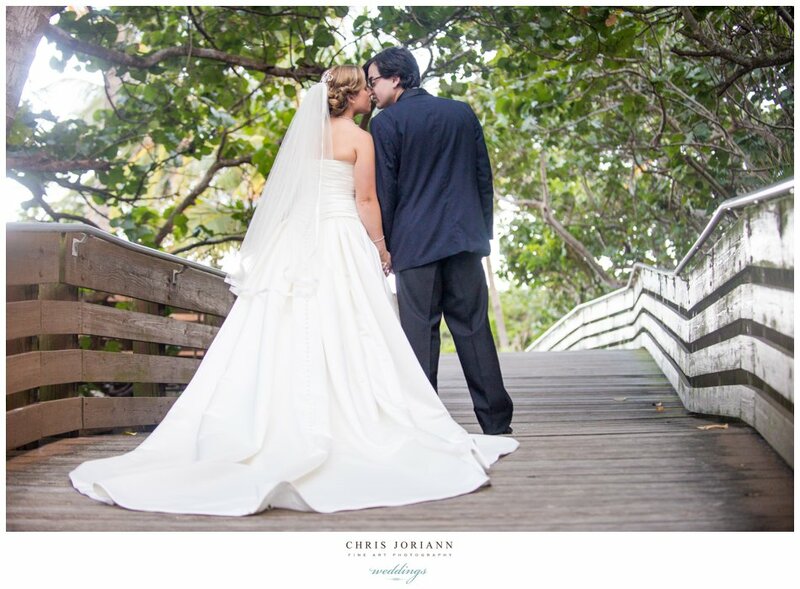 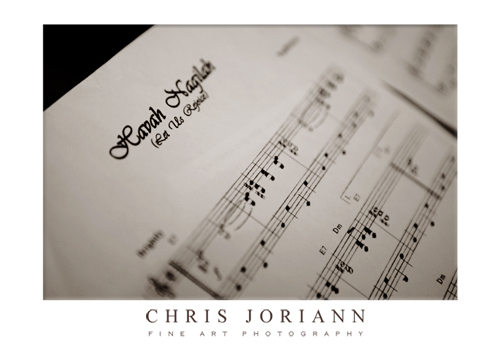 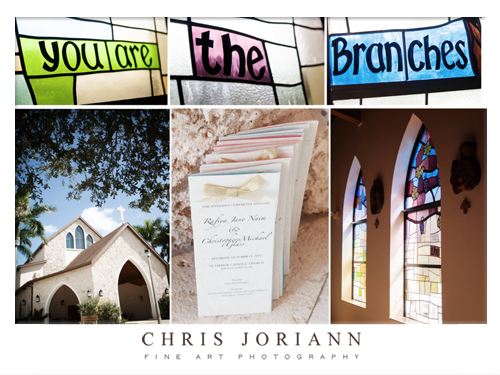 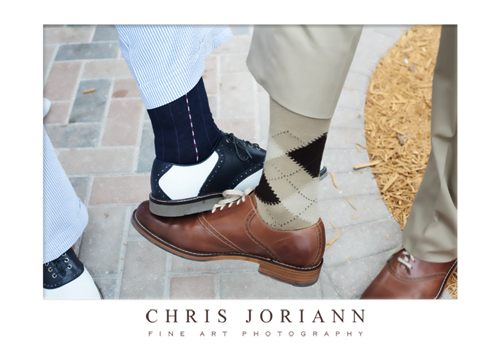 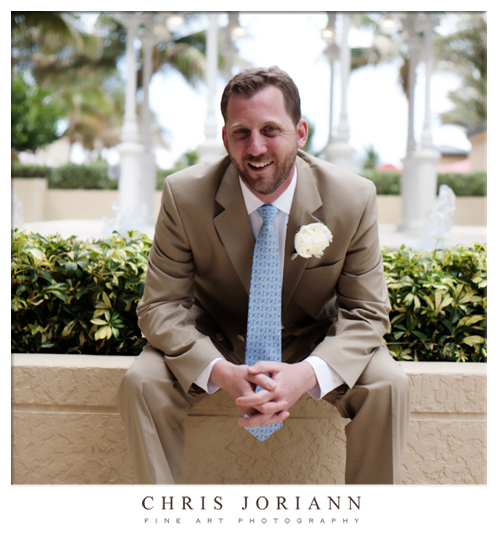 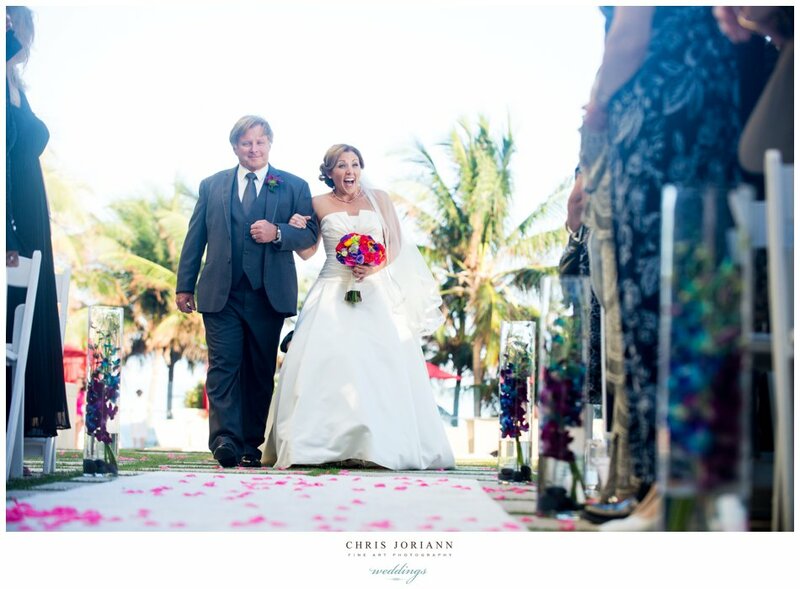 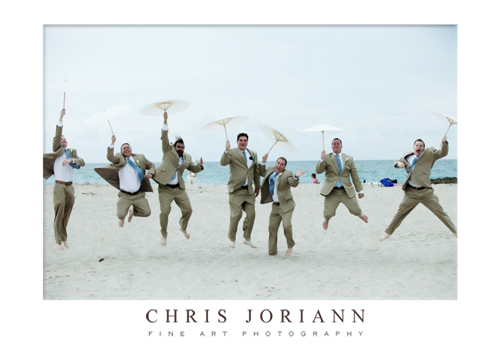 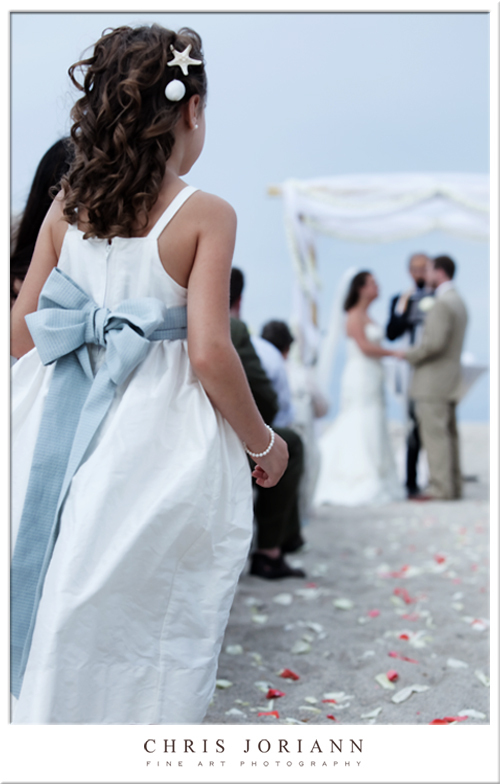 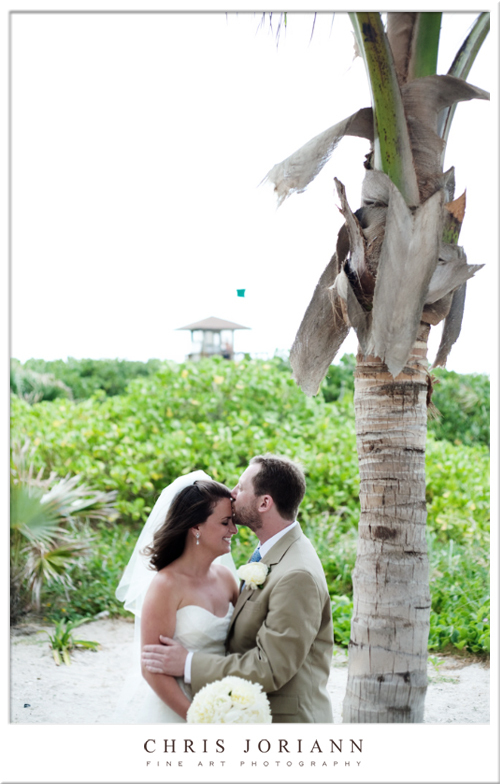 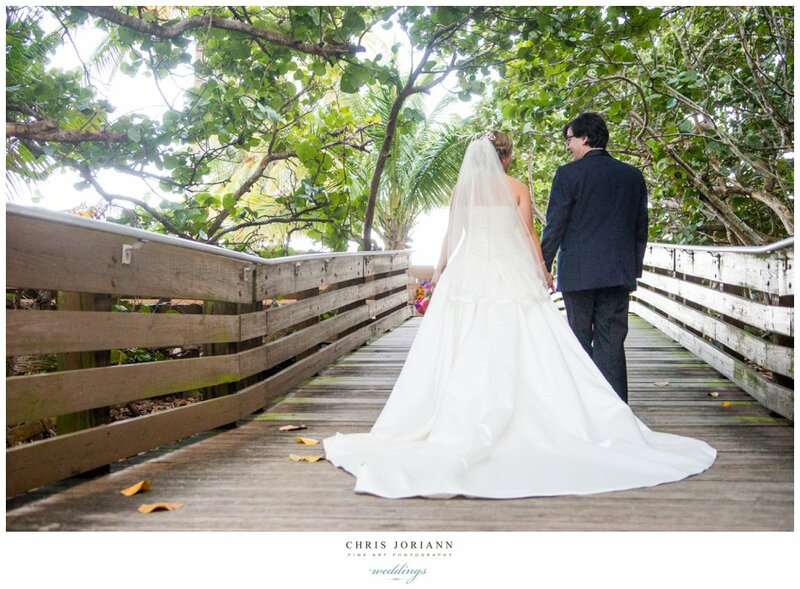 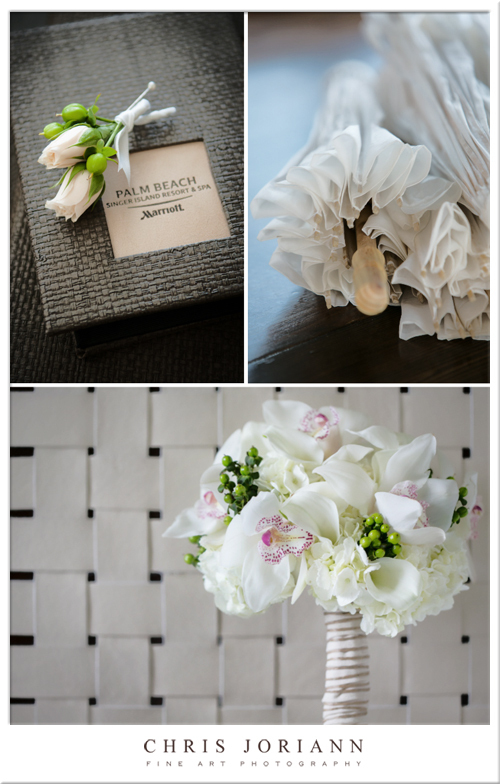 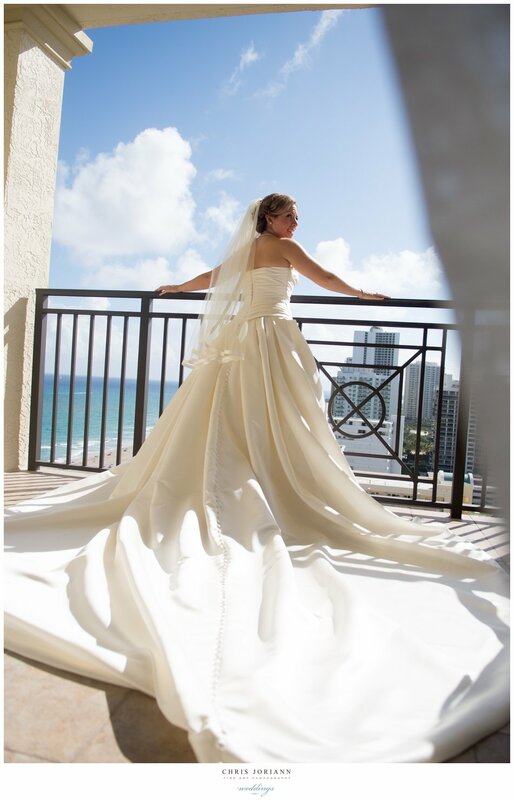 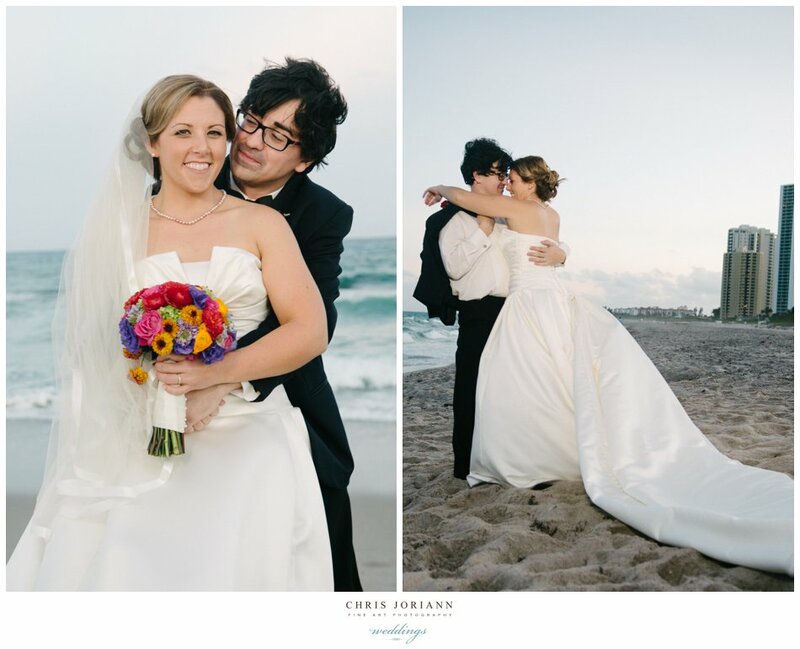 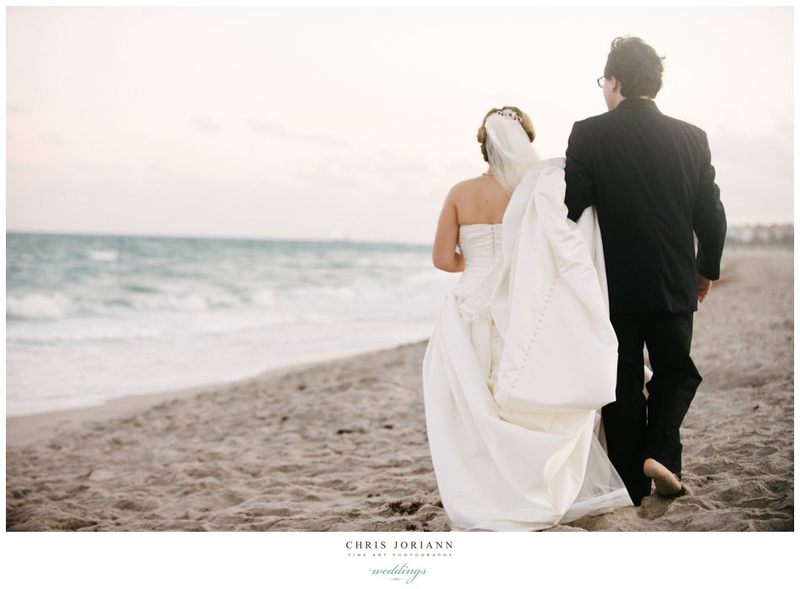 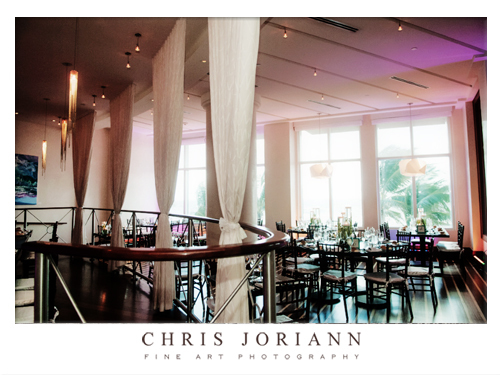 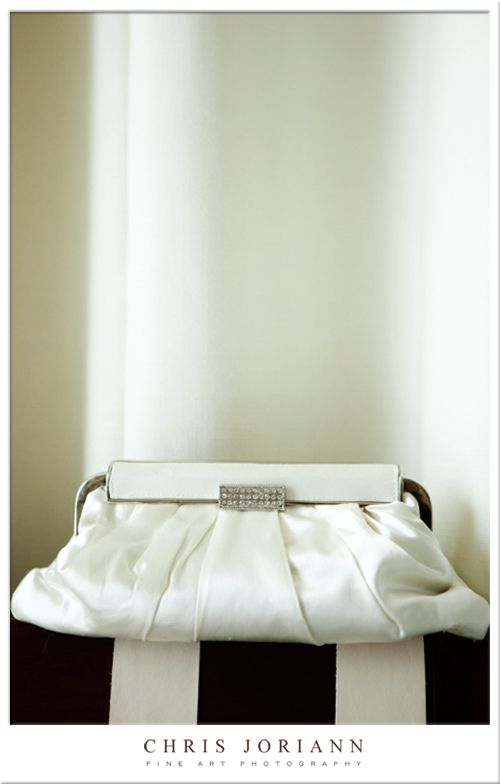 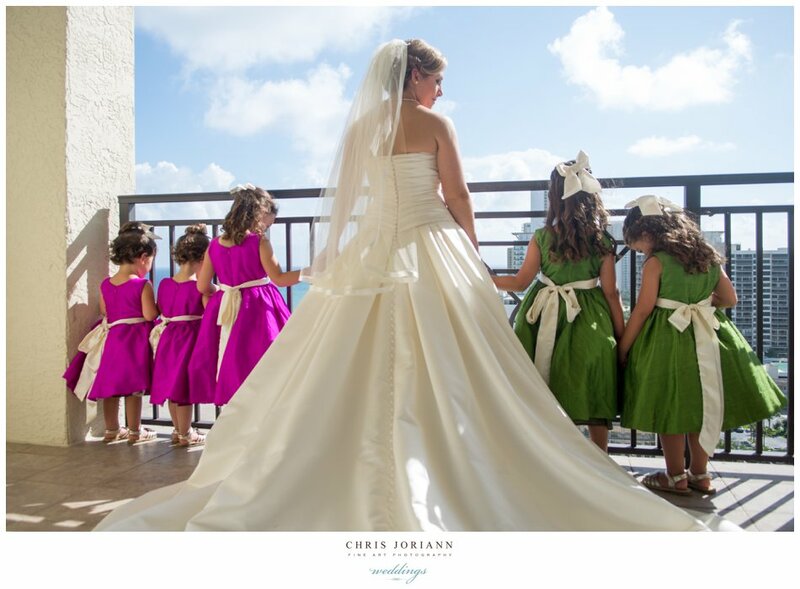 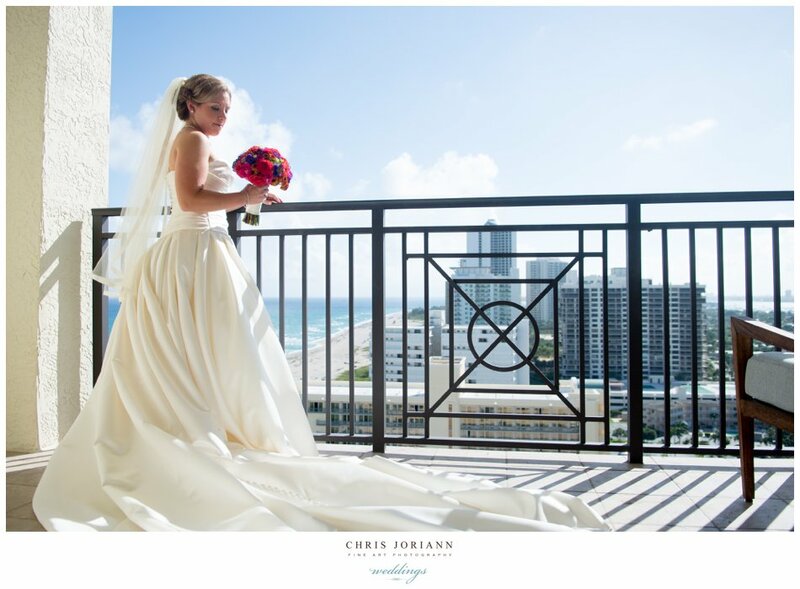 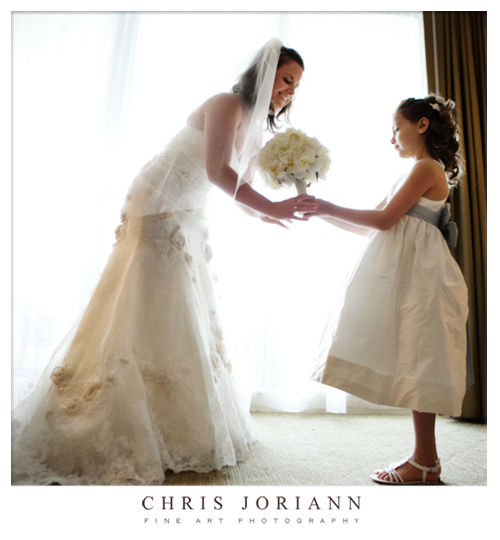 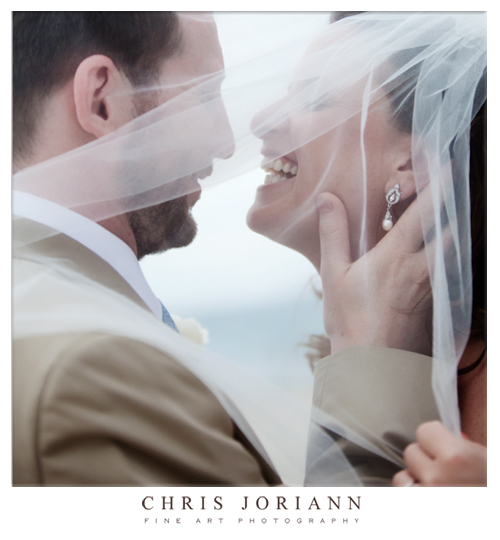 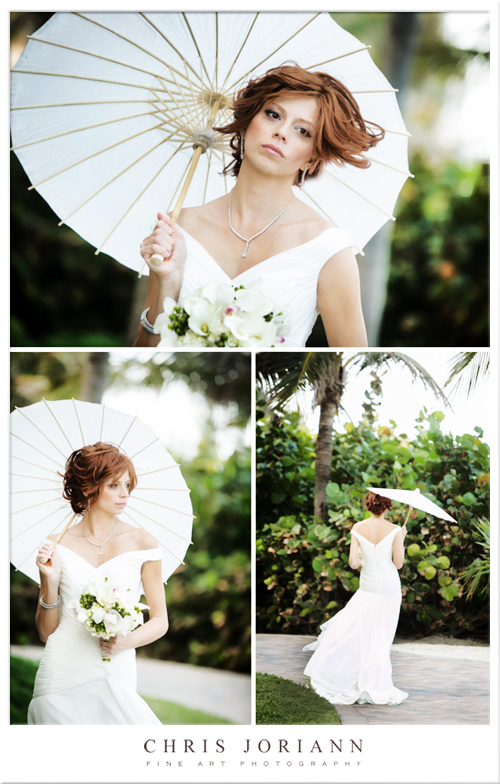 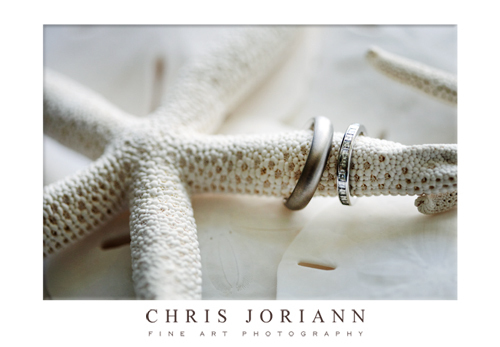 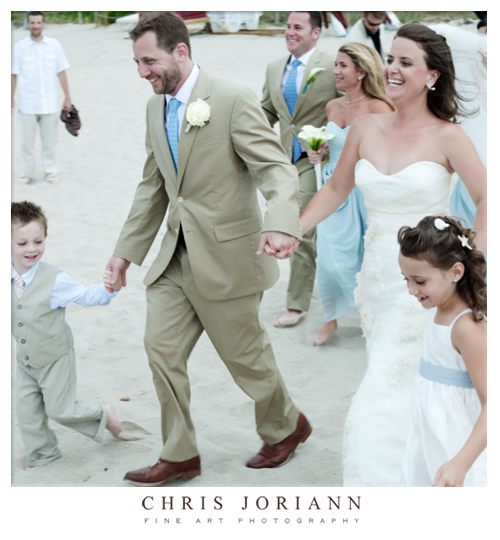 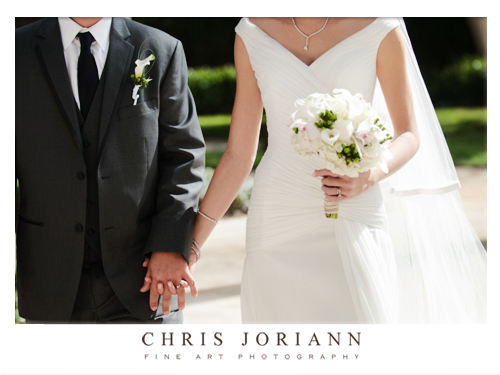 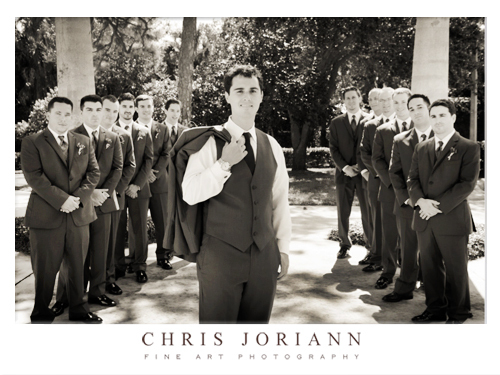 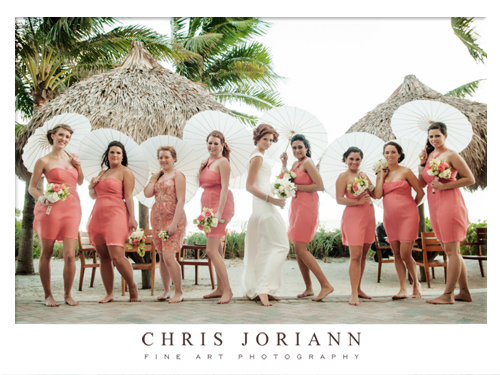 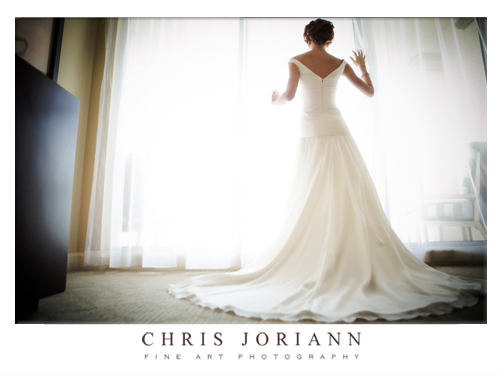 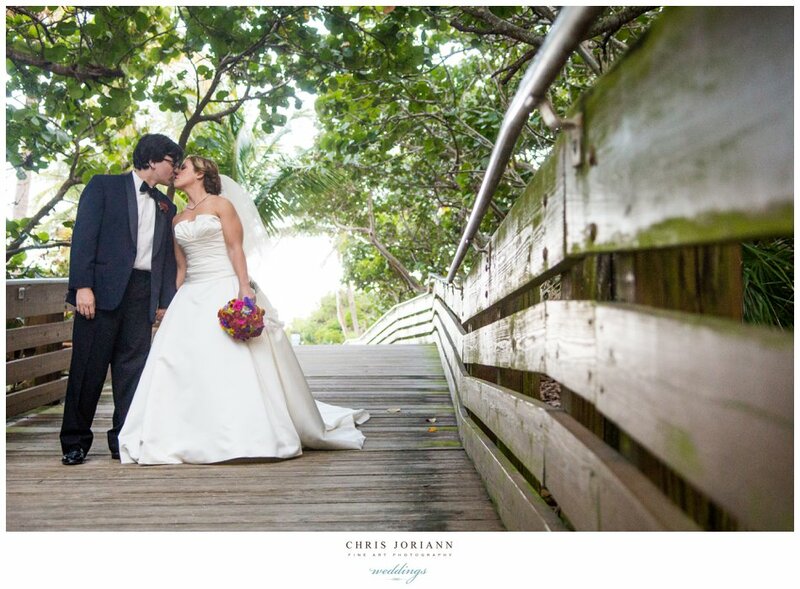 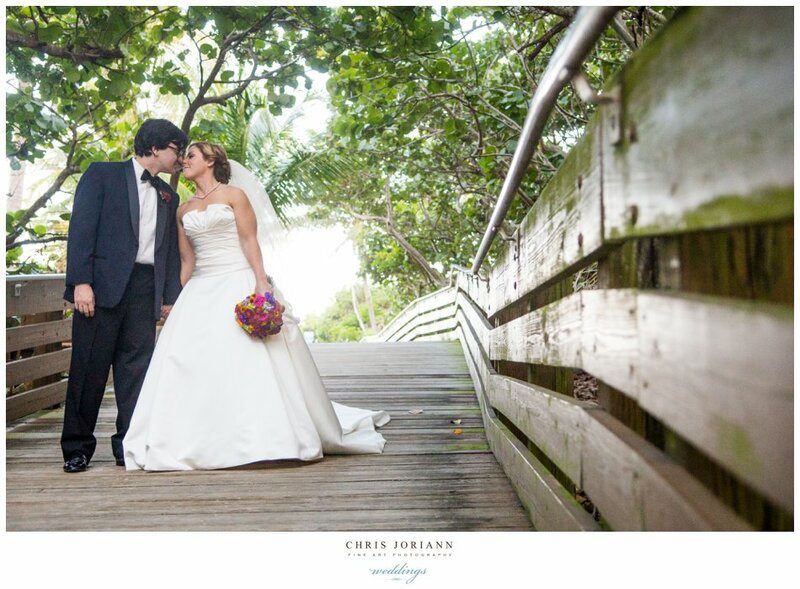 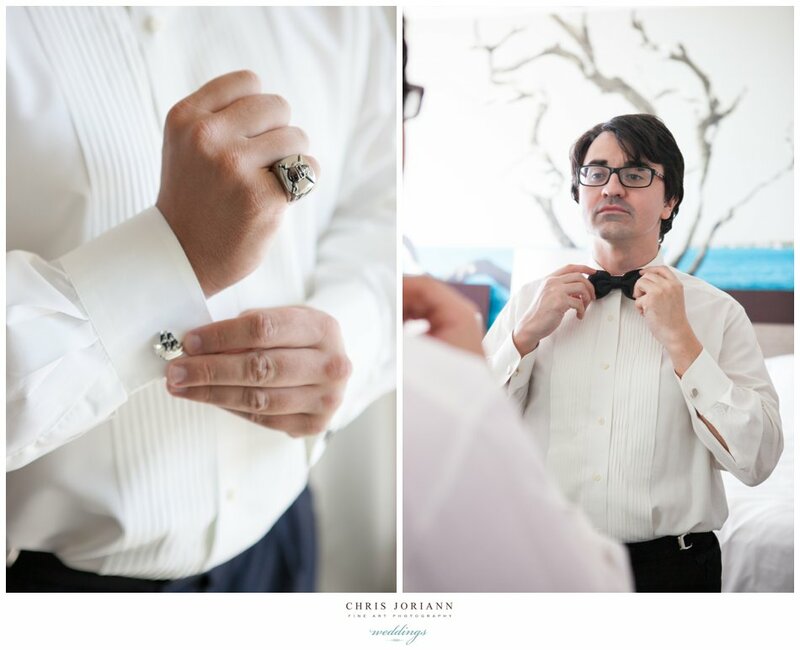 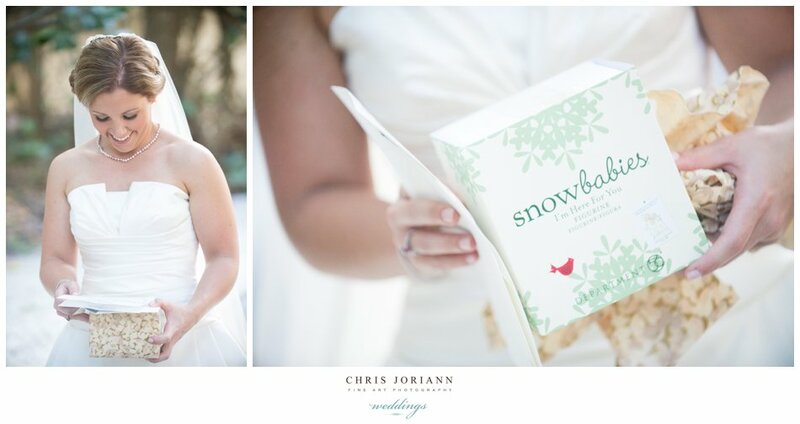 Rafiya + Chris’ beachfront wedding celebration took place at the Palm Beach Marriott Beach Resort at Singer Island. 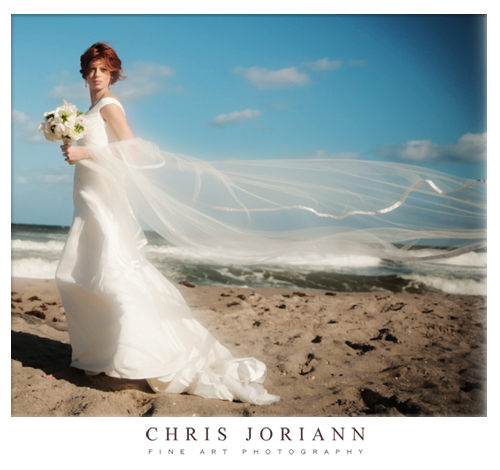 Despite the wind, we had a great time shooting by the ocean, which made for some epic flying veil moments. 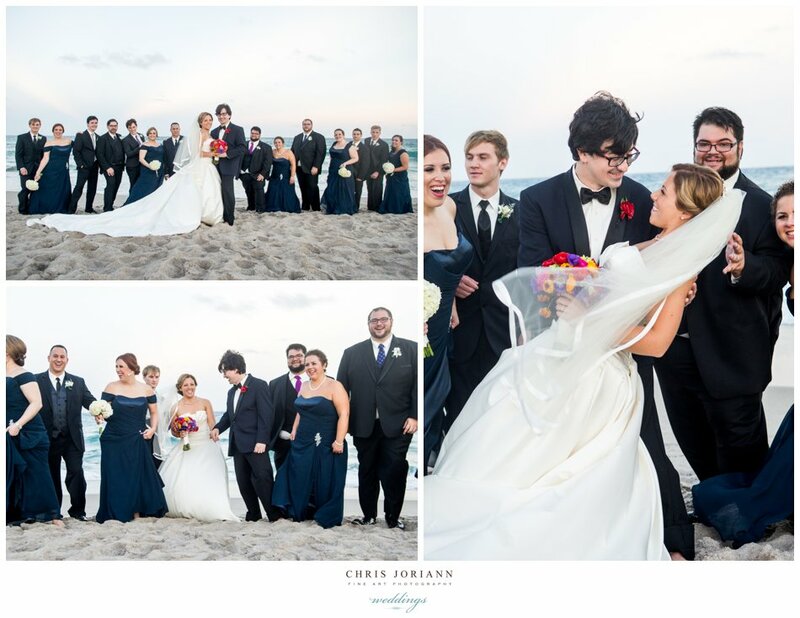 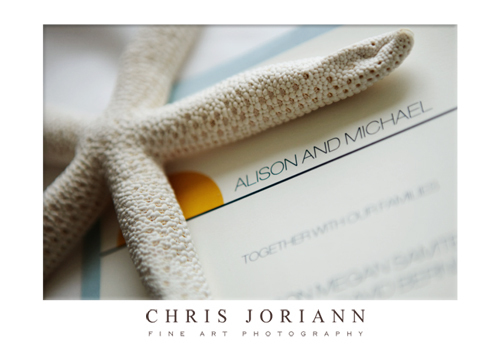 Ali + Michael’s beachfront wedding at the Palm Beach Marriott Singer Island Beach Resort & Spa was a beautiful tropical affair. 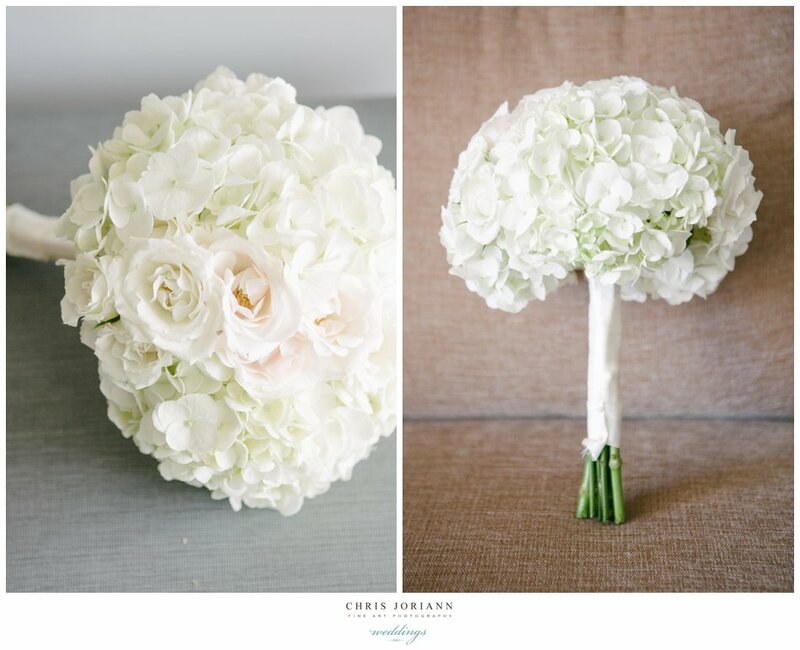 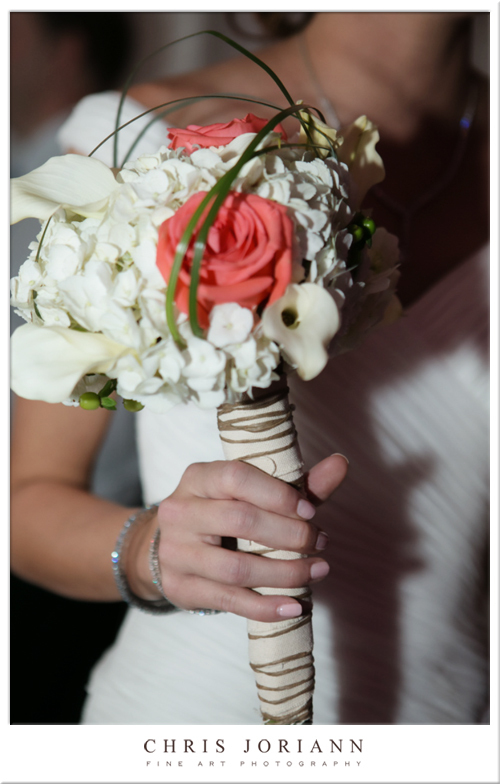 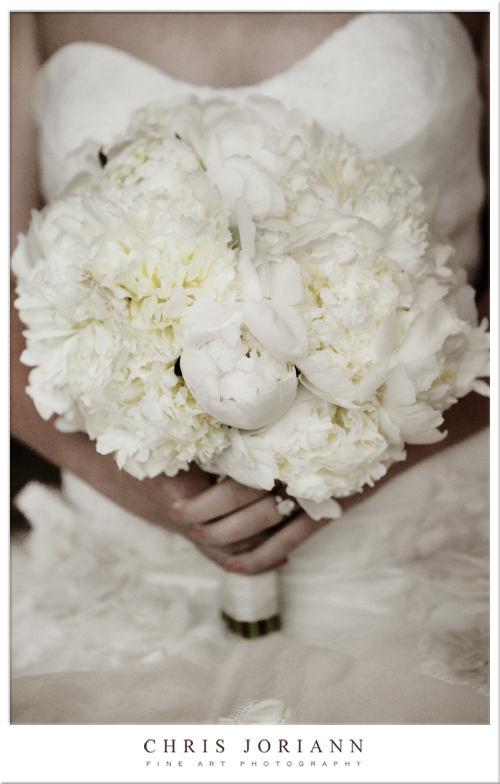 The gorgeous bridal bouquet of white peonies, and the bridesmaid’s callah lily creation were both crafted by Carrie at Camden Gardens Floral. 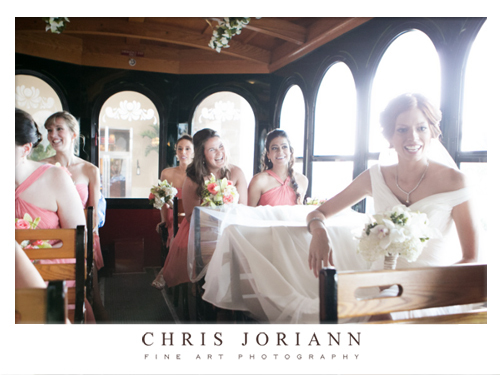 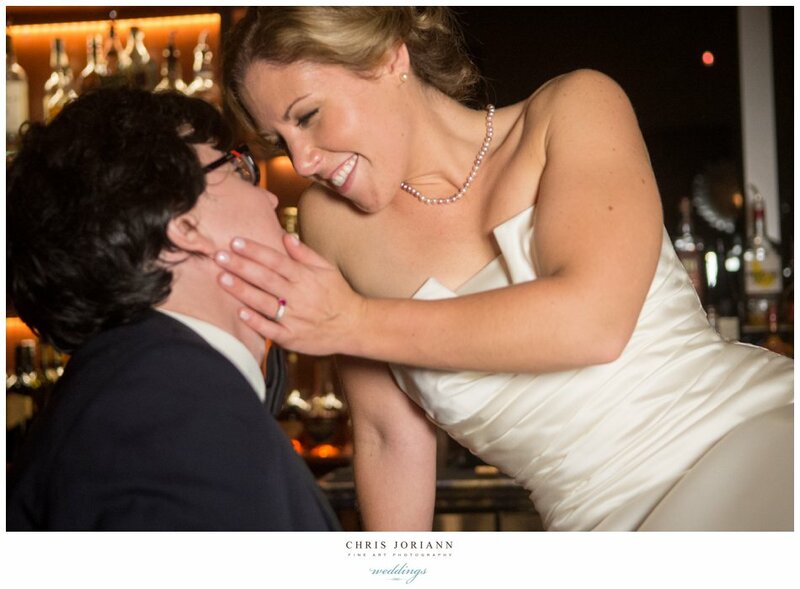 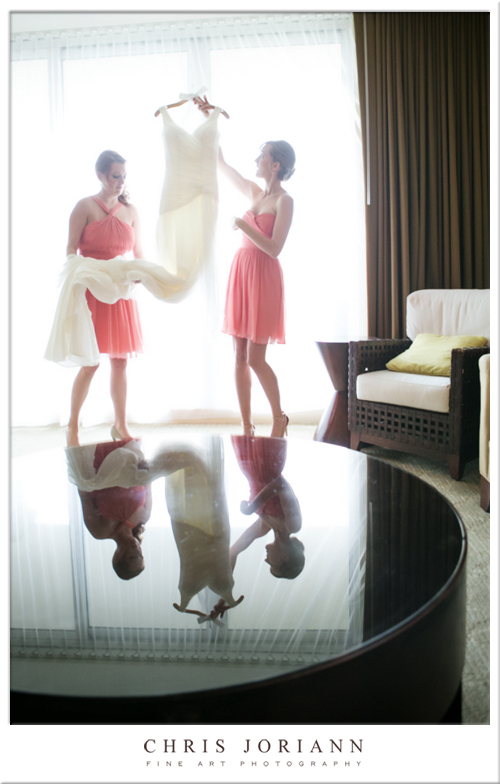 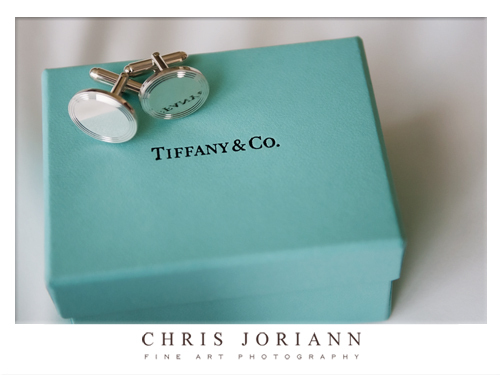 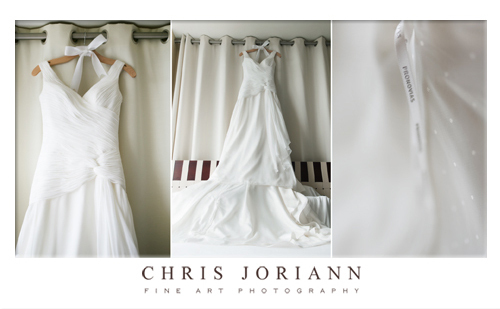 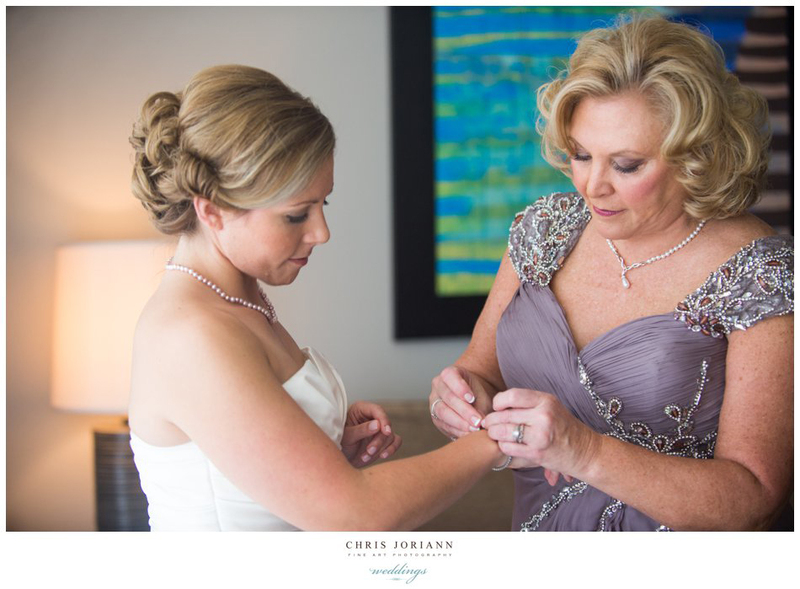 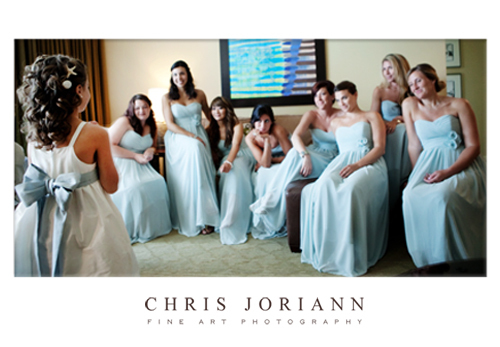 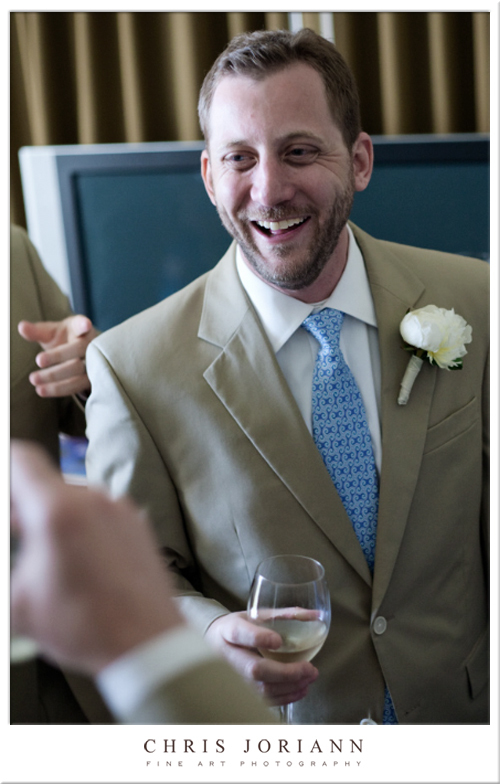 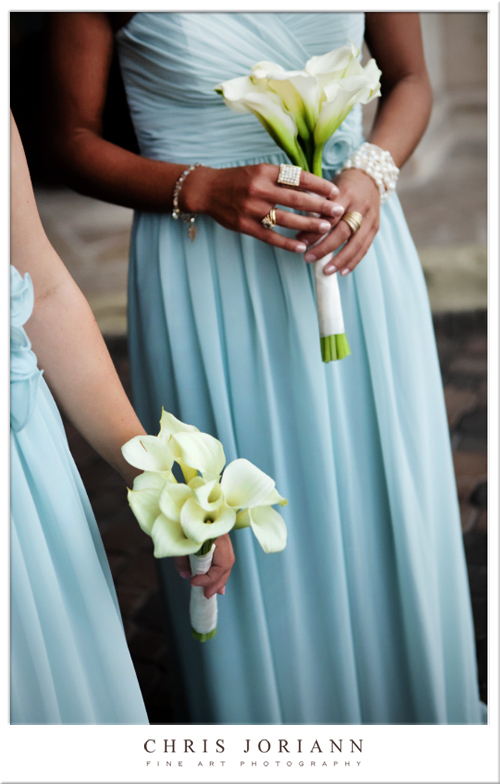 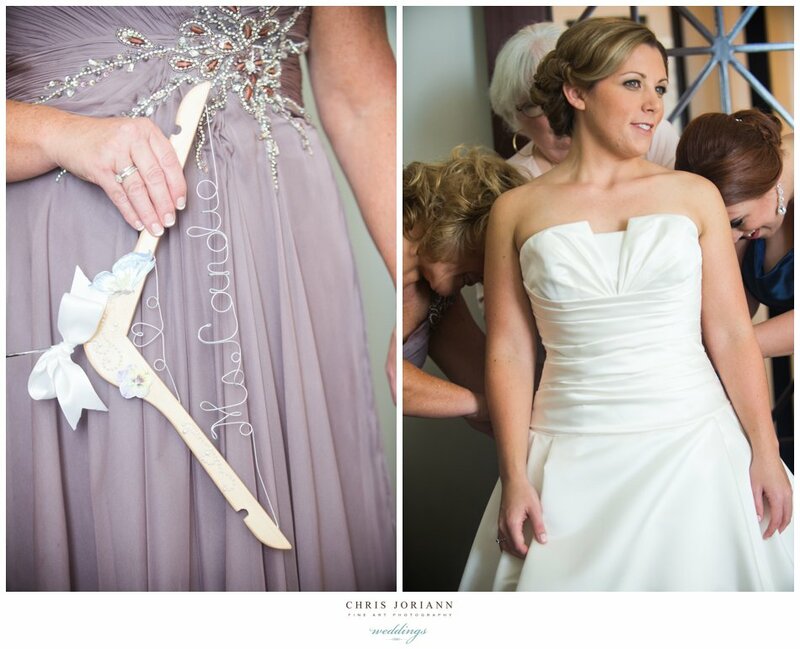 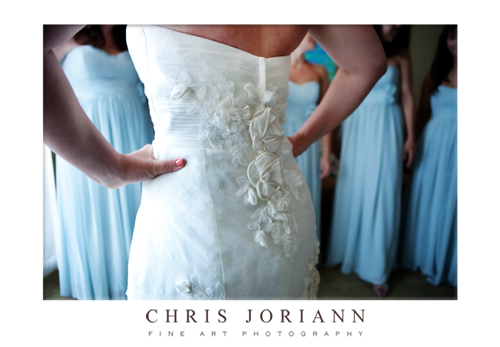 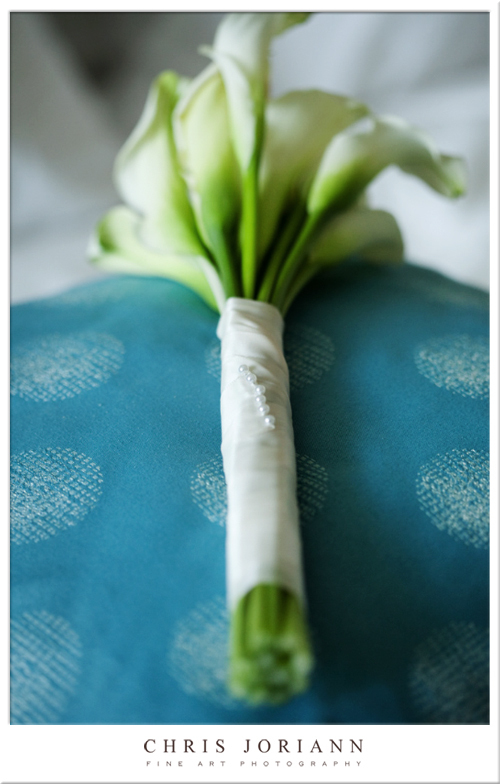 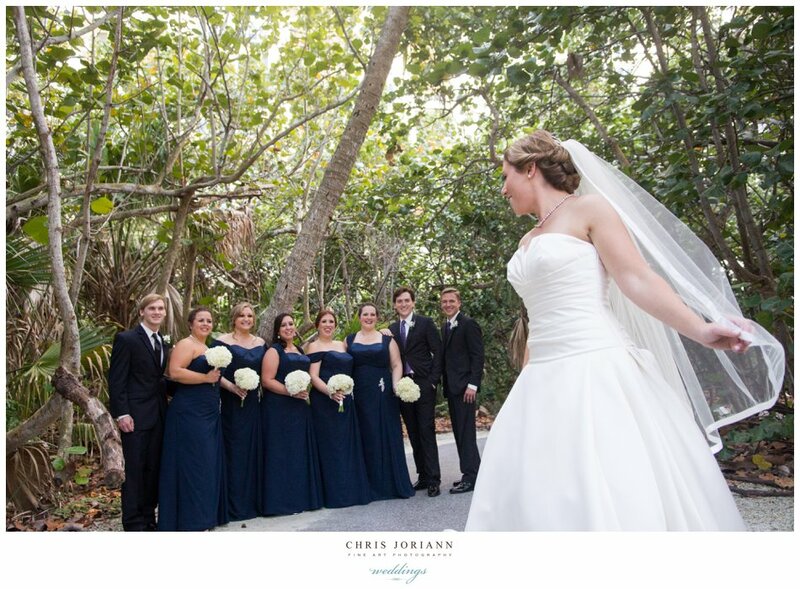 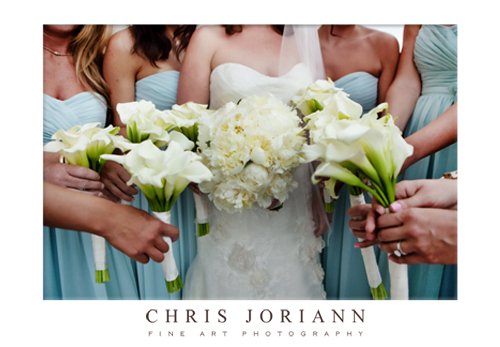 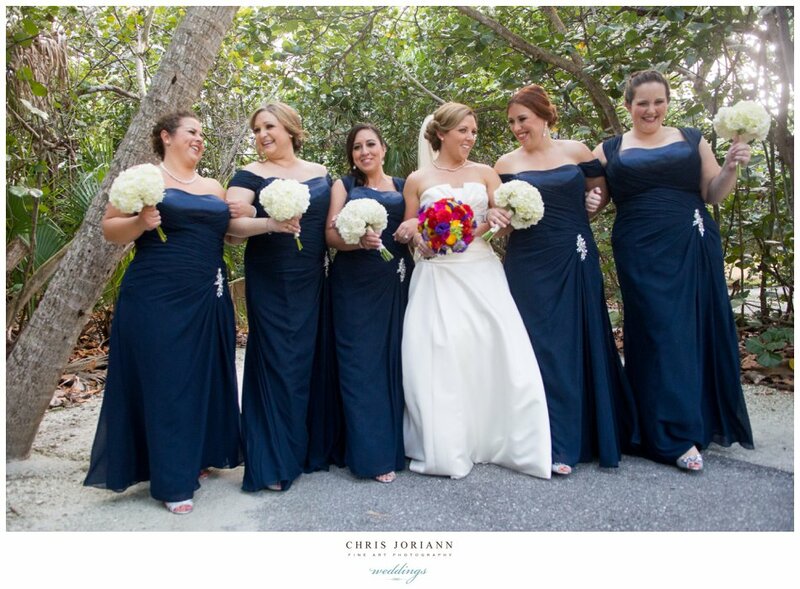 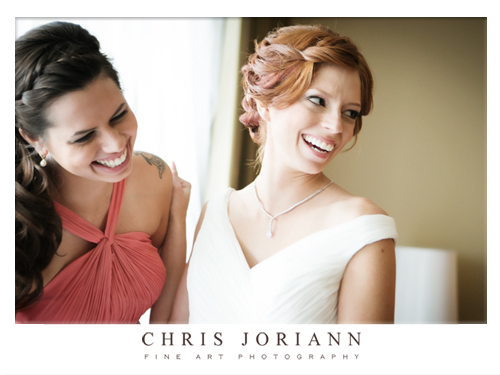 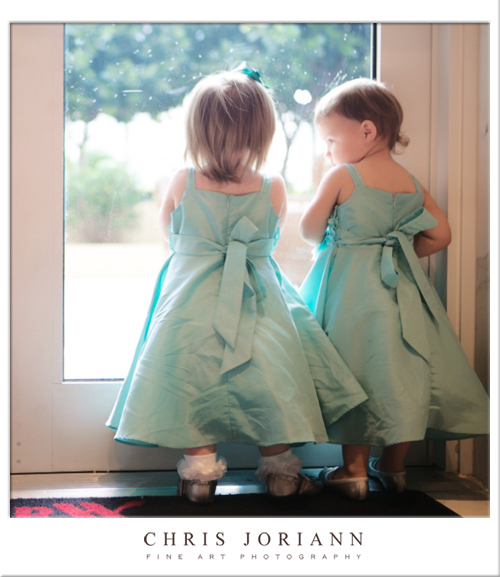 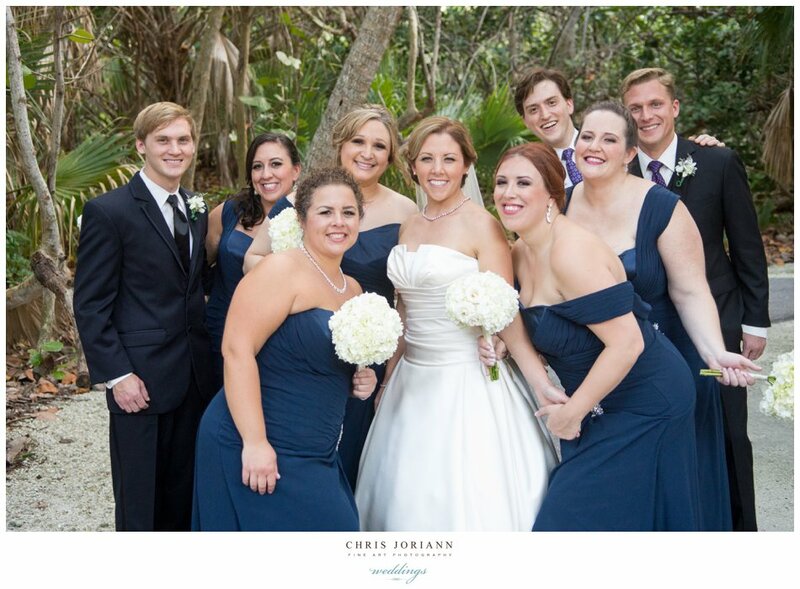 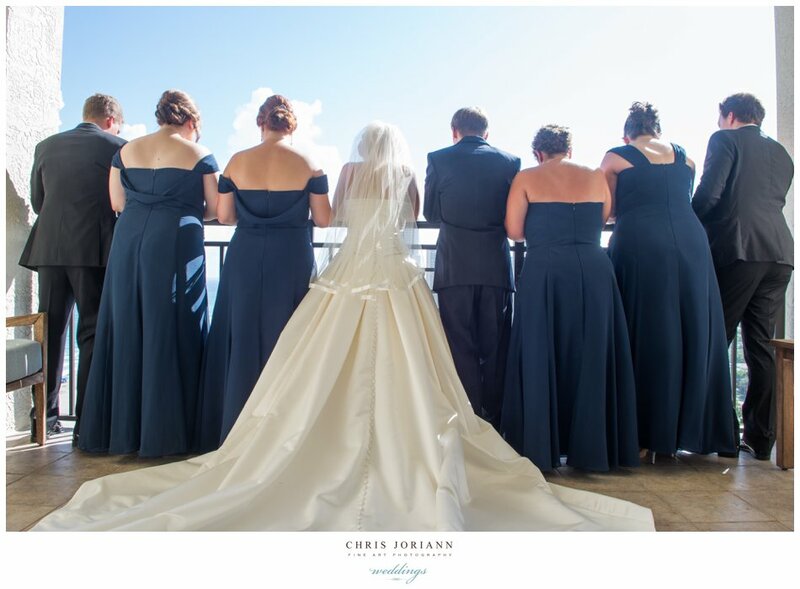 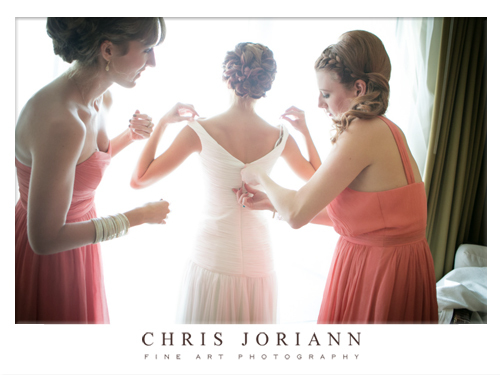 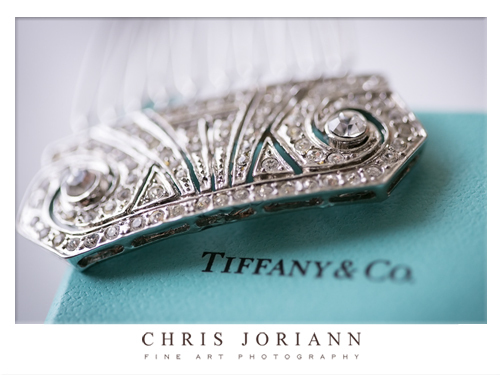 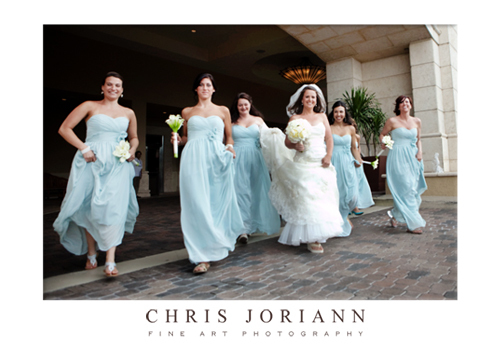 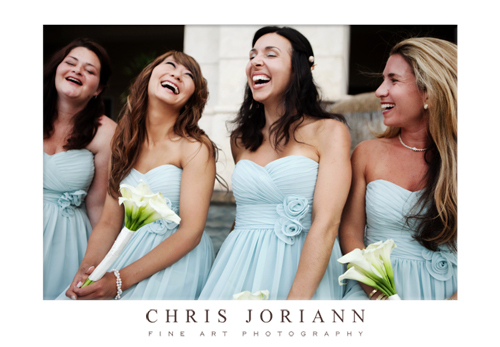 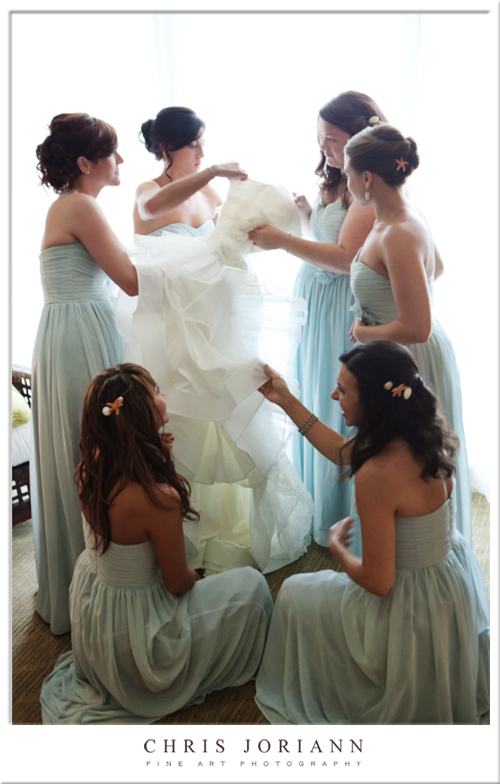 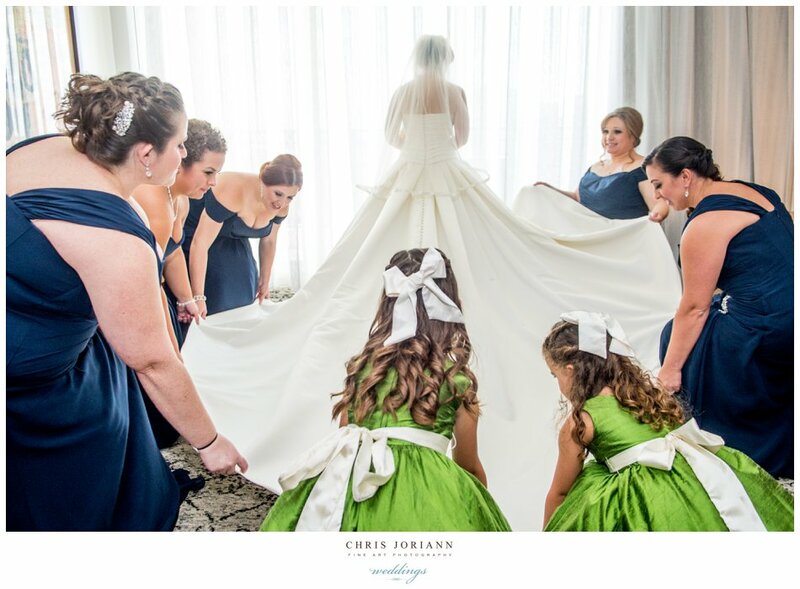 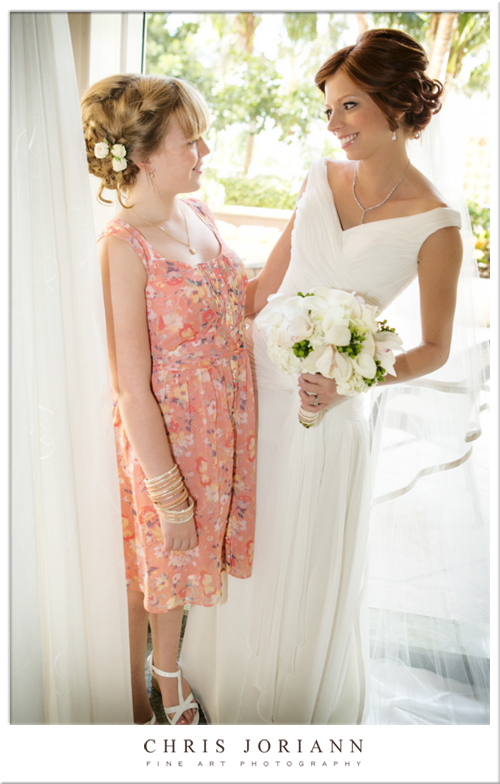 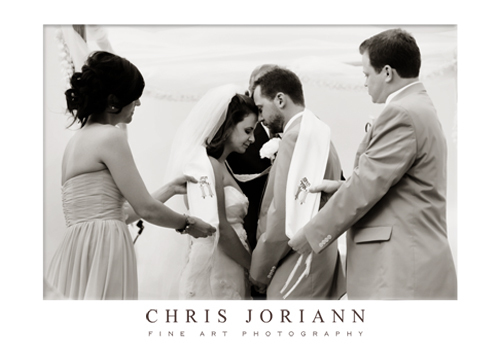 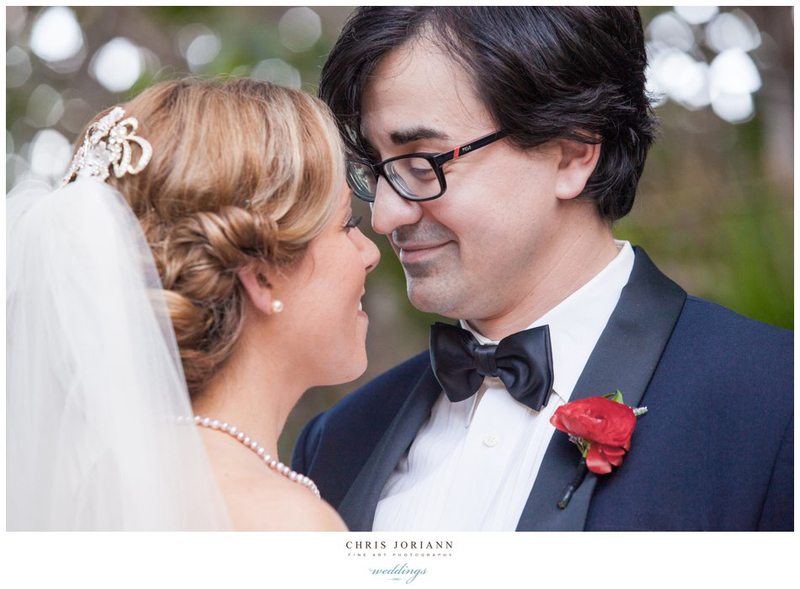 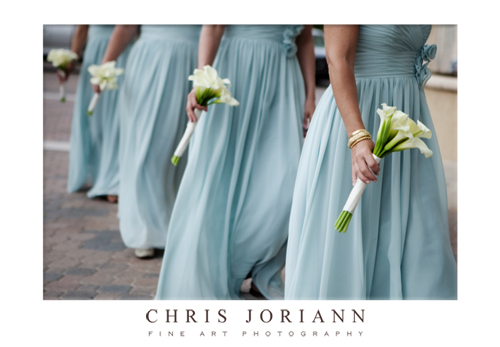 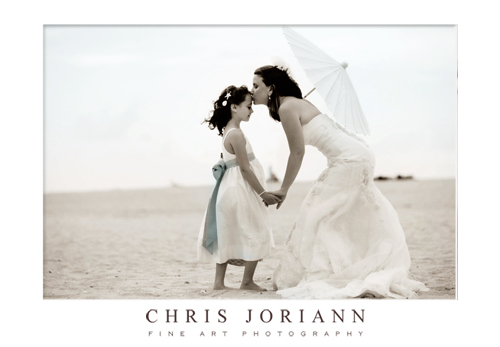 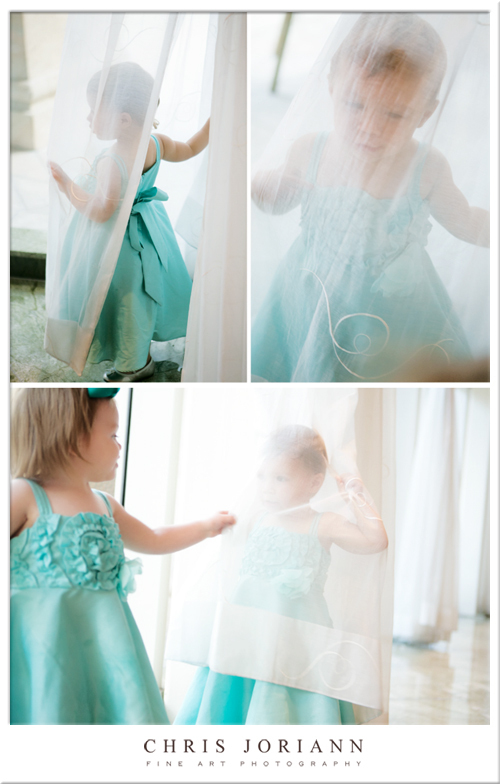 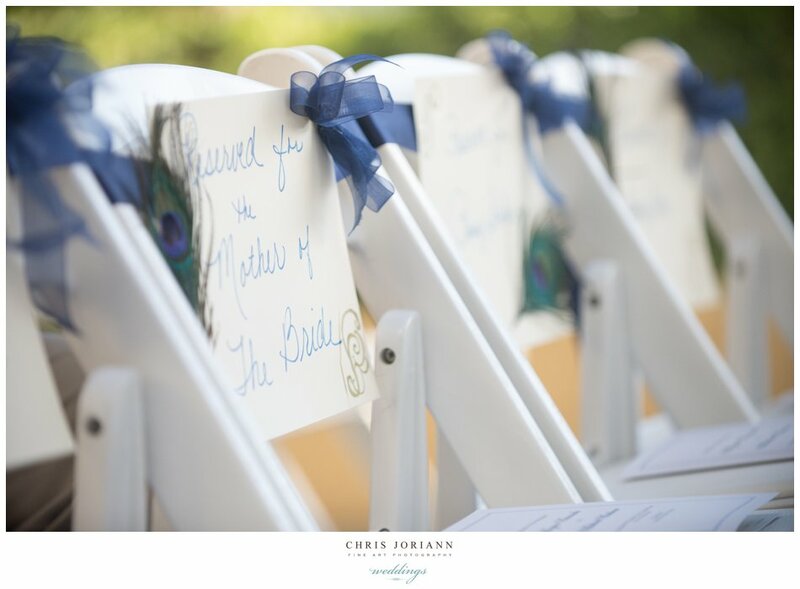 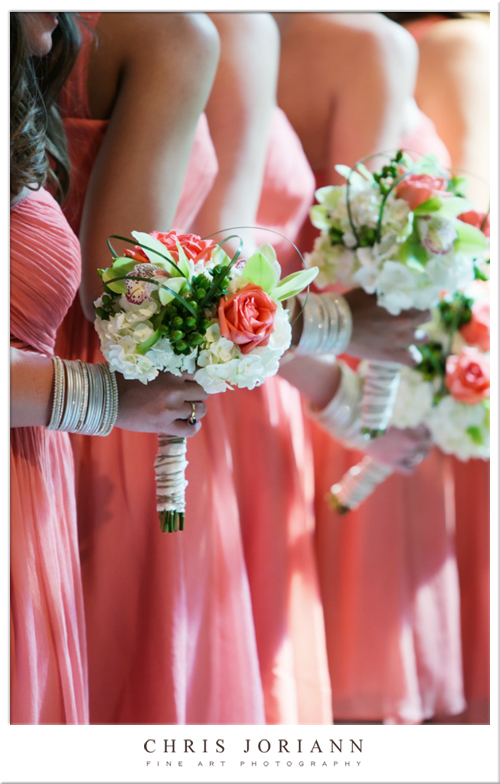 Her bridesmaids, dressed in baby blue Bari Jay chiffon gowns, helped her ready. 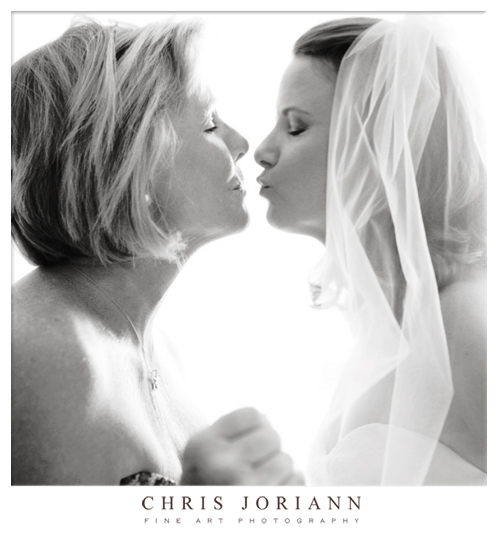 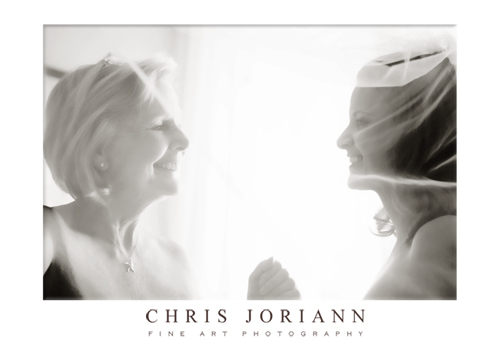 Ali’s mother put on her daughter’s veil. 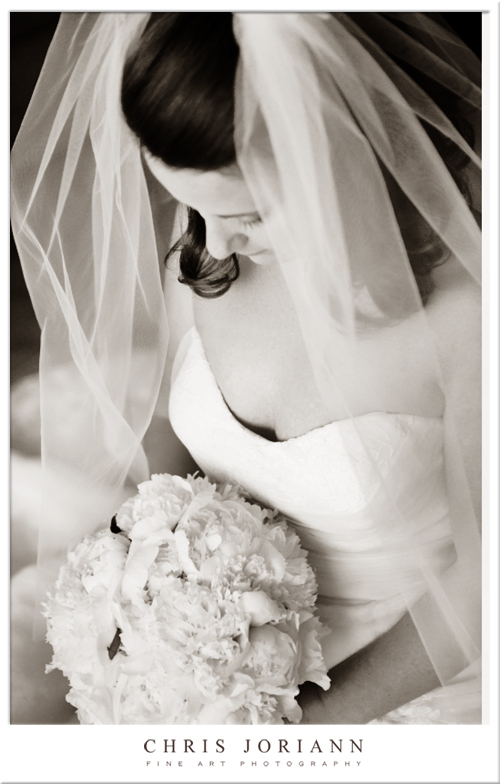 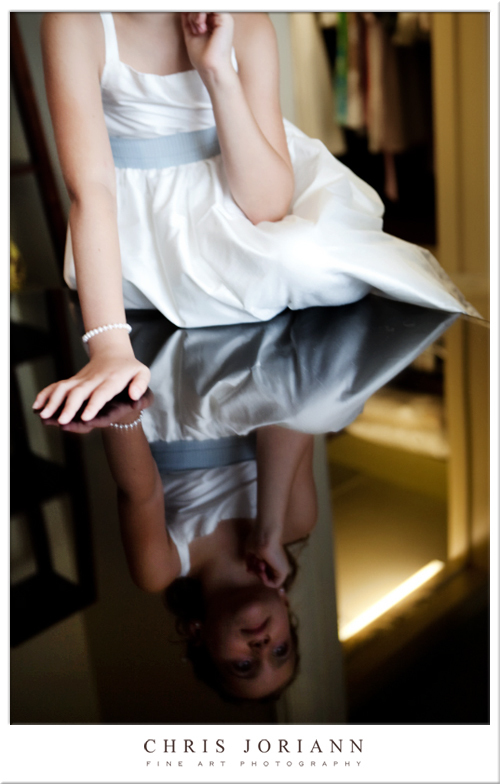 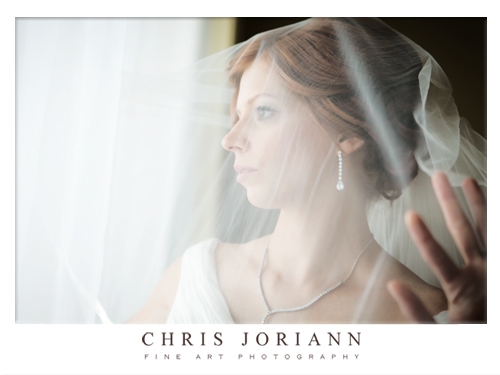 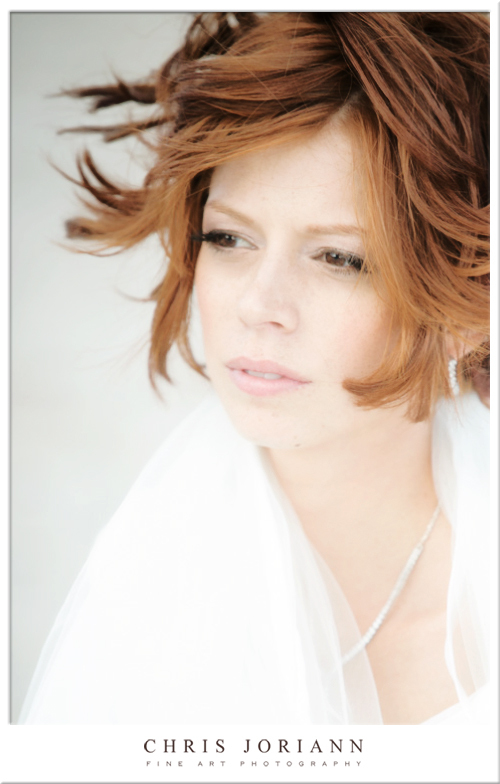 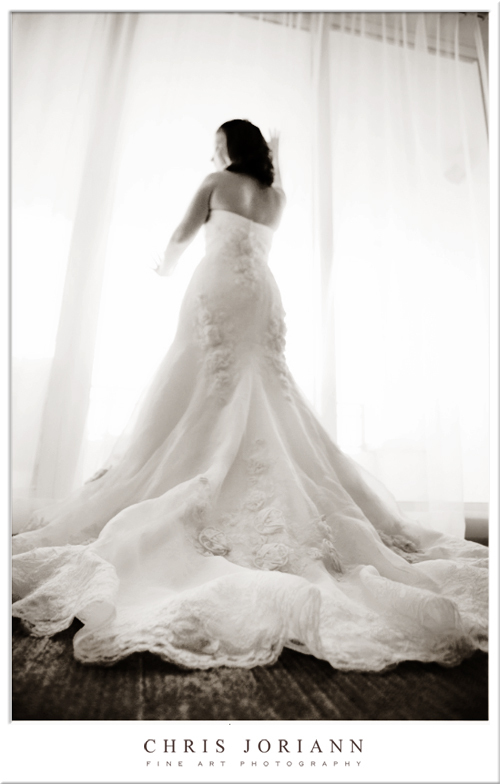 The bride’s sister took a reflective moment. 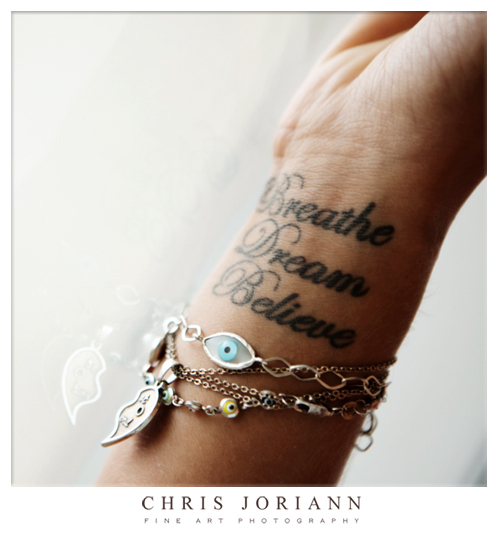 Couldn’t resist this shot of her “breathe, dream, believe” wrist tattoo combined with her great charm bracelet. 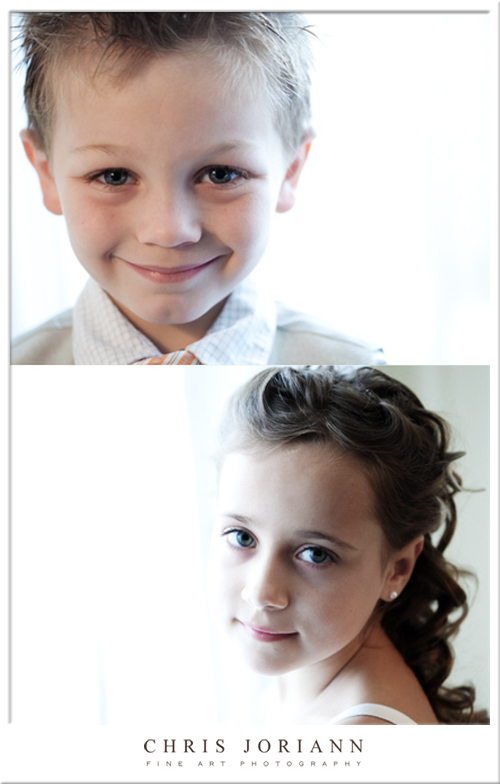 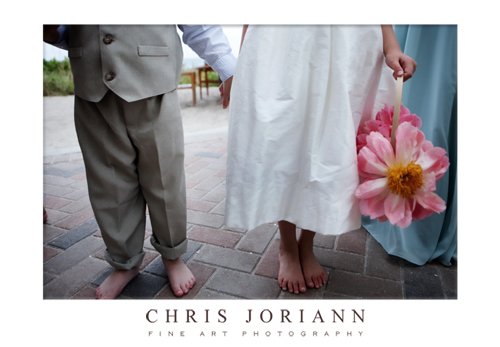 The flowergirl and ring bearer were also on hand for some photo fun. 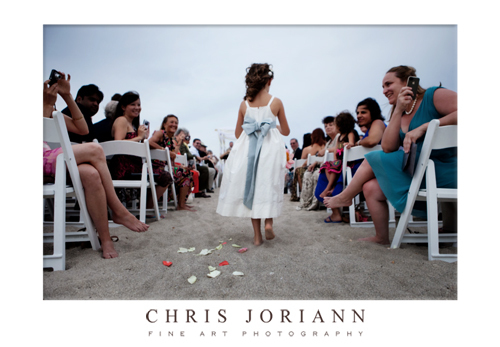 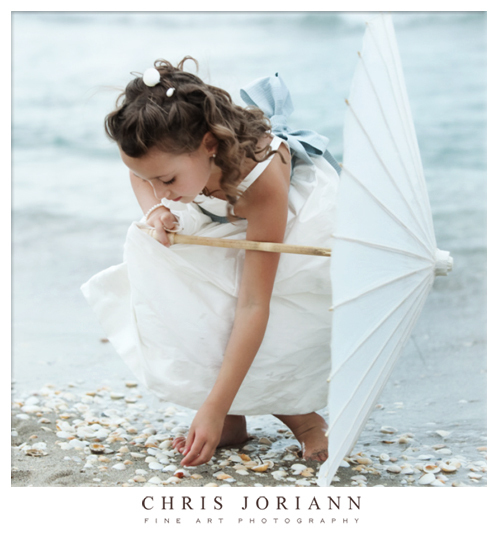 Love the little seashell hair jewelry in the girl’s hair. 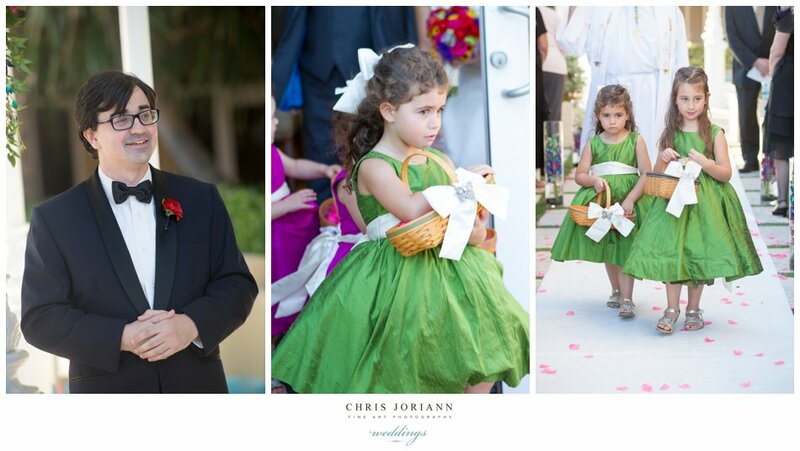 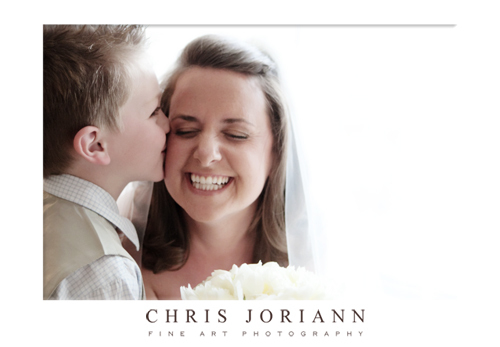 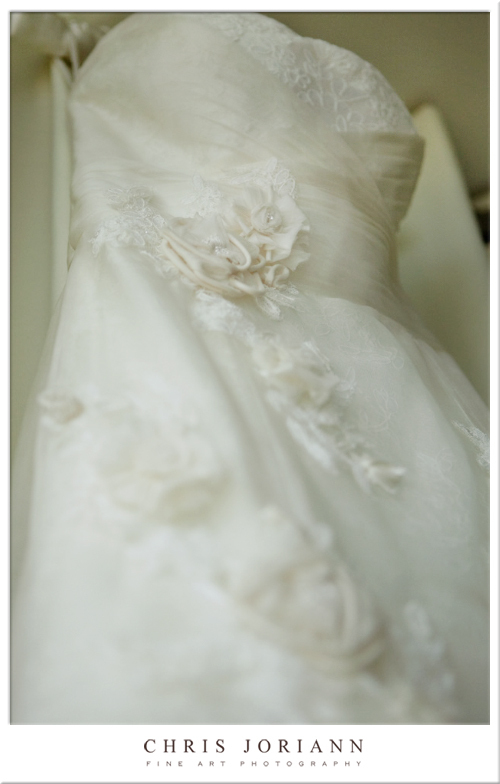 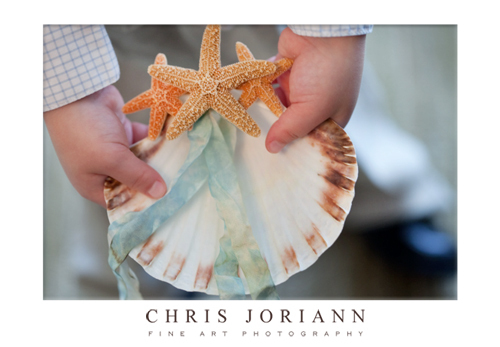 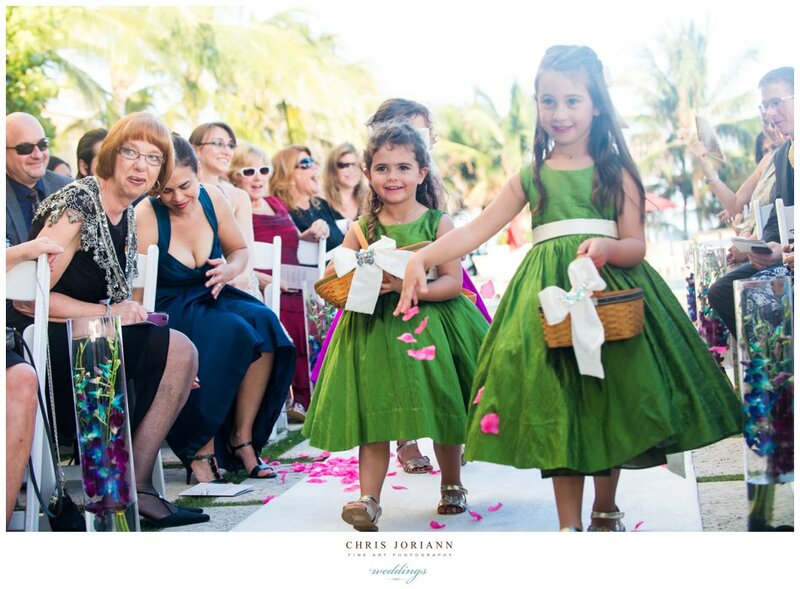 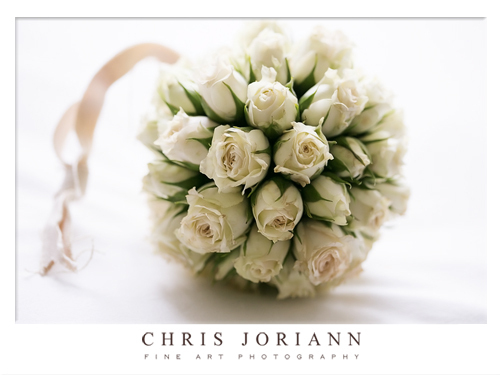 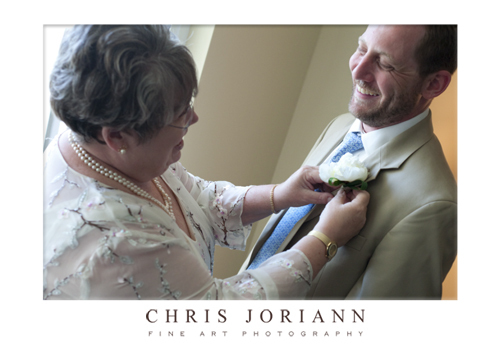 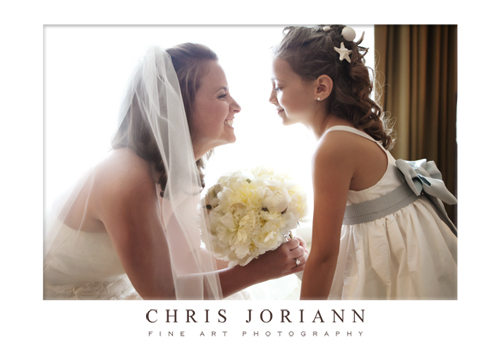 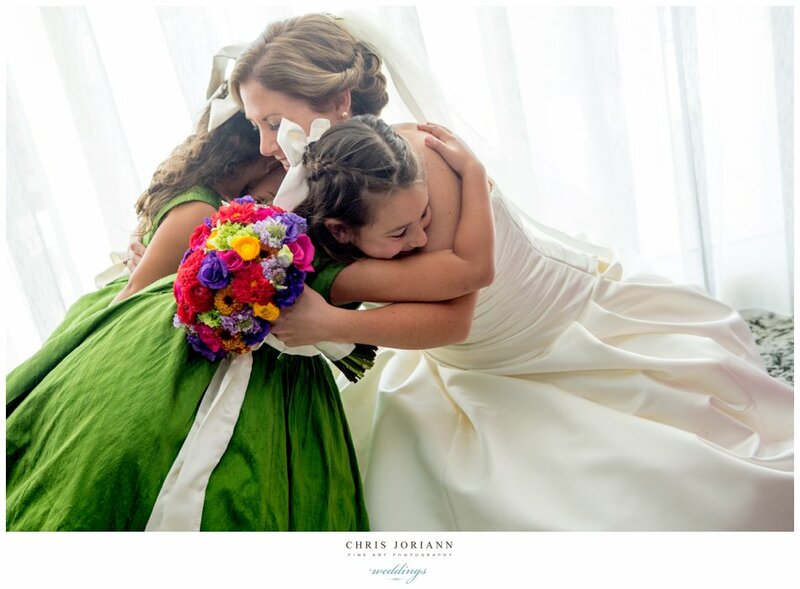 After the flowers were bestowed to the bride… she got lots of love from the little ones. 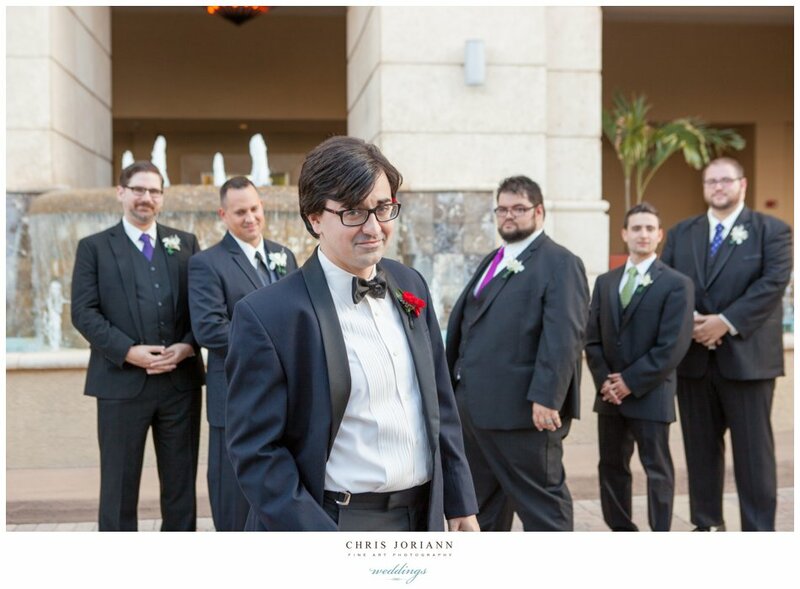 Meanwhile, Michael (aka. 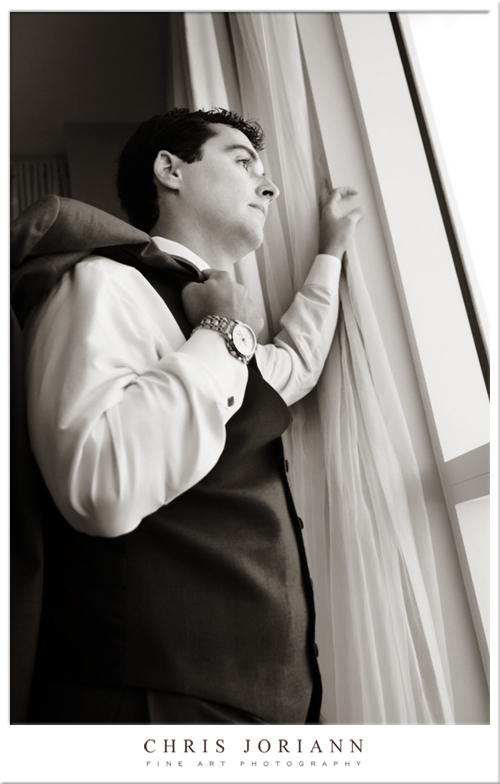 Bernie) prepped in another suite. 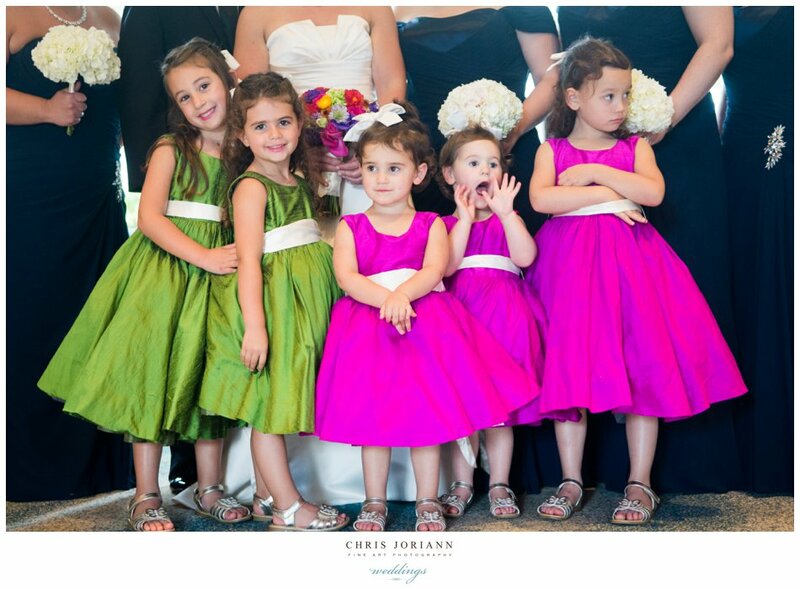 Ali and the girls did the same. 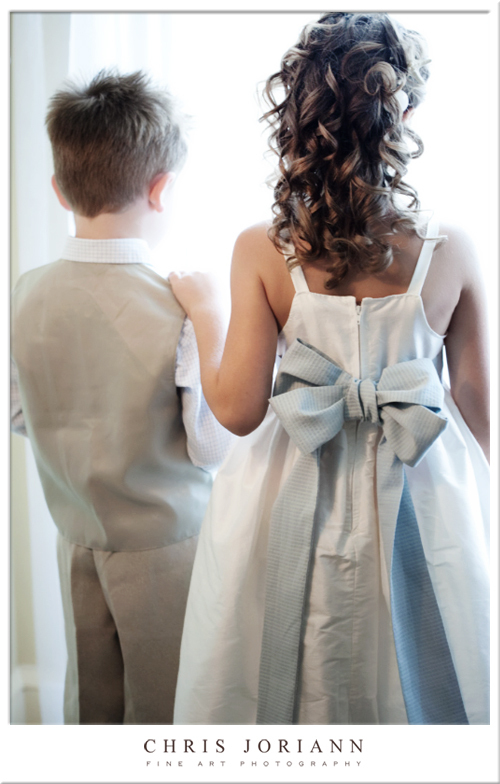 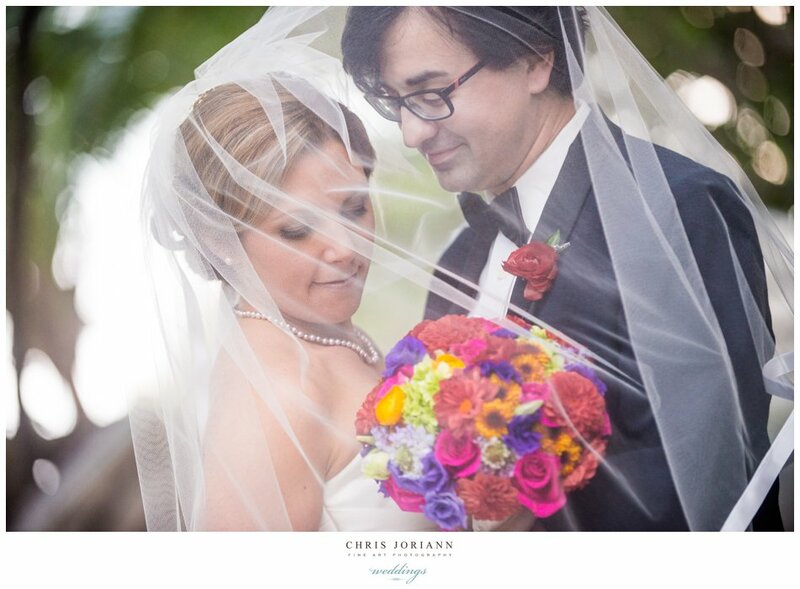 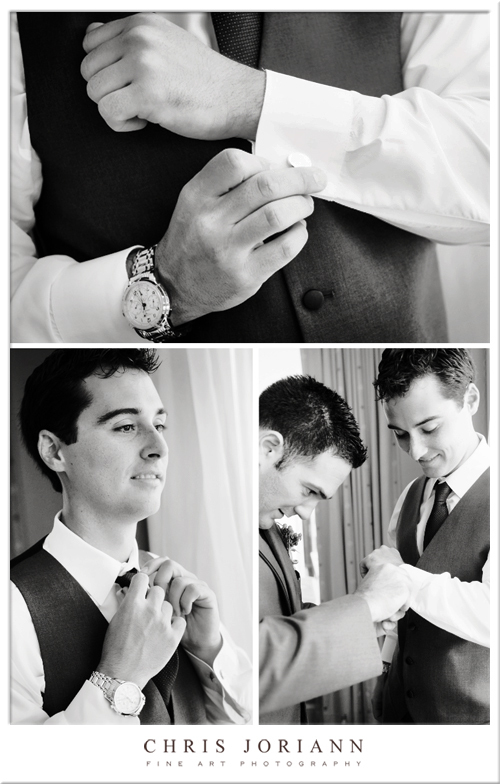 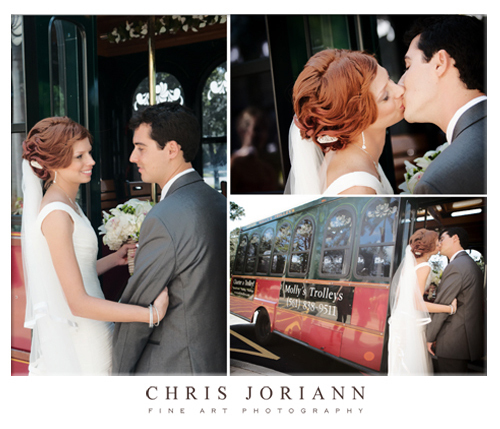 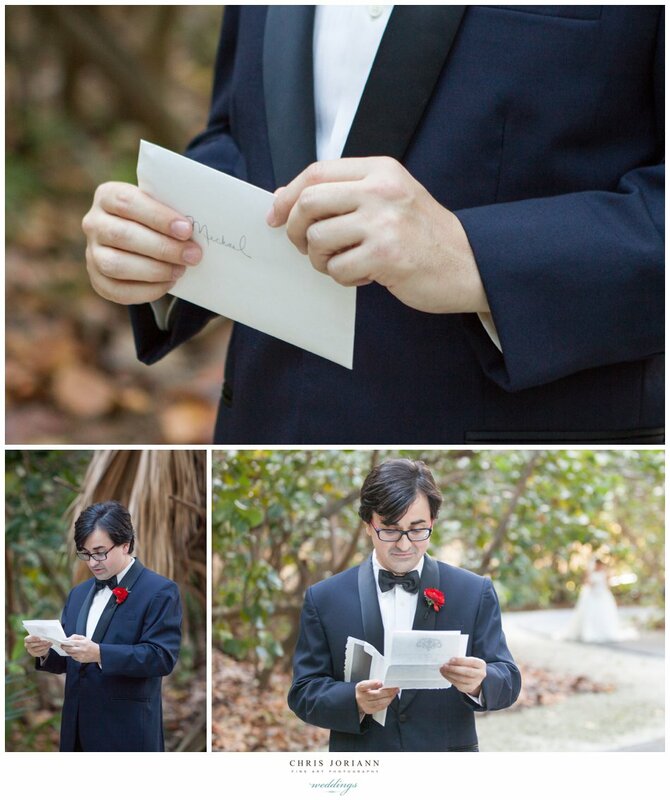 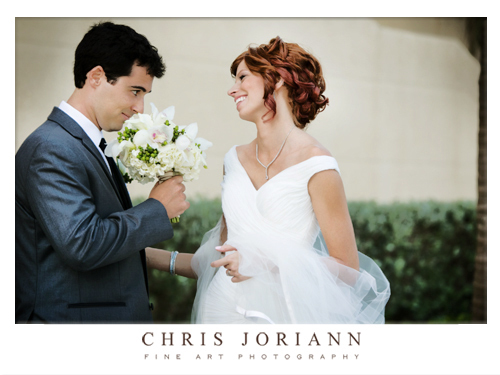 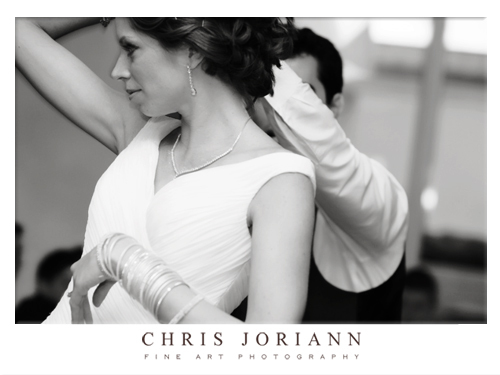 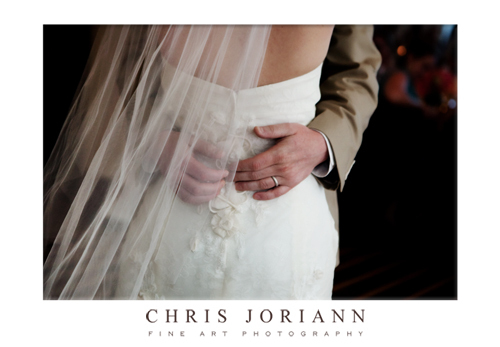 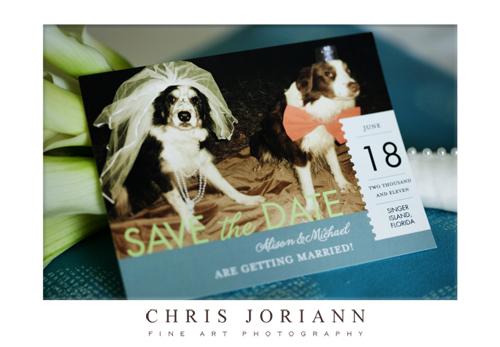 Here is a peek at their first look moment. 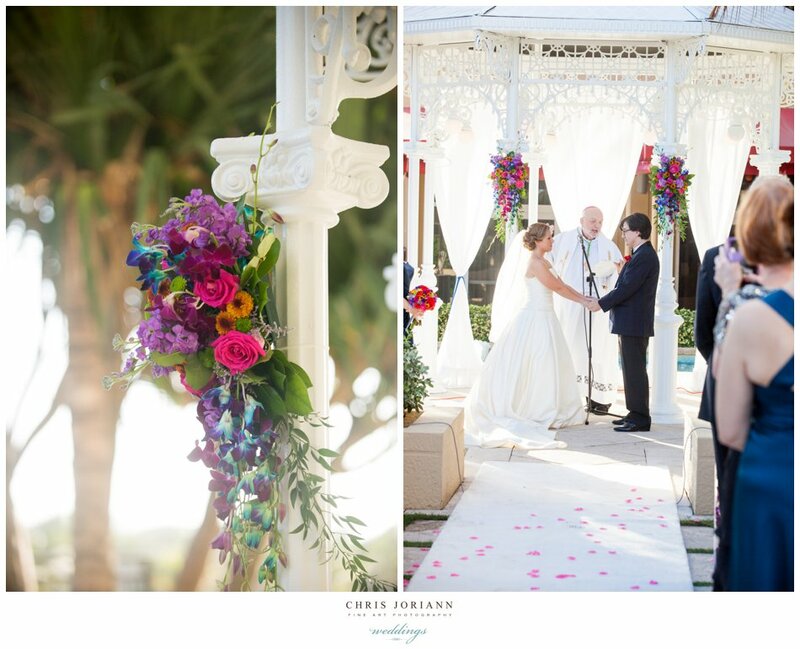 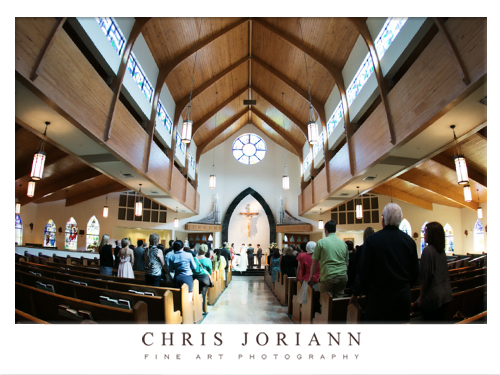 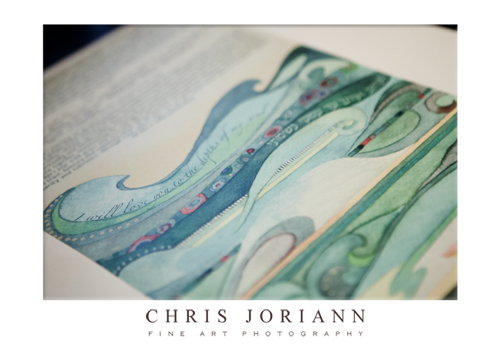 The ceremony took place oceanside. 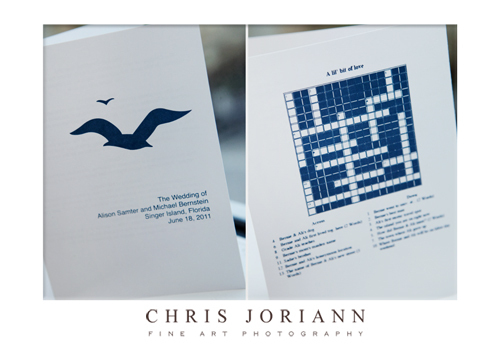 The back of the program even had a love crossword puzzle for guests to play with as they waited. 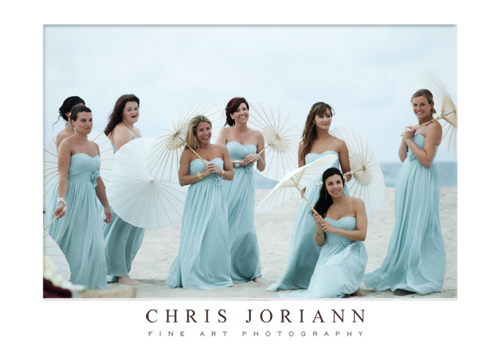 Fans to keep them cool, and flip flops for a comfy walk to the beach were also made available. 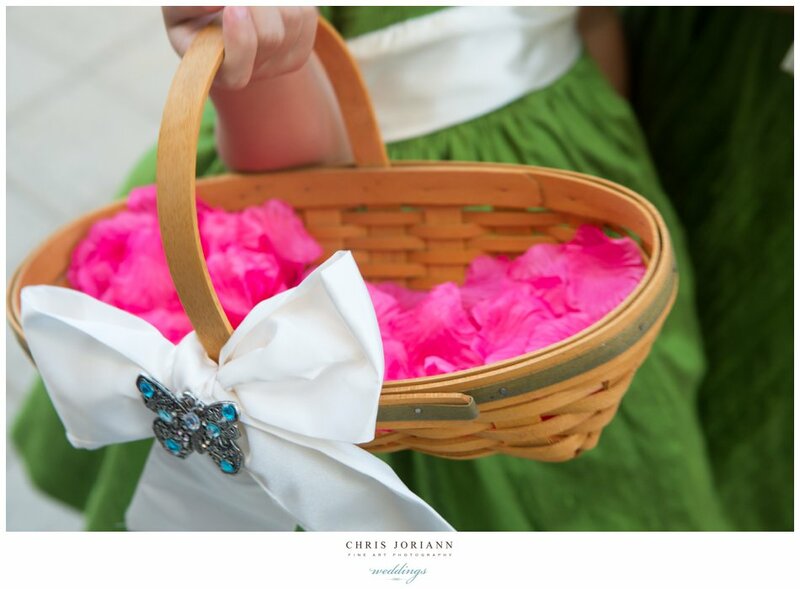 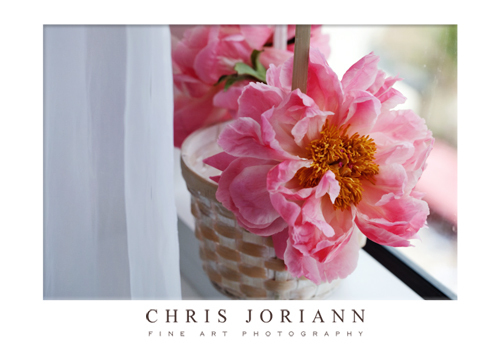 The flower girl basket decorated in pink peonies was quite a hit and offered the perfect pop of color. 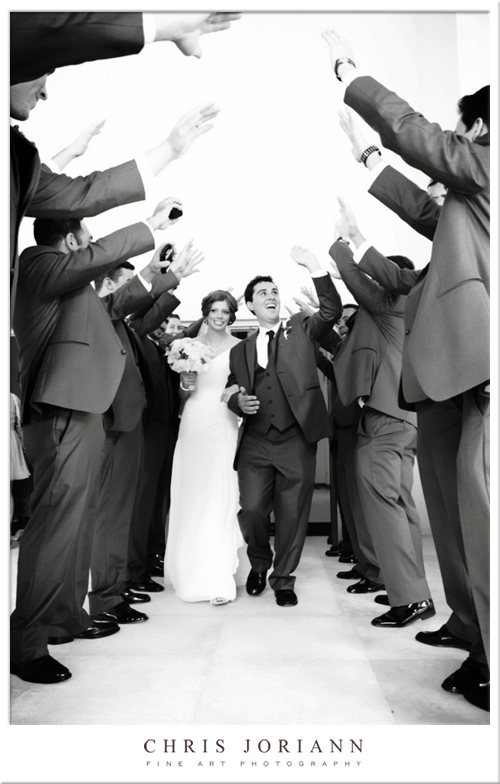 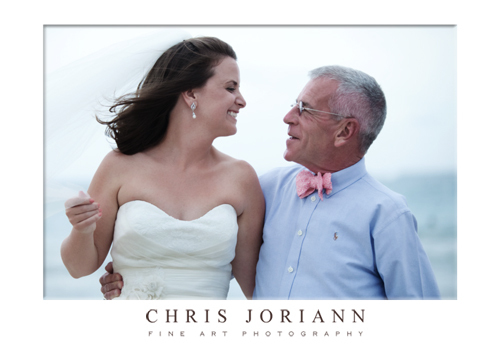 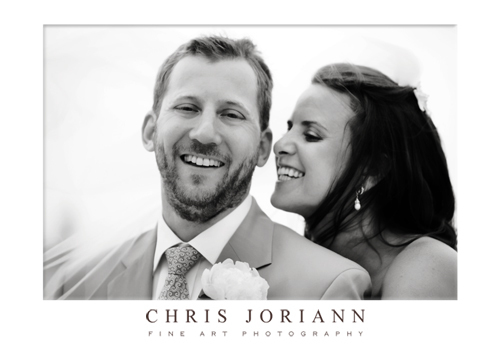 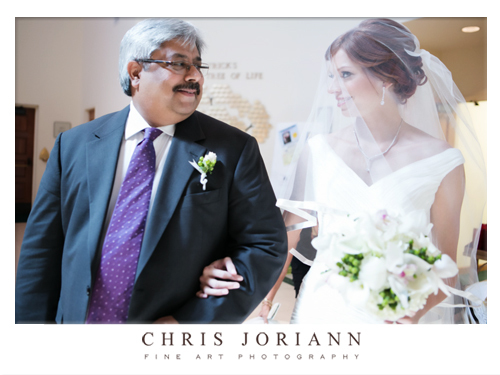 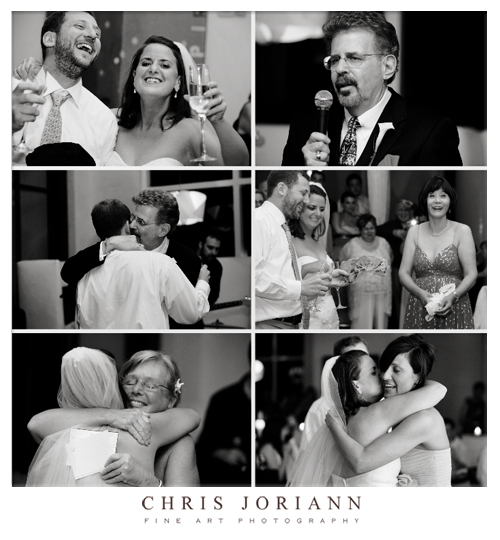 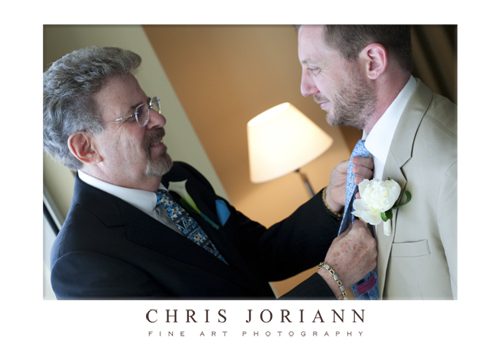 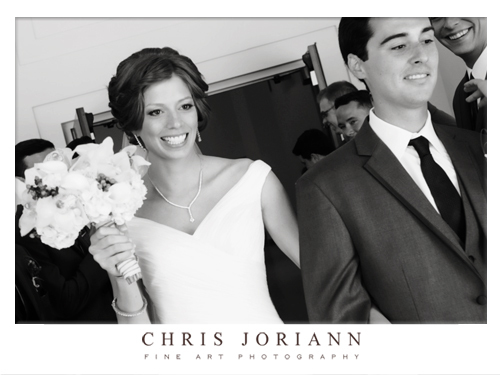 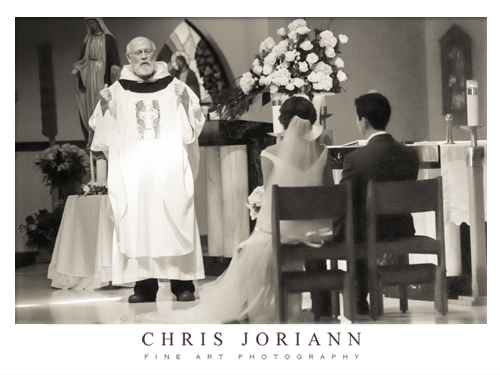 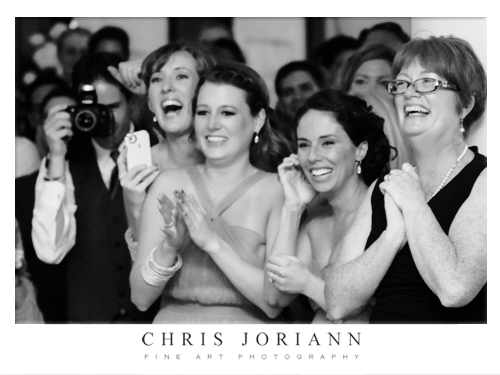 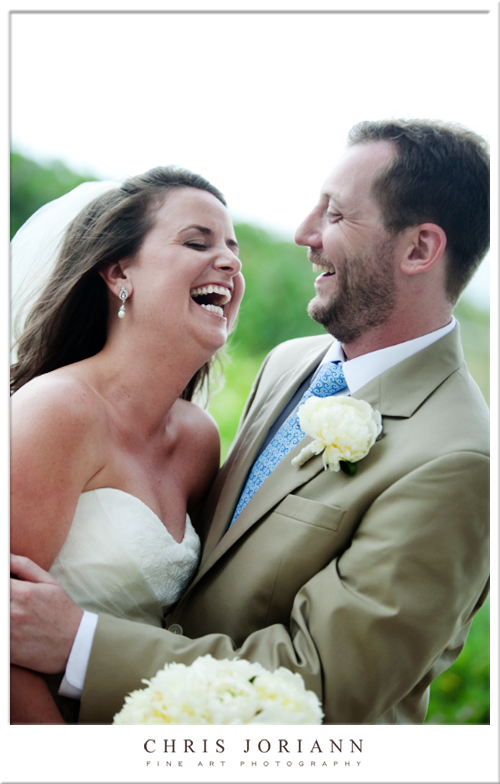 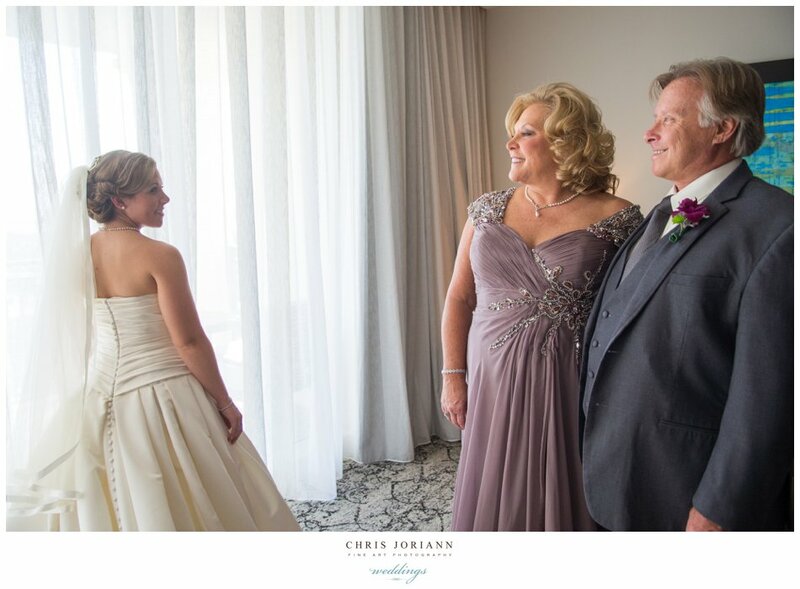 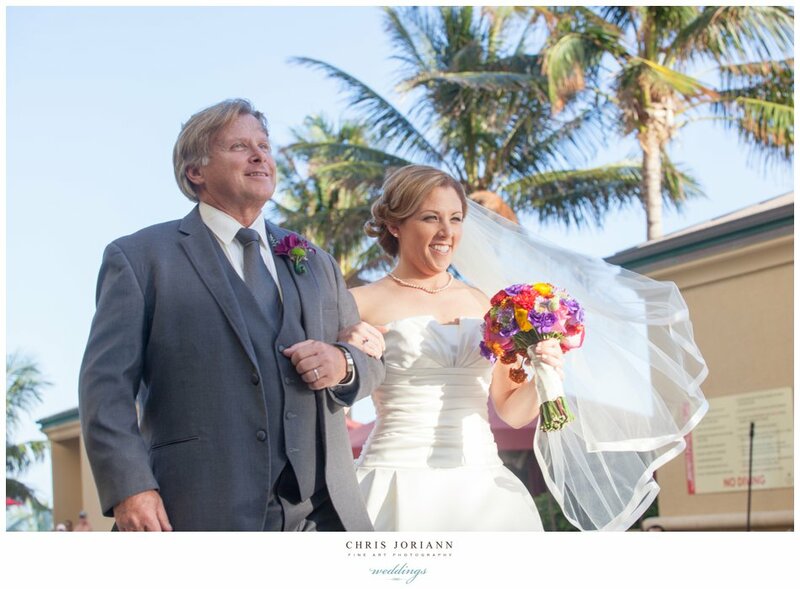 The bride shared a smile with dad, before being escorted down the sanded aisle by her parents. 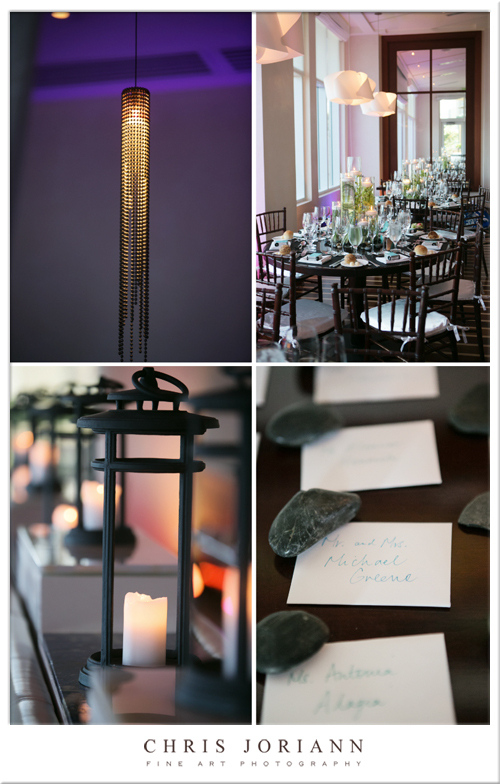 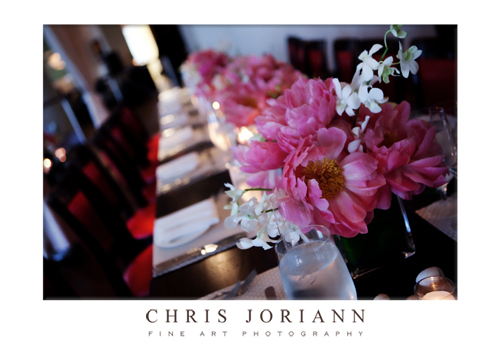 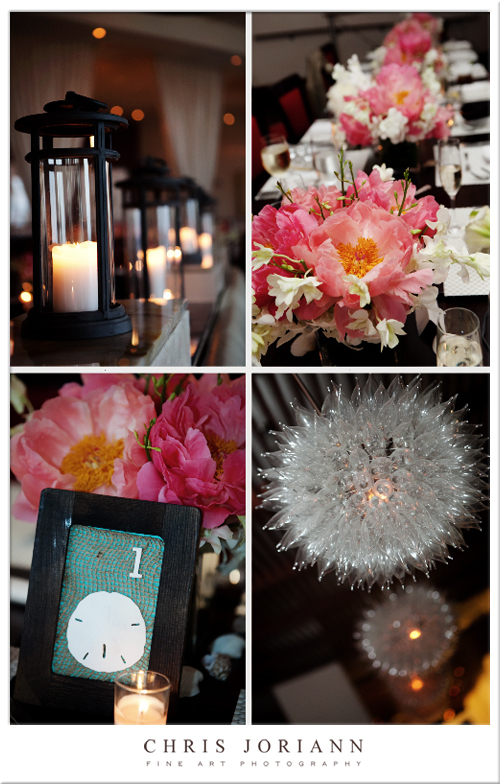 The reception space was decorated, again by Camden Gardens Floral, with oil rubbed bronze lanterns, expresso sand dollar themed table frames, and peonies arrangements. 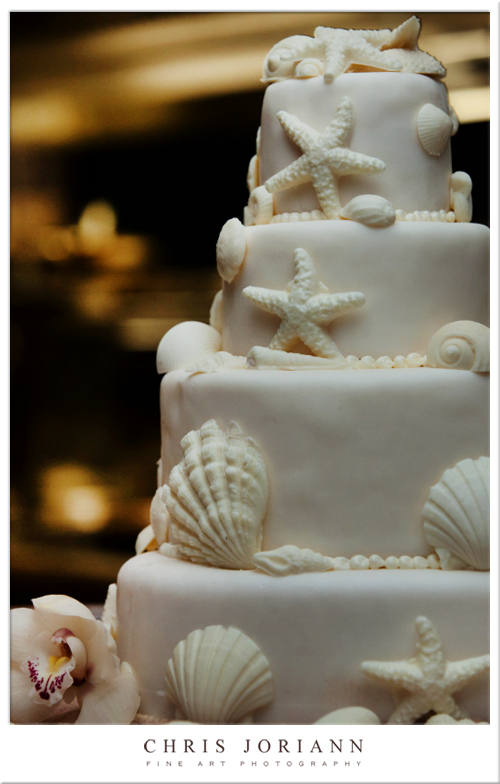 The seashell cake kept with the theme. 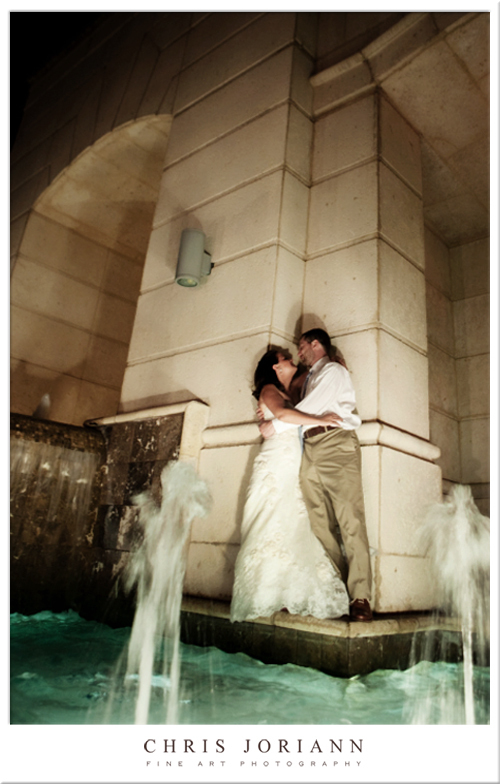 The night ended with a fountain side moonlight kiss.